Graphics - World Beyond War . 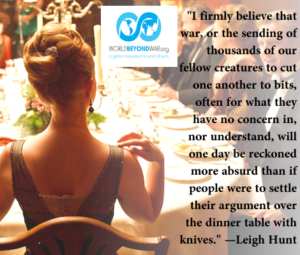 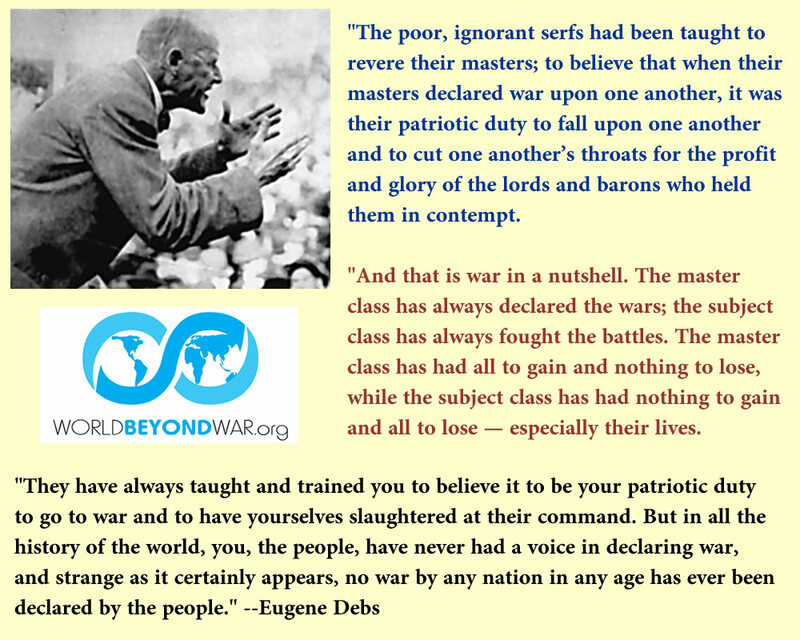 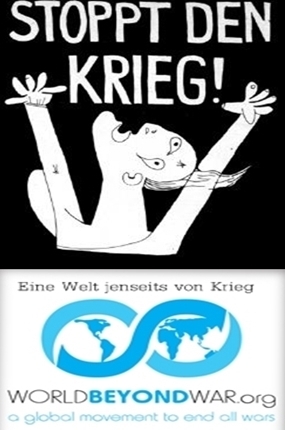 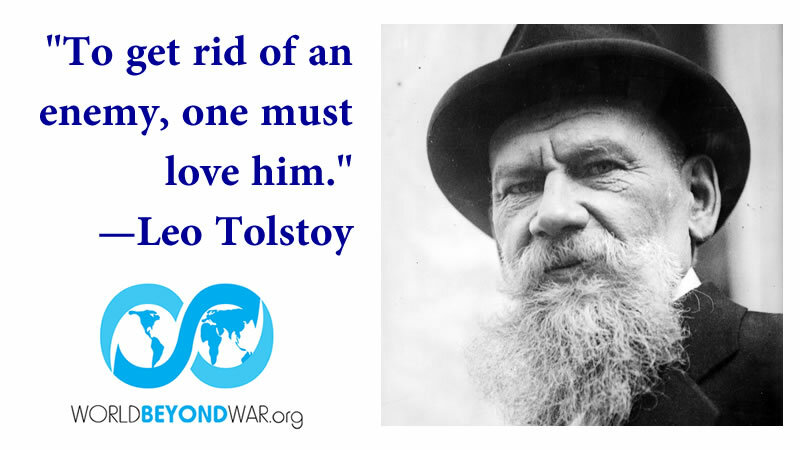 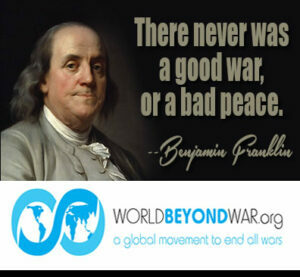 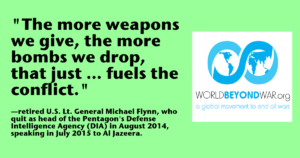 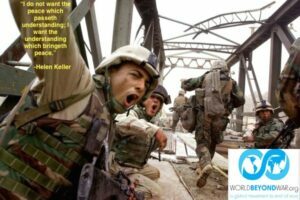 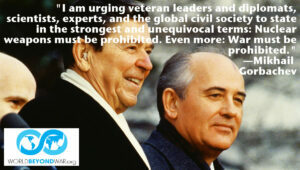 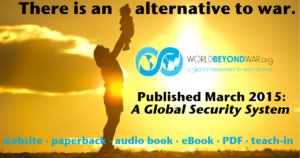 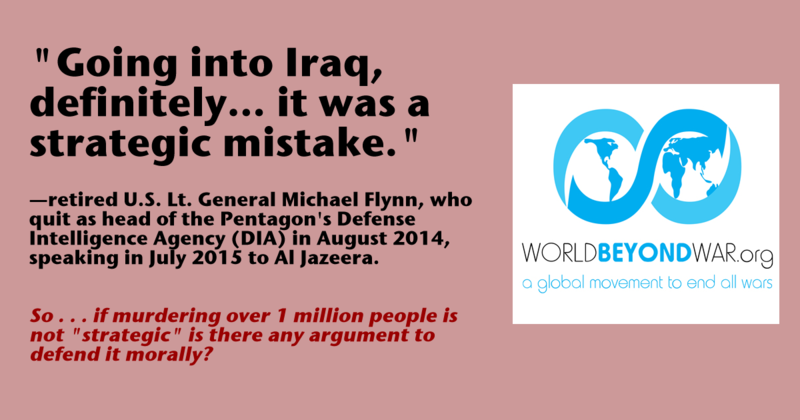 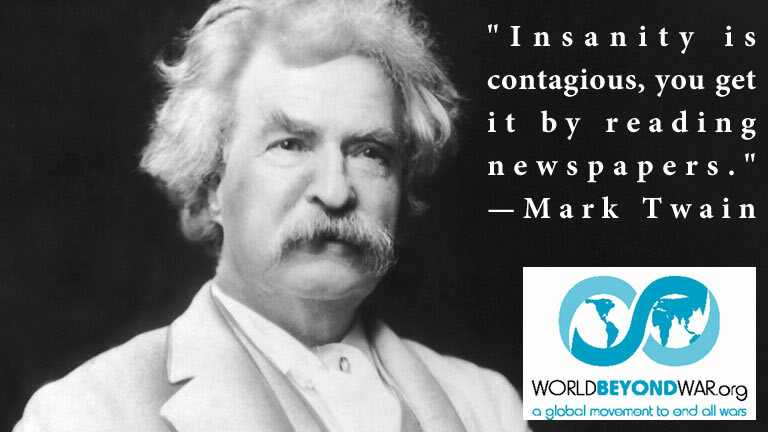 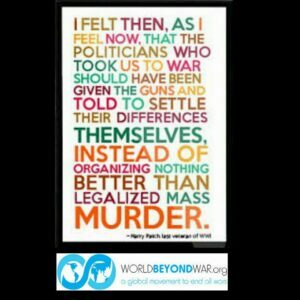 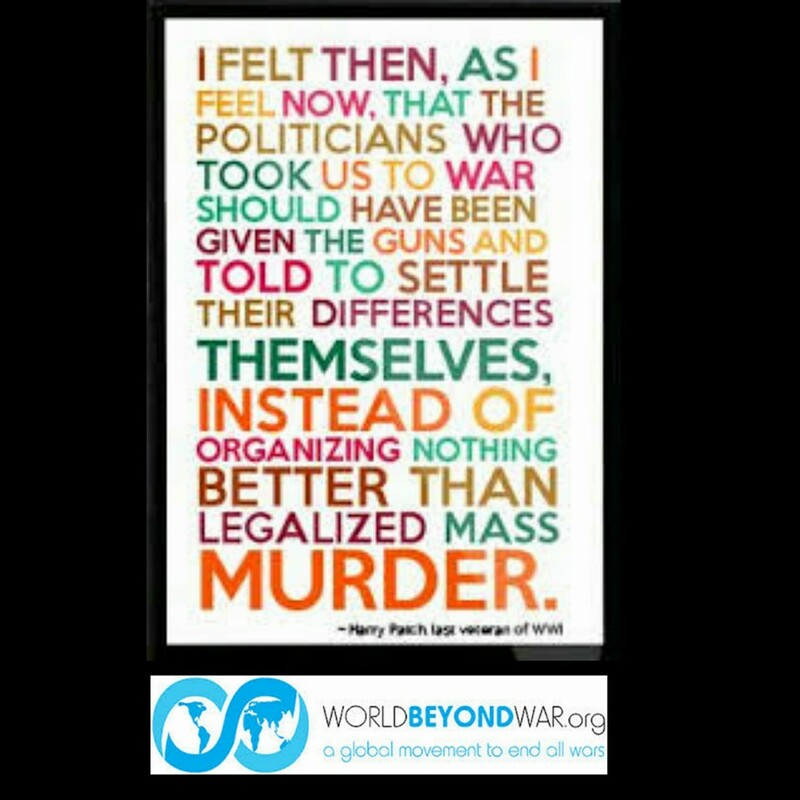 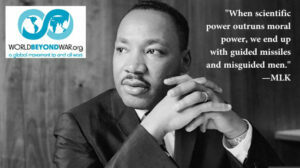 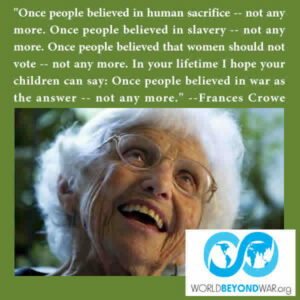 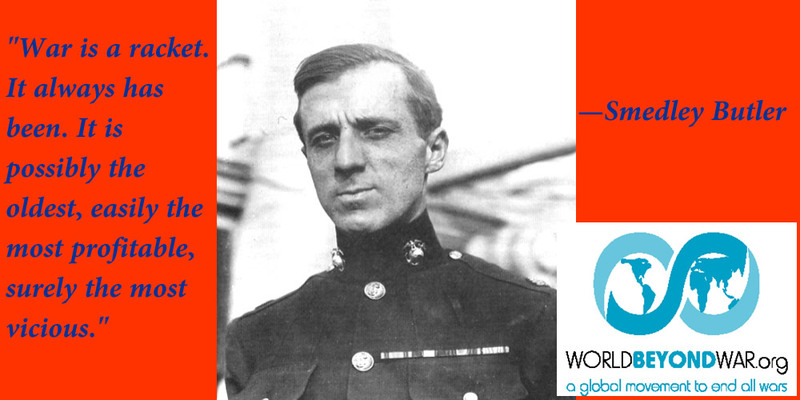 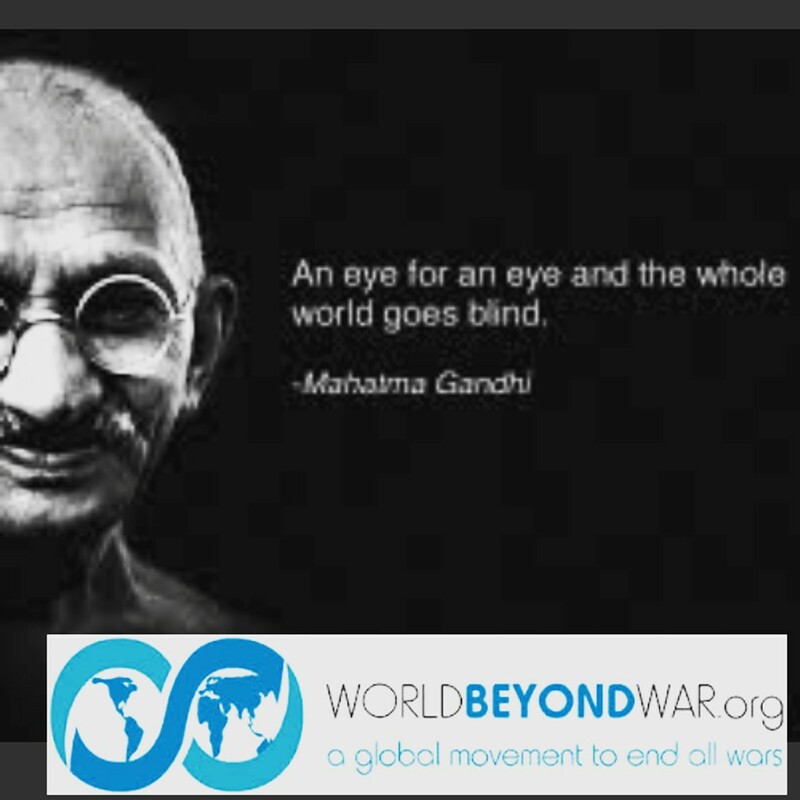 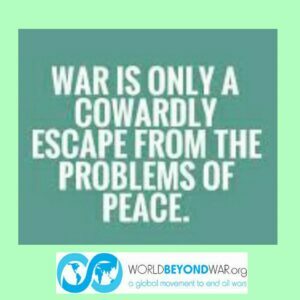 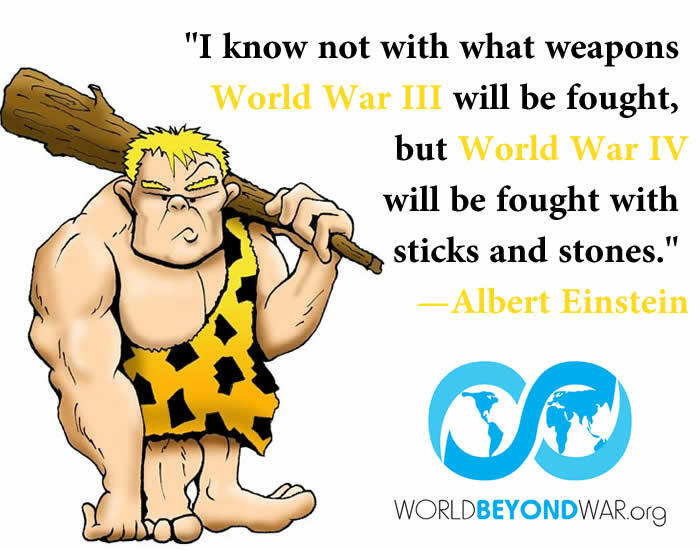 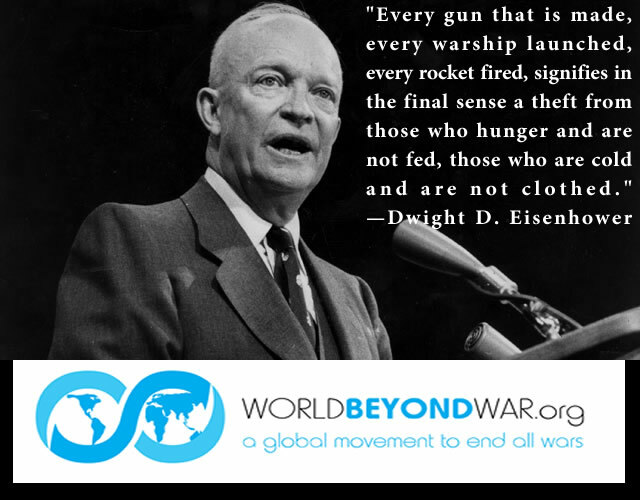 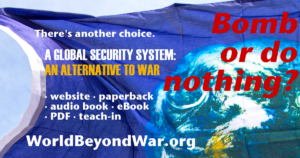 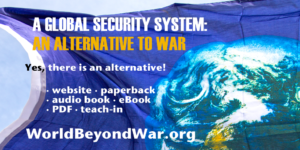 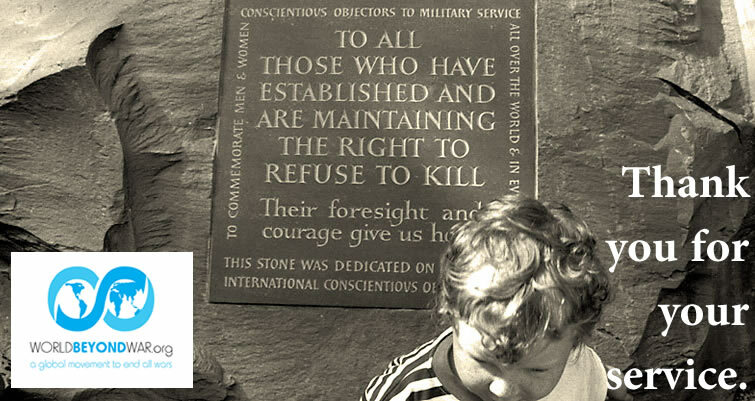 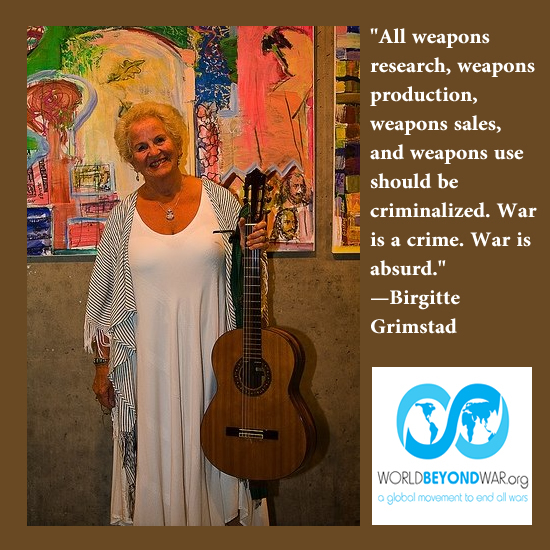 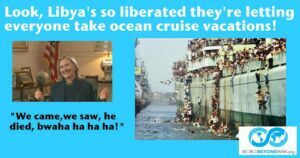 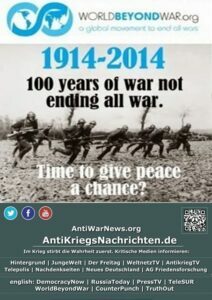 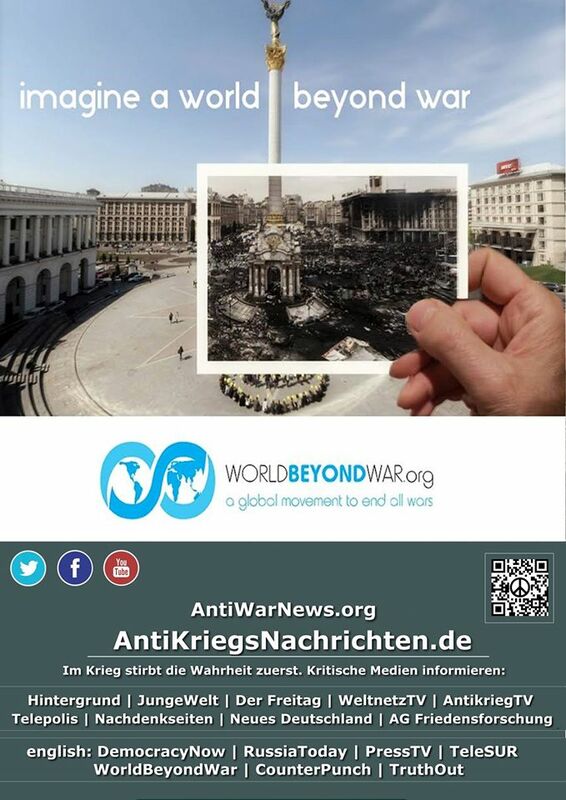 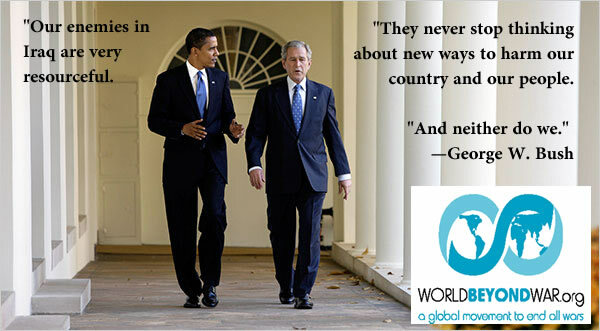 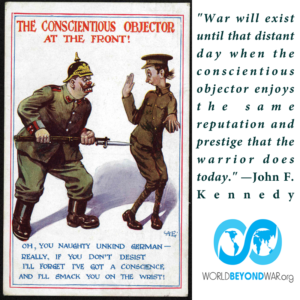 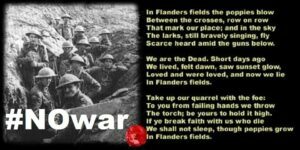 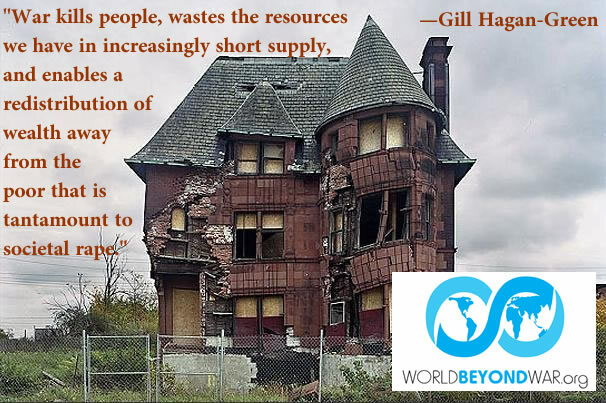 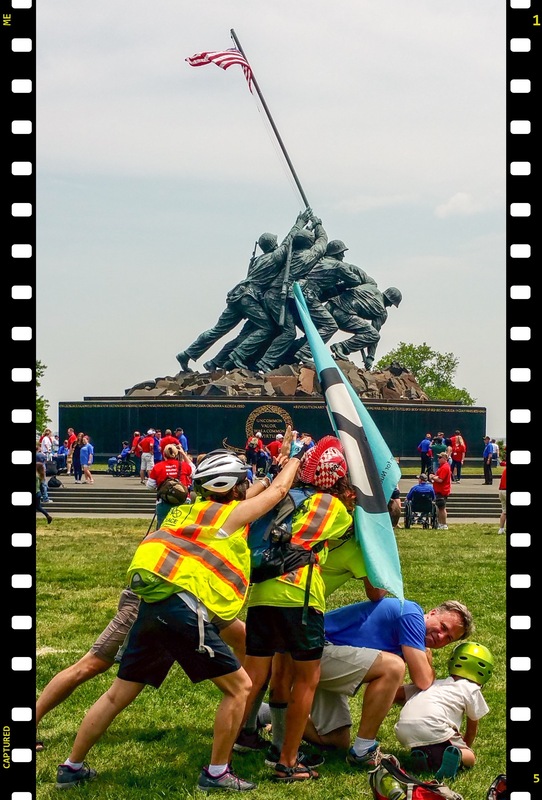 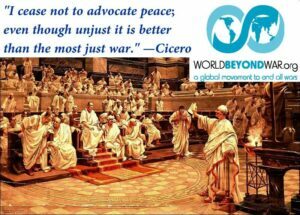 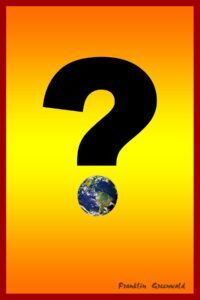 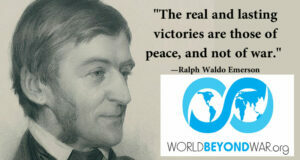 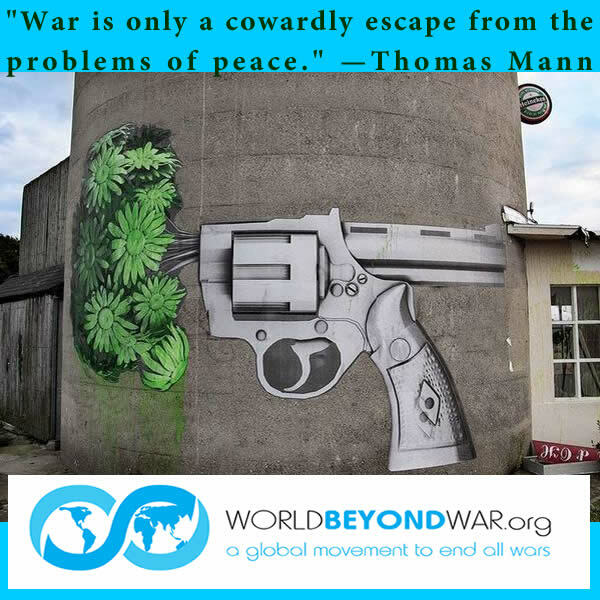 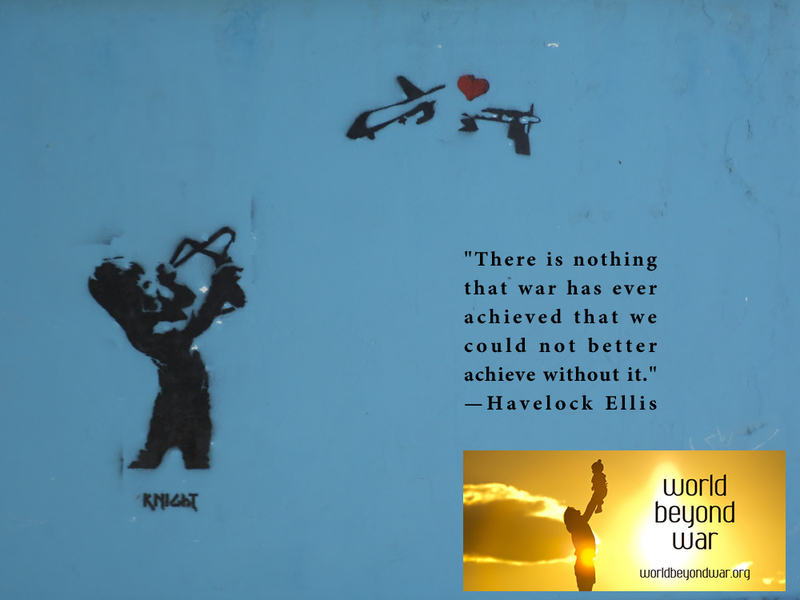 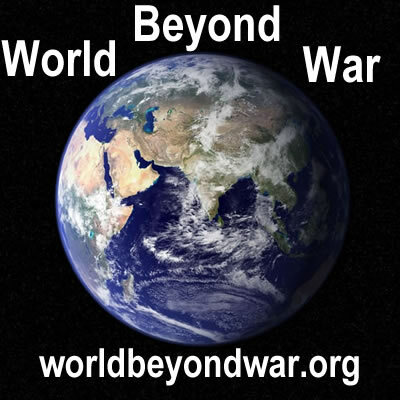 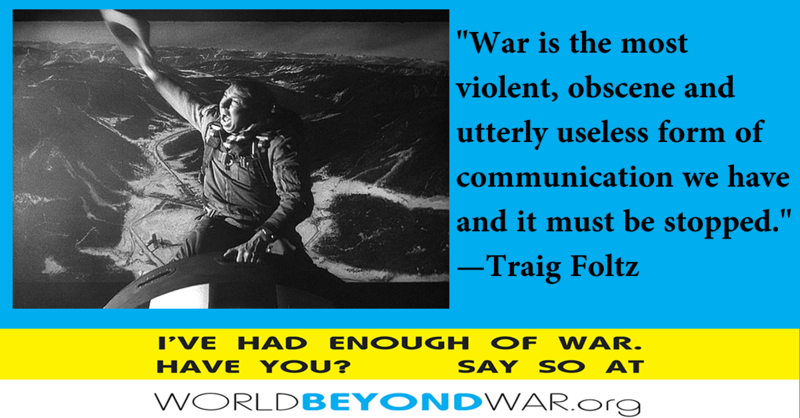 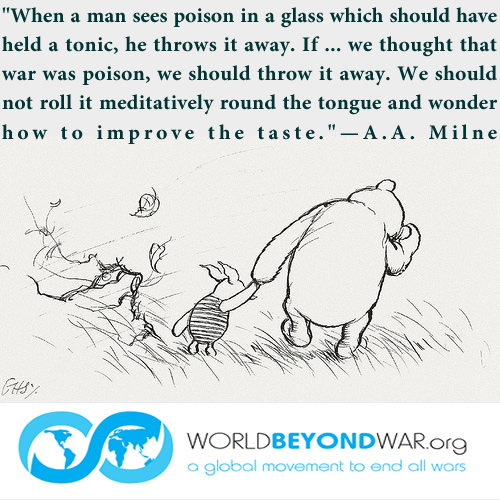 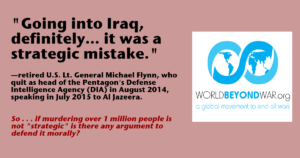 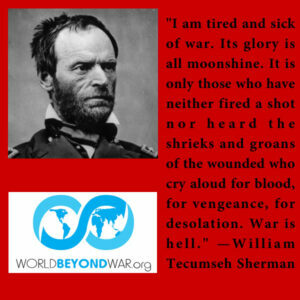 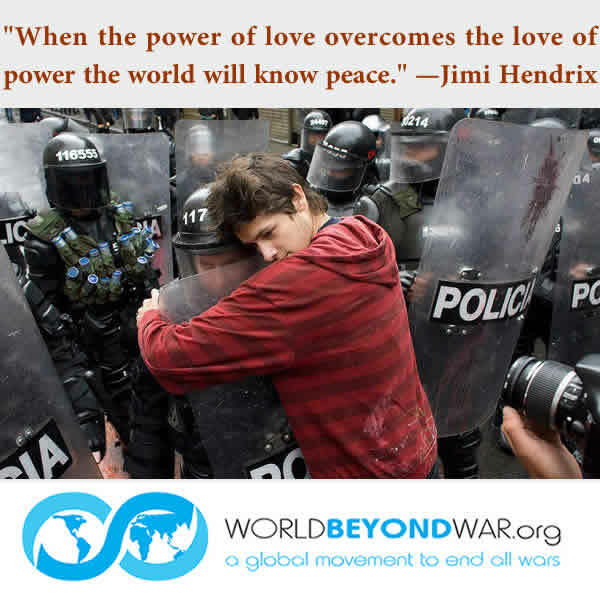 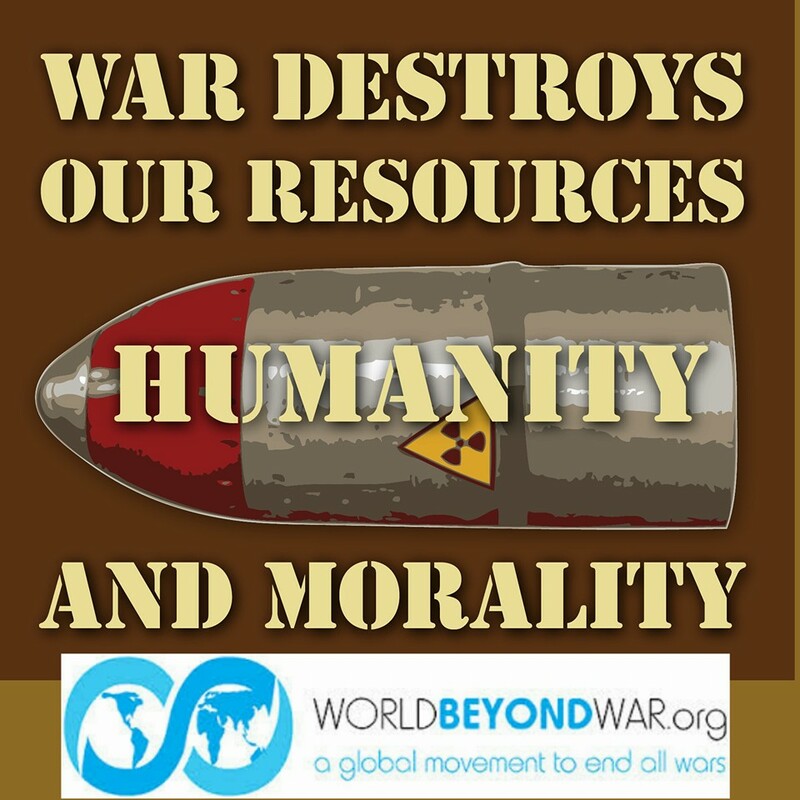 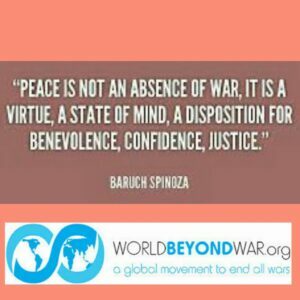 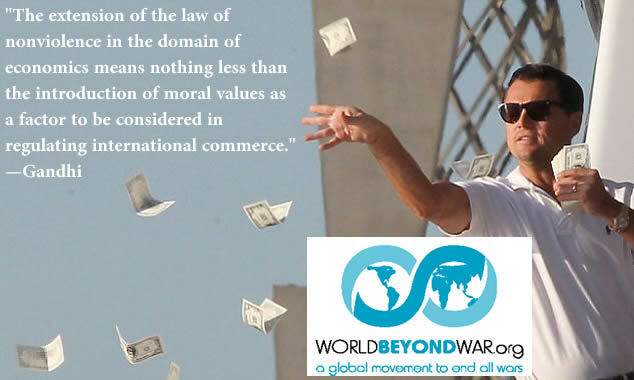 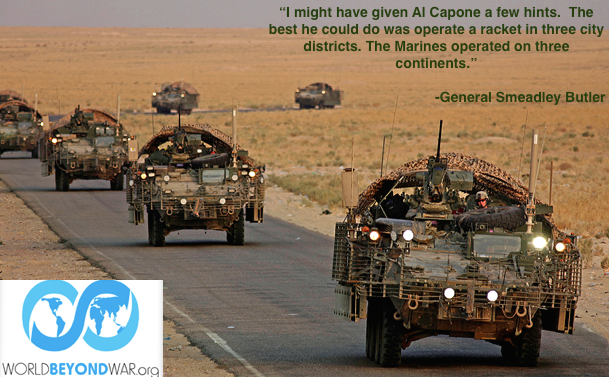 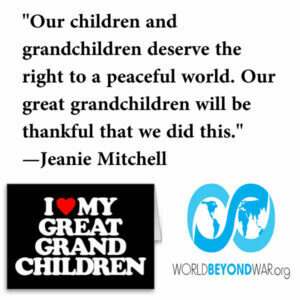 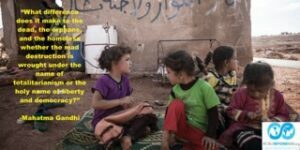 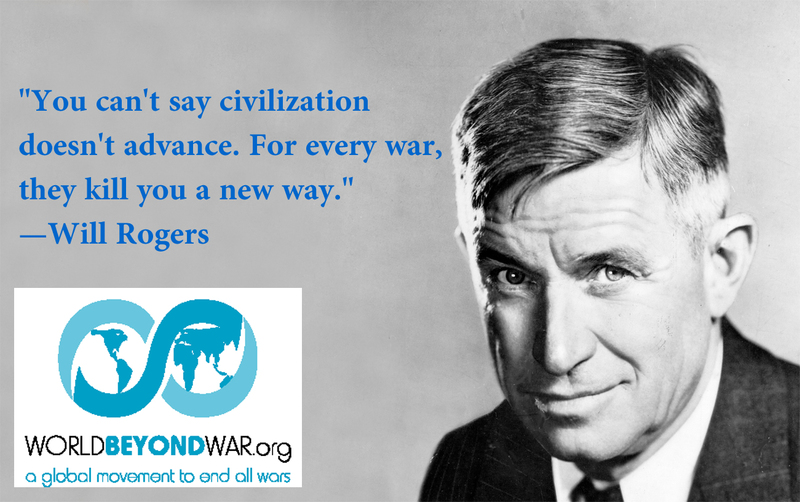 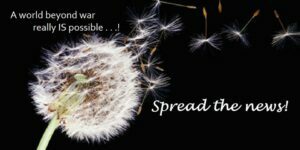 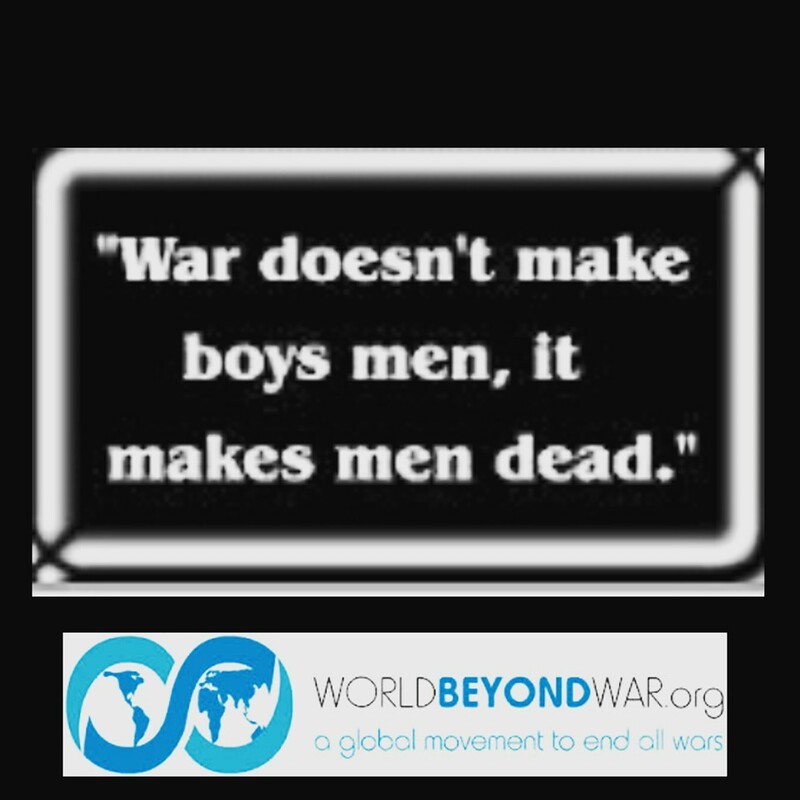 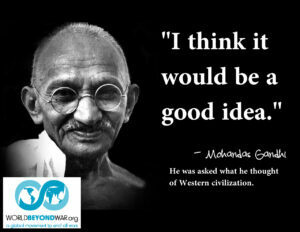 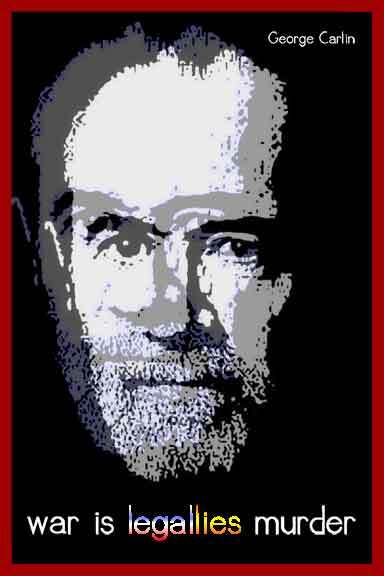 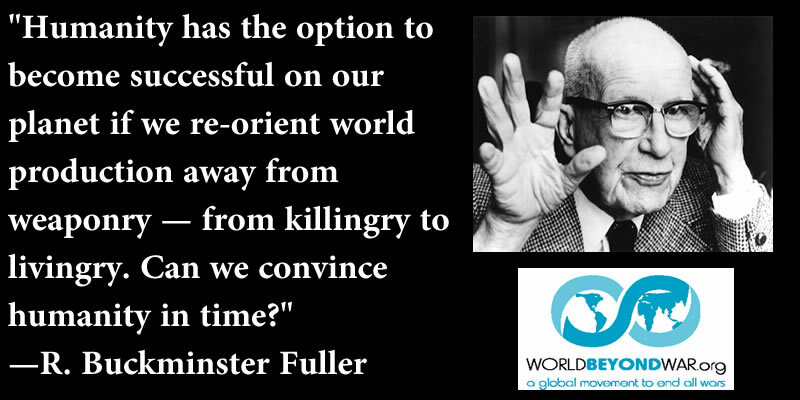 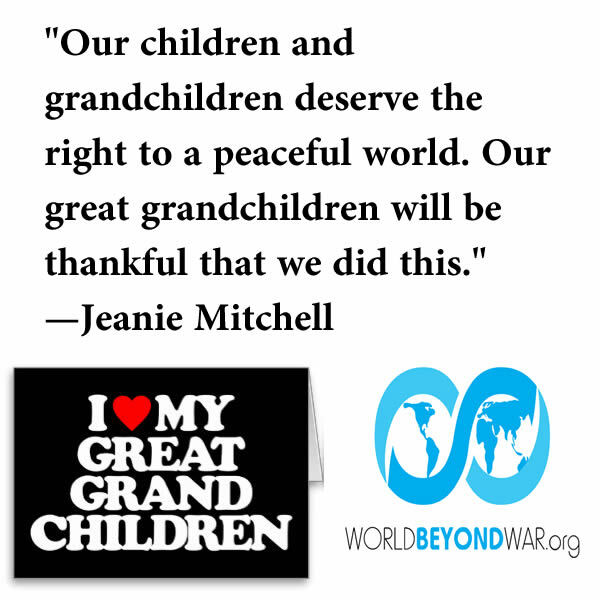 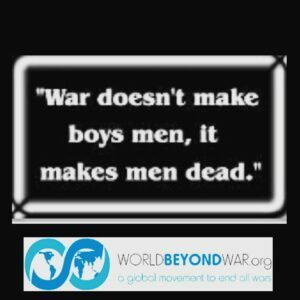 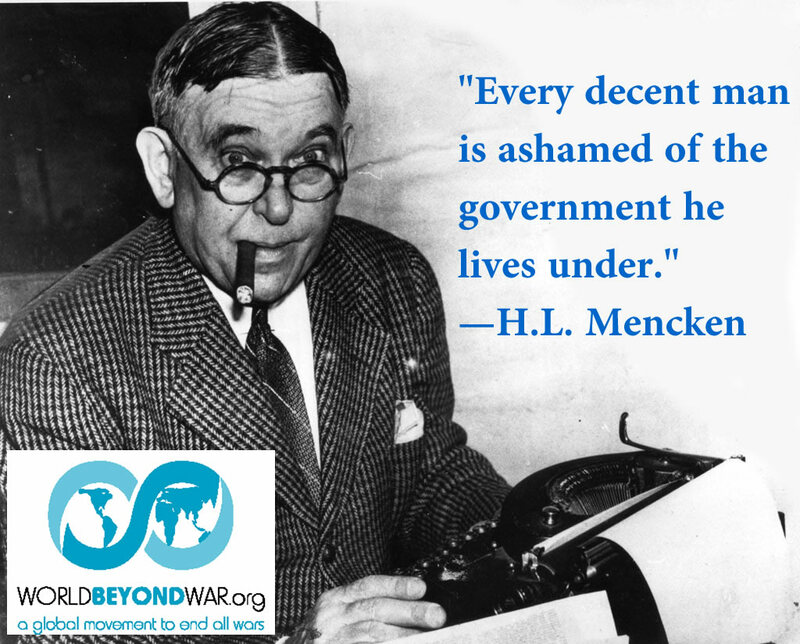 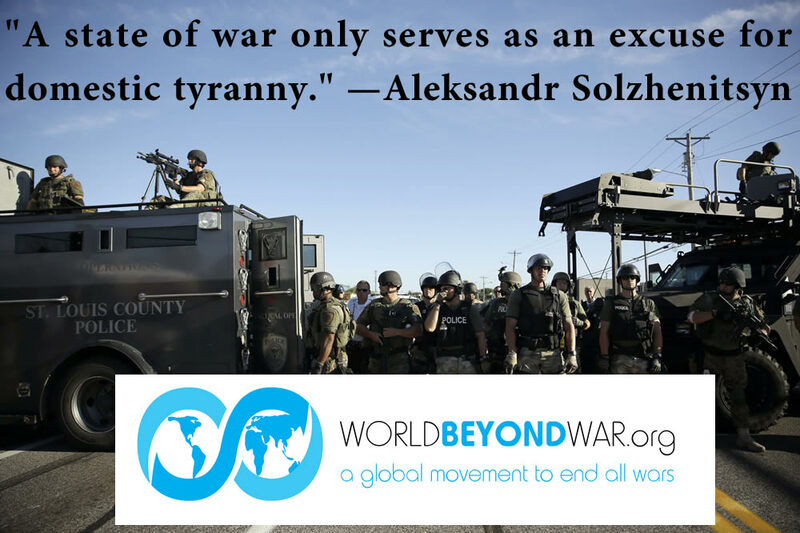 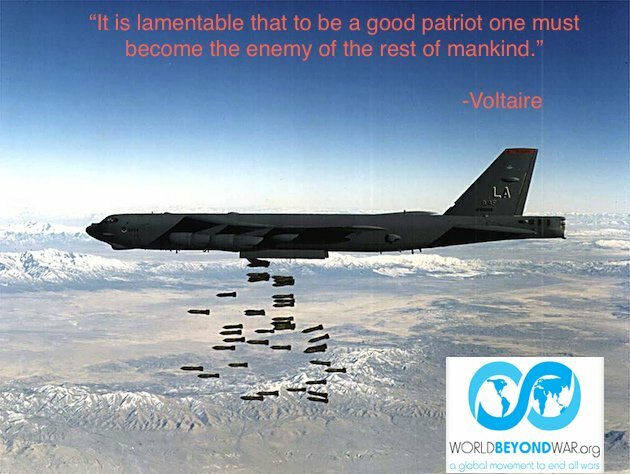 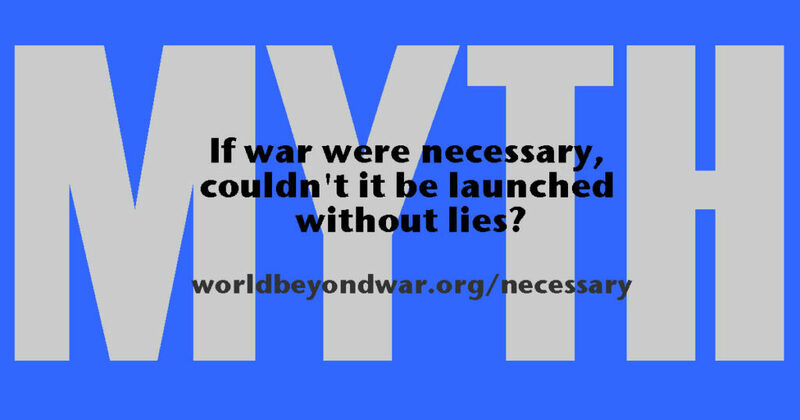 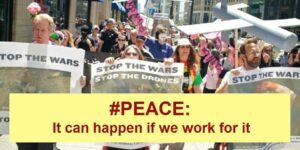 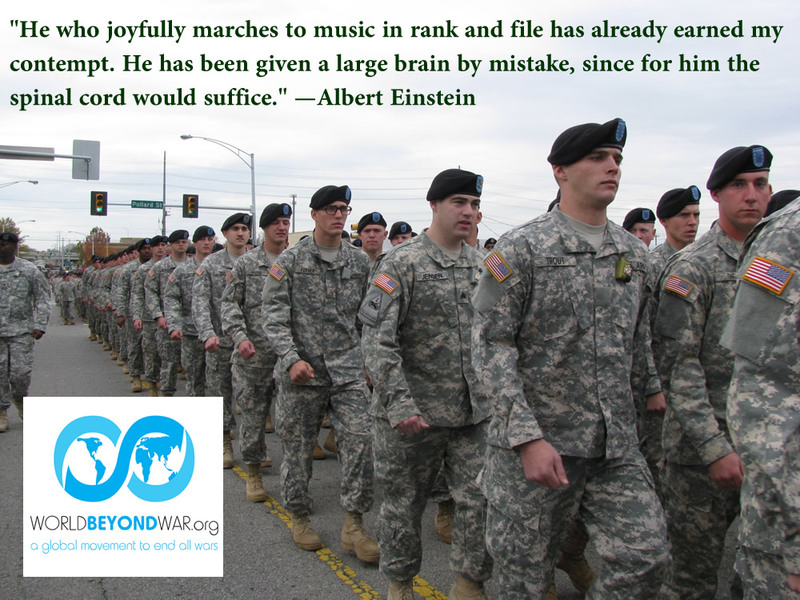 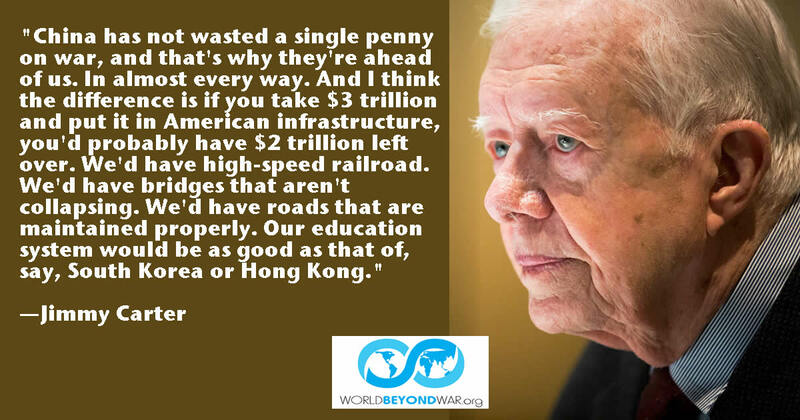 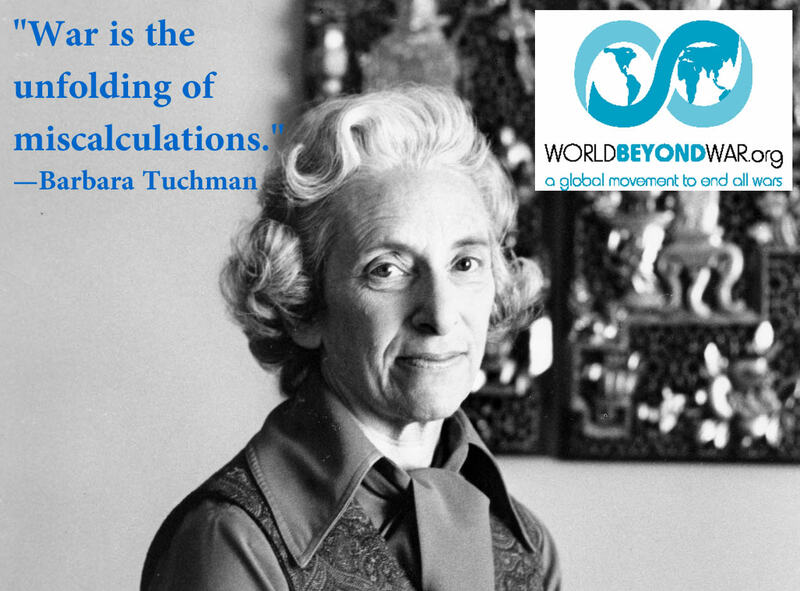 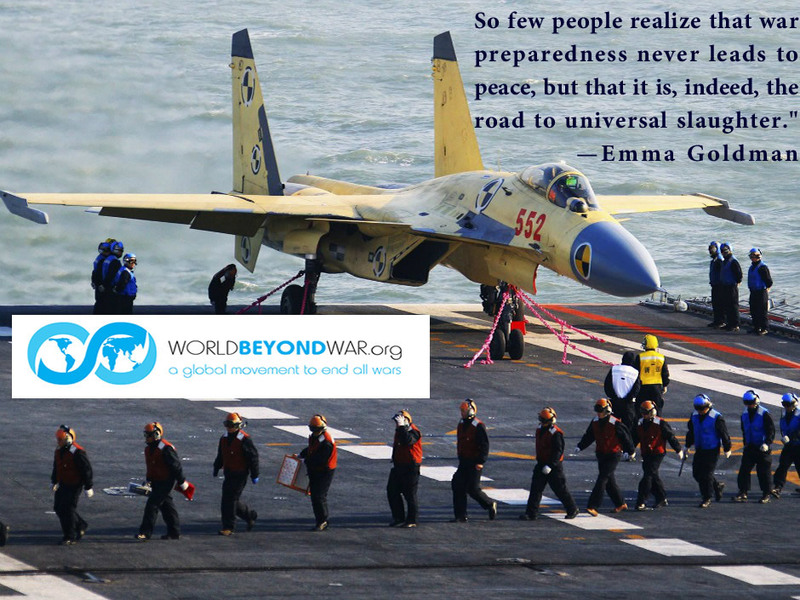 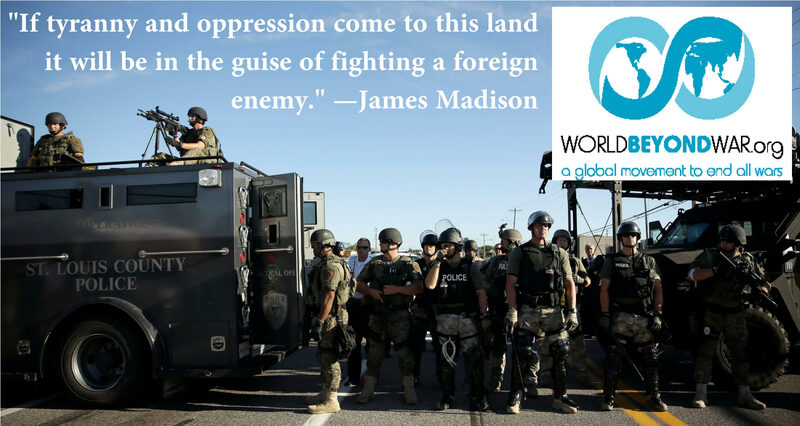 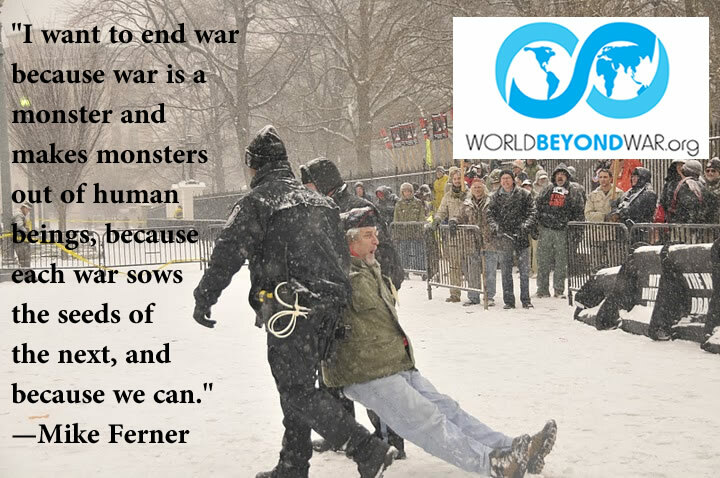 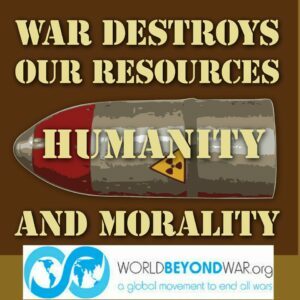 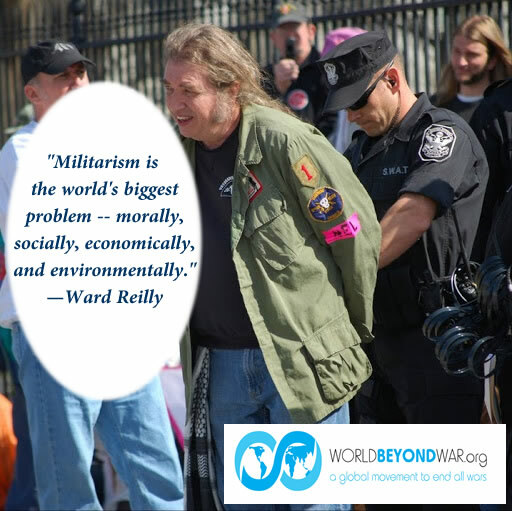 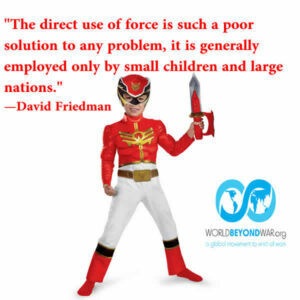 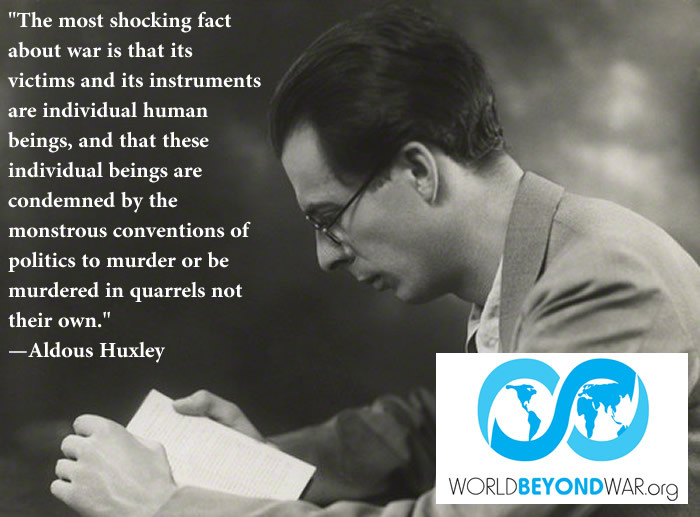 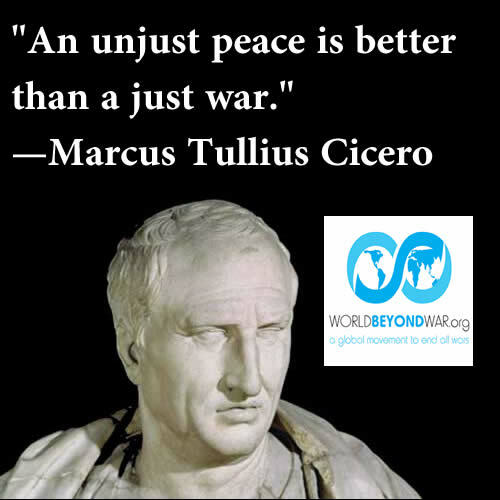 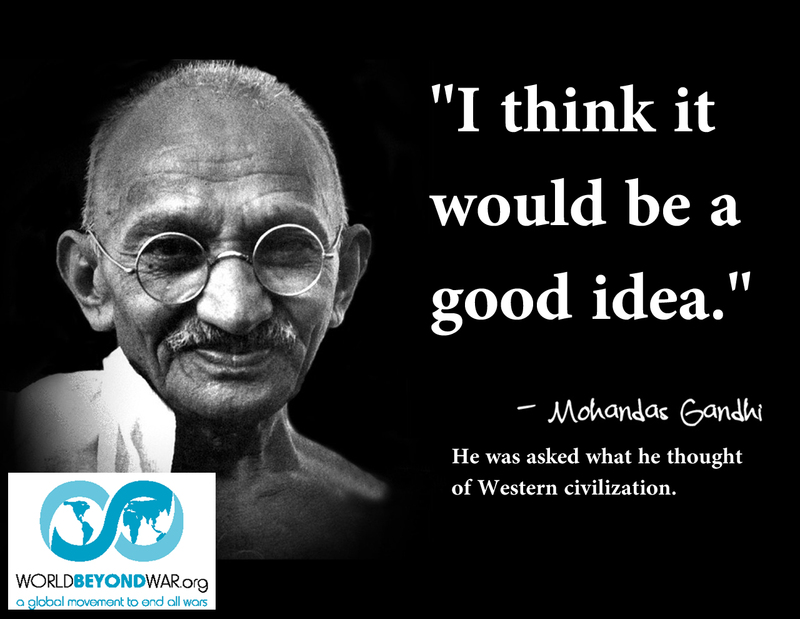 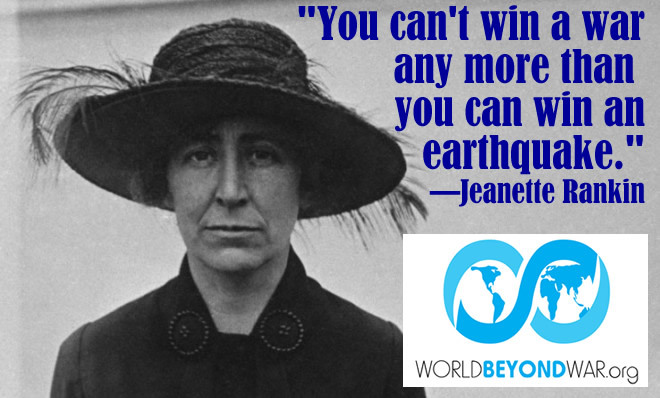 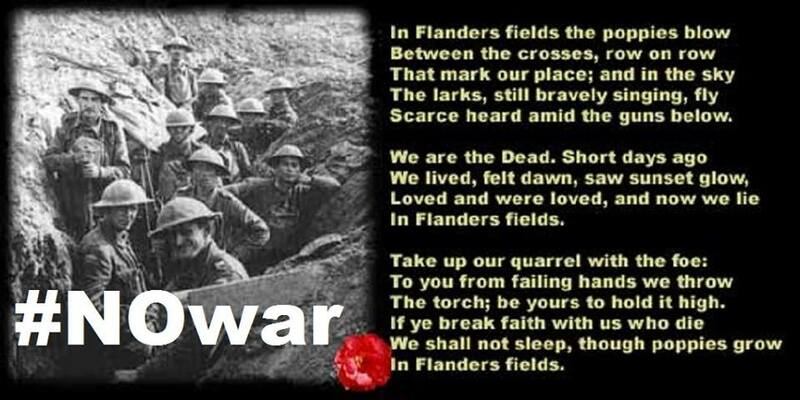 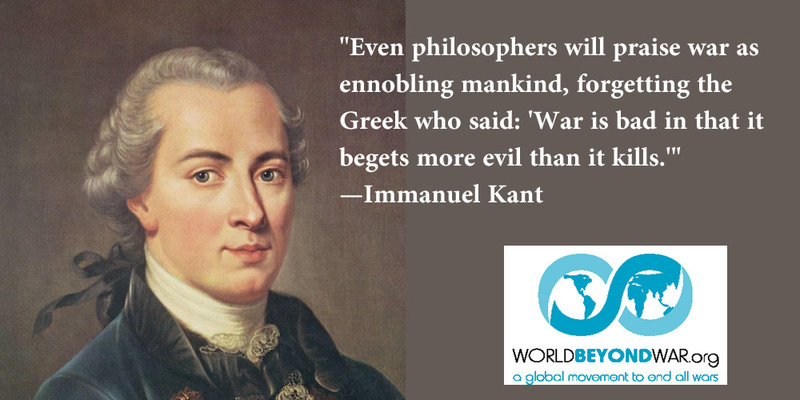 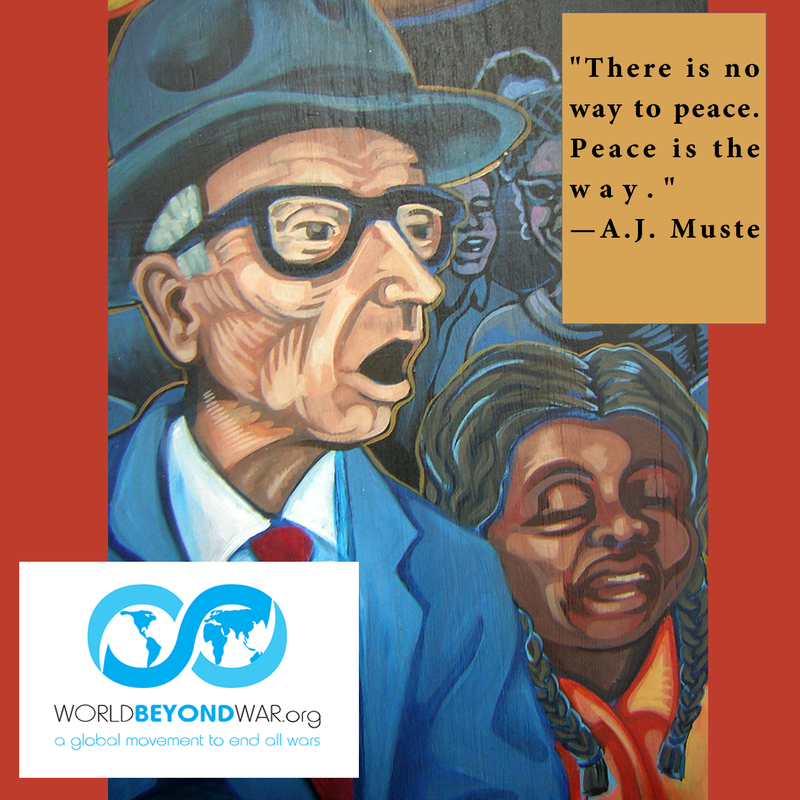 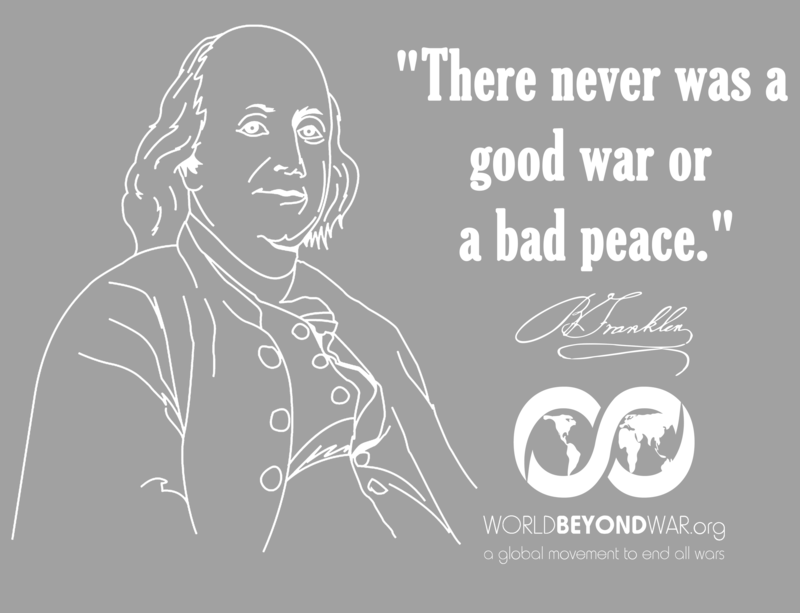 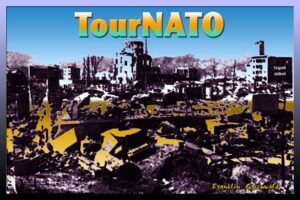 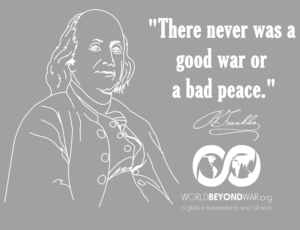 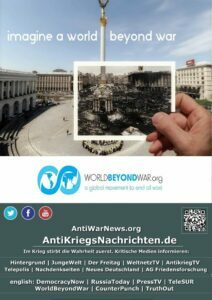 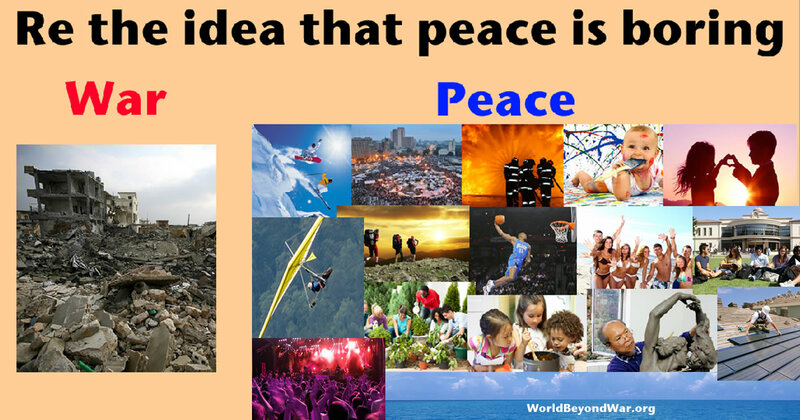 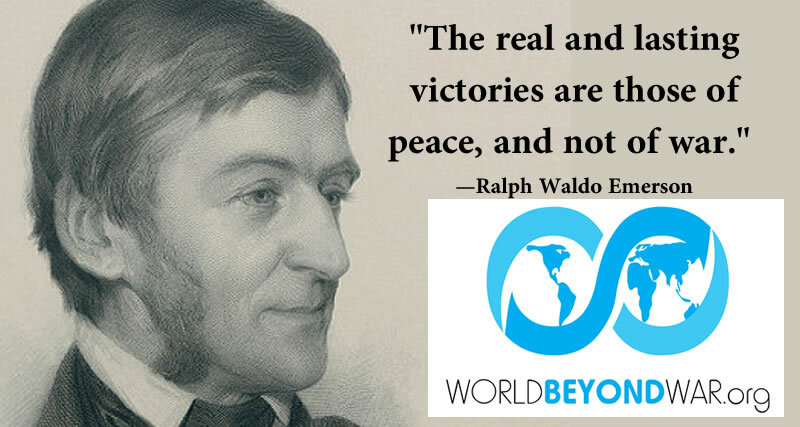 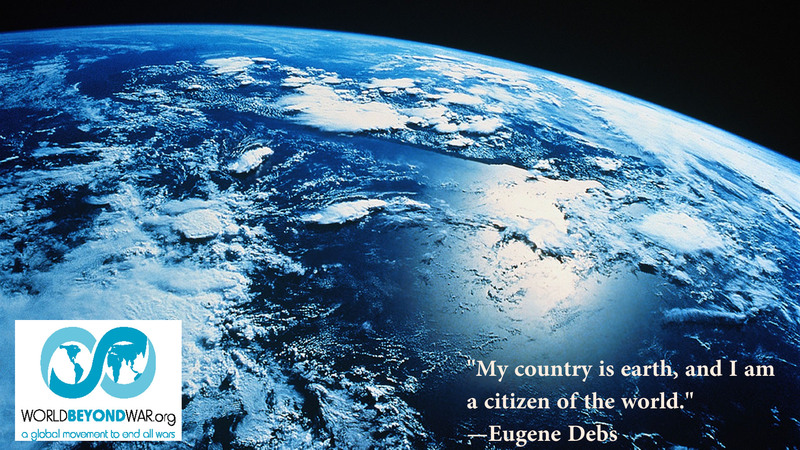 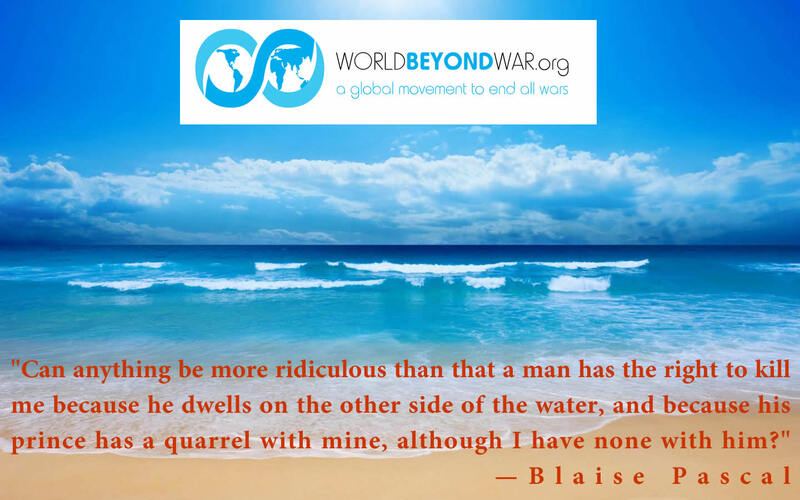 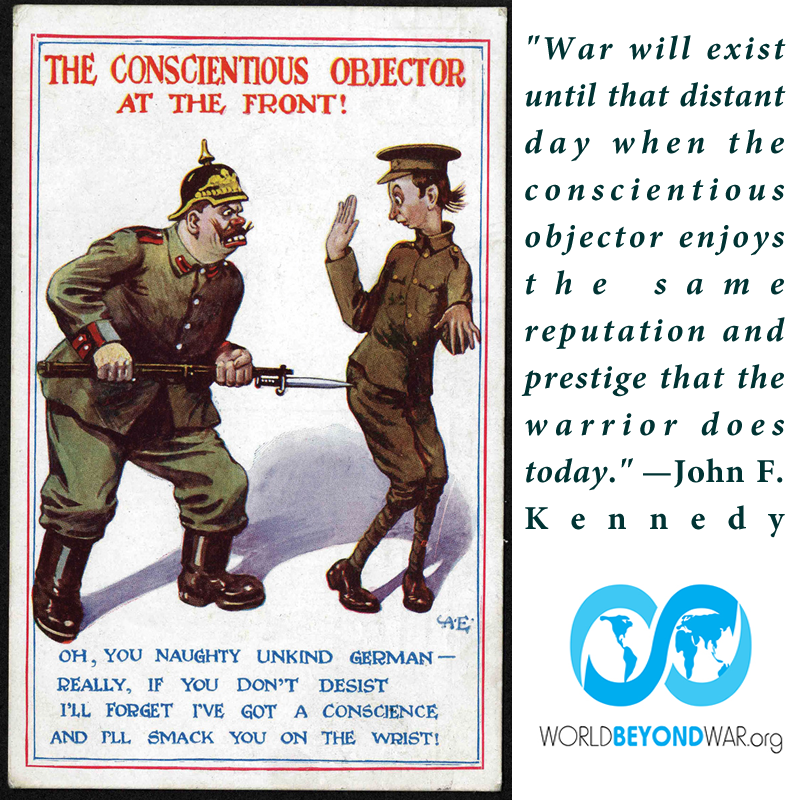 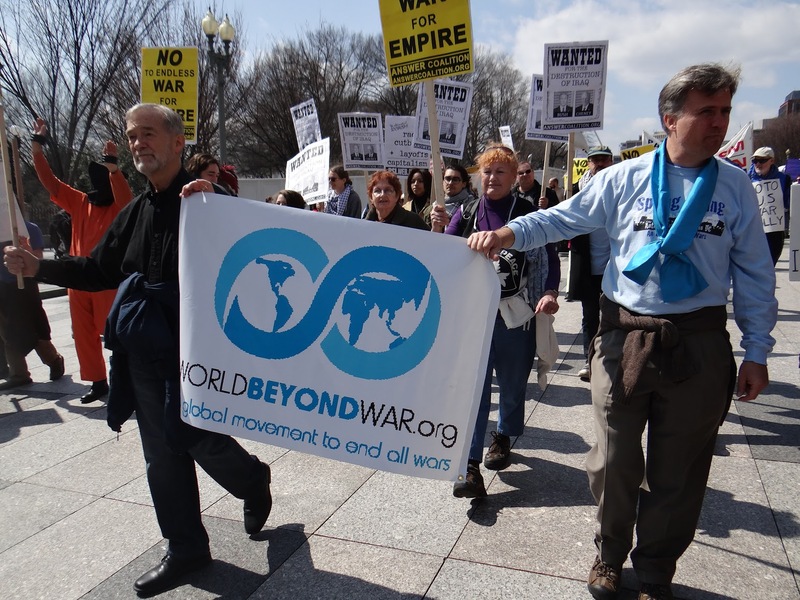 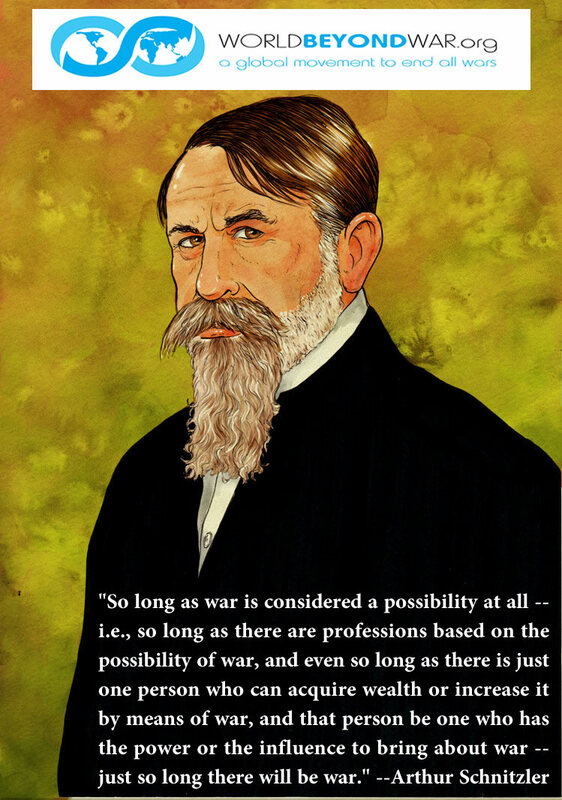 . .
Find and use dozens of great images and short statements from supporters of WorldBeyondWar and famous past opponents of war. Spread these on social media! 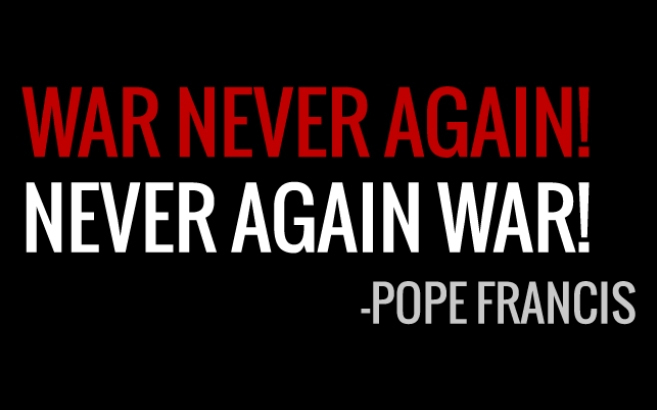 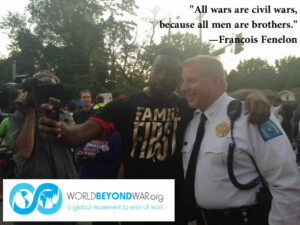 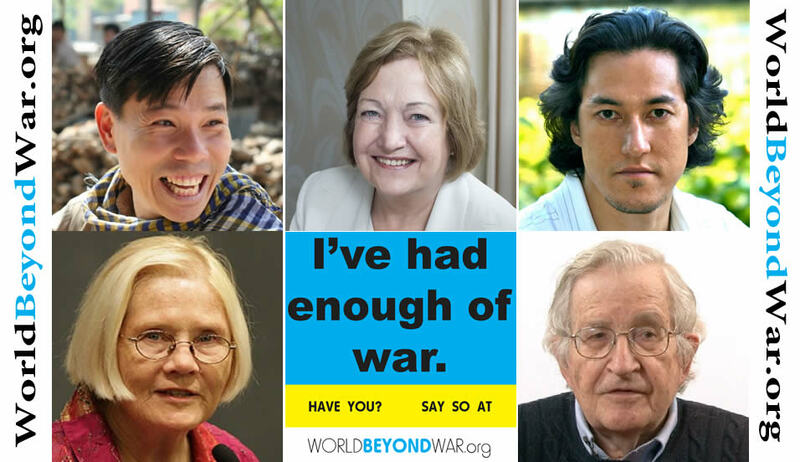 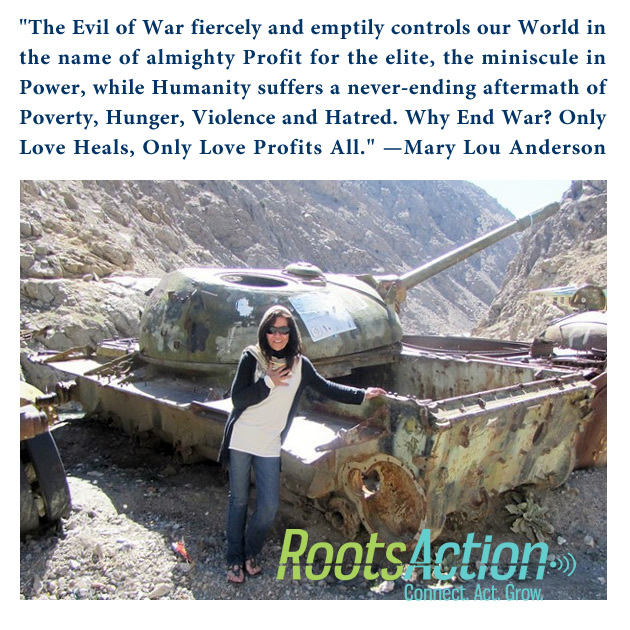 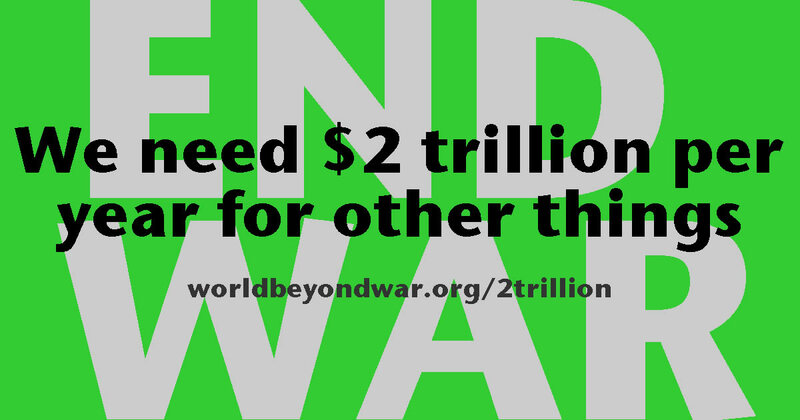 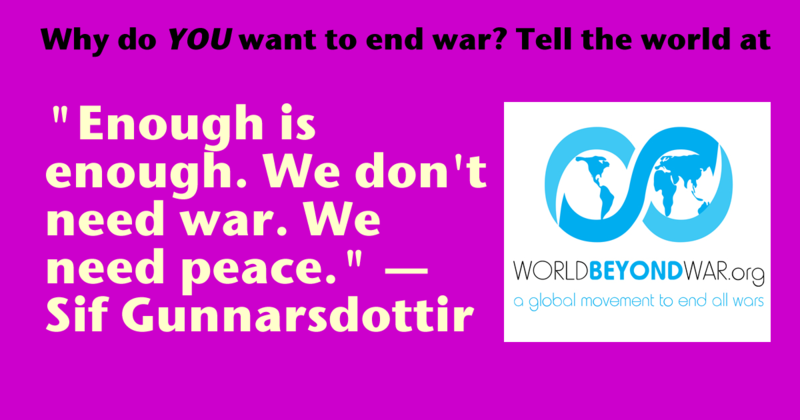 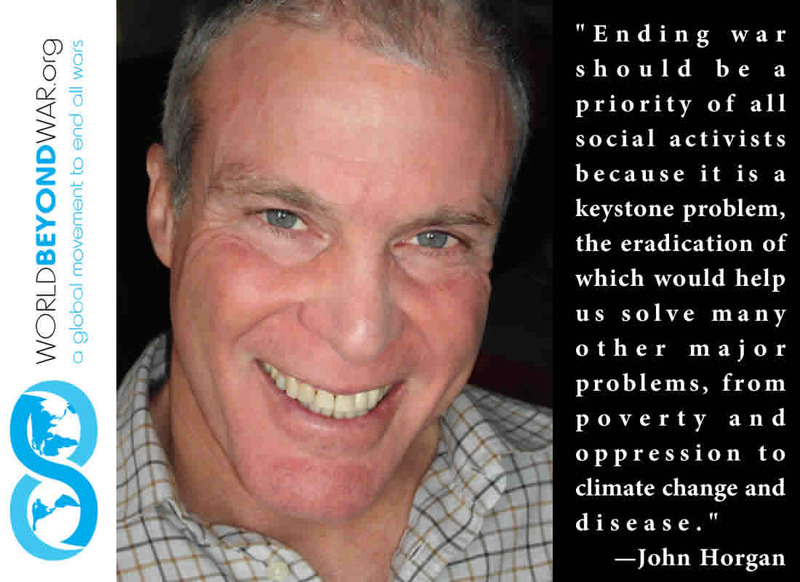 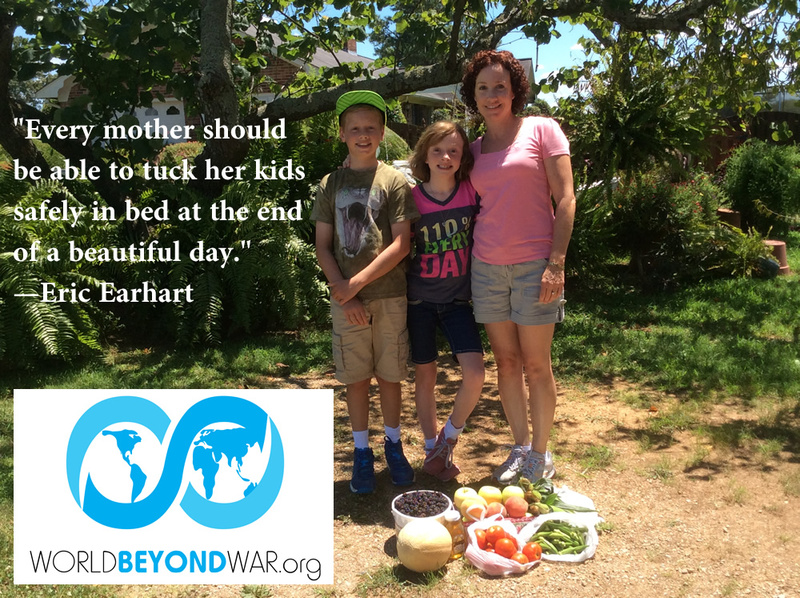 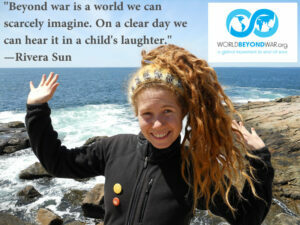 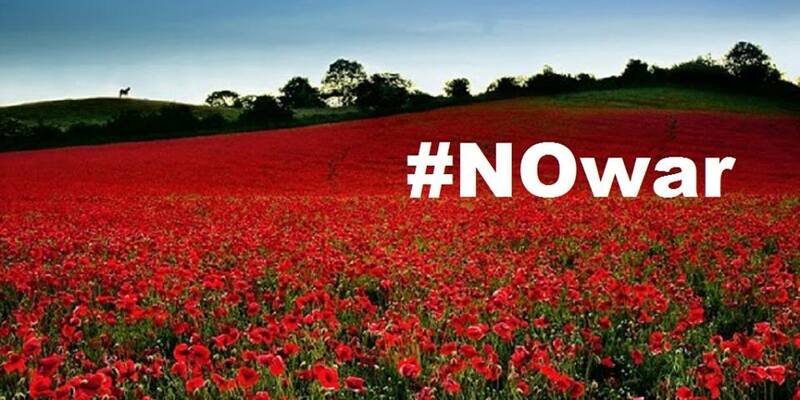 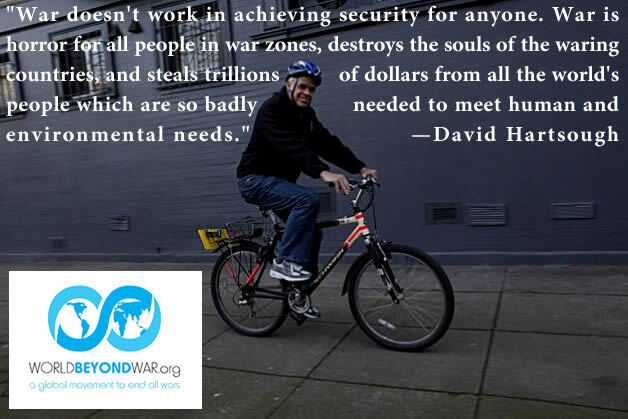 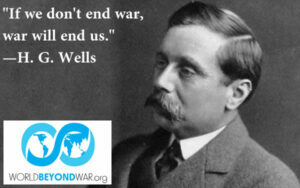 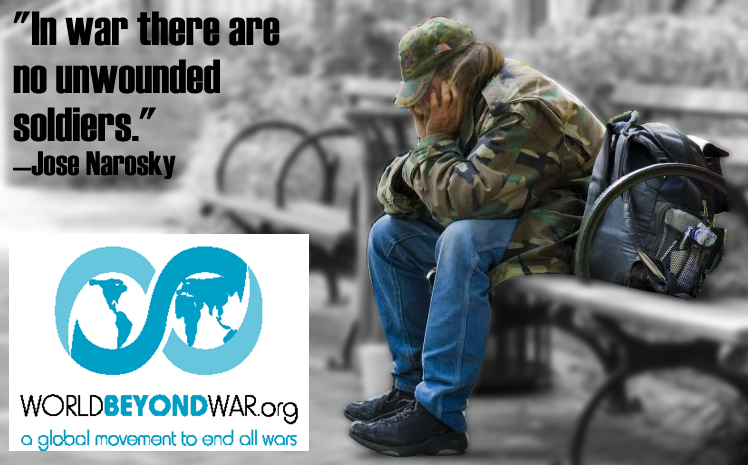 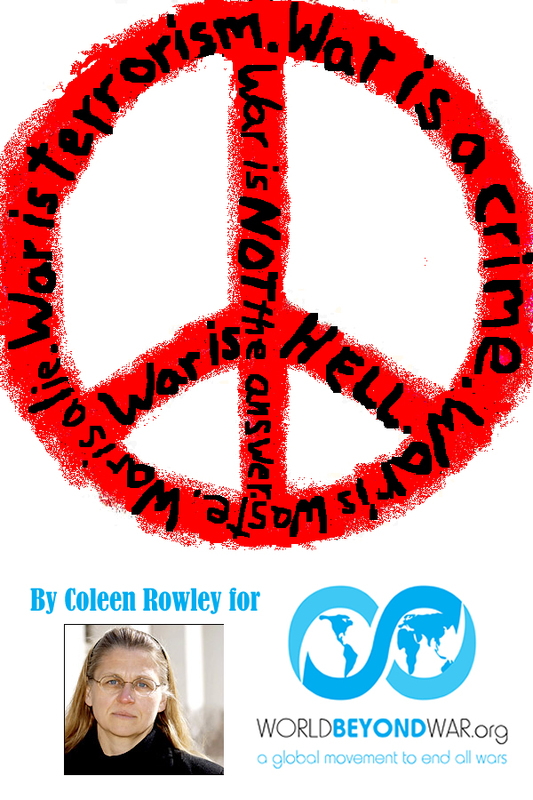 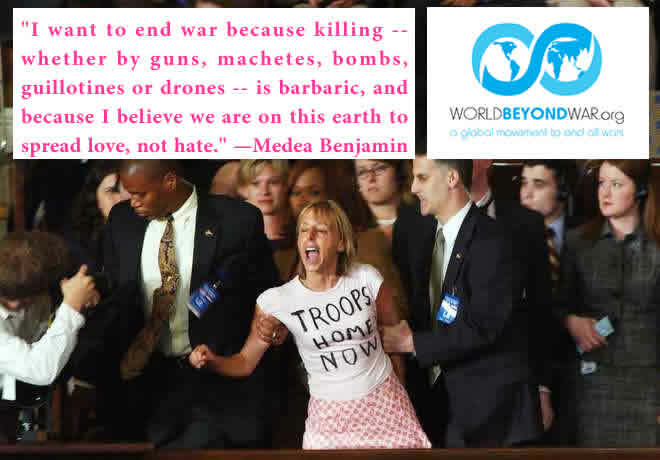 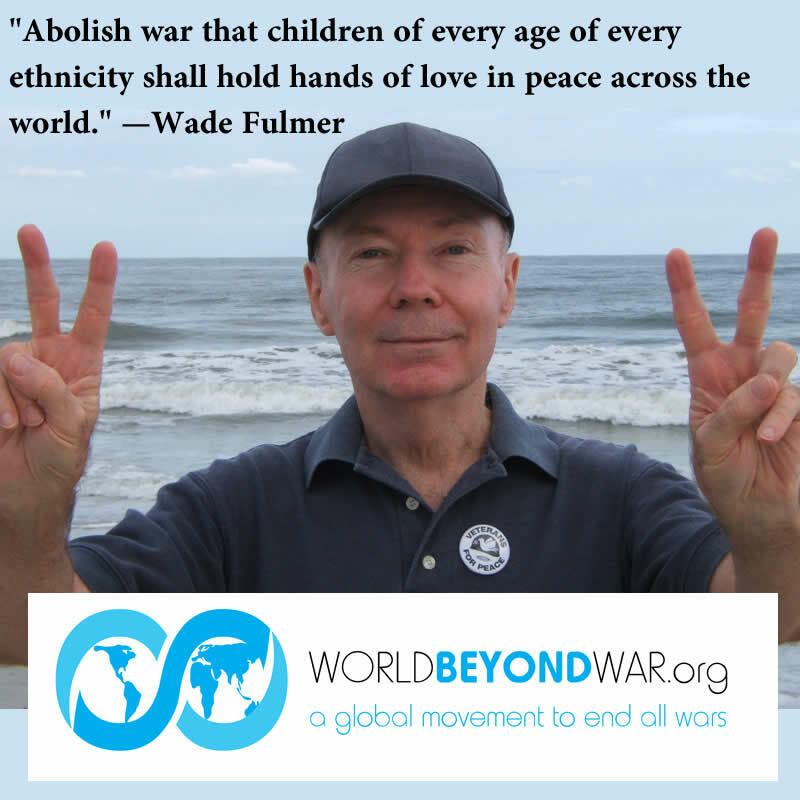 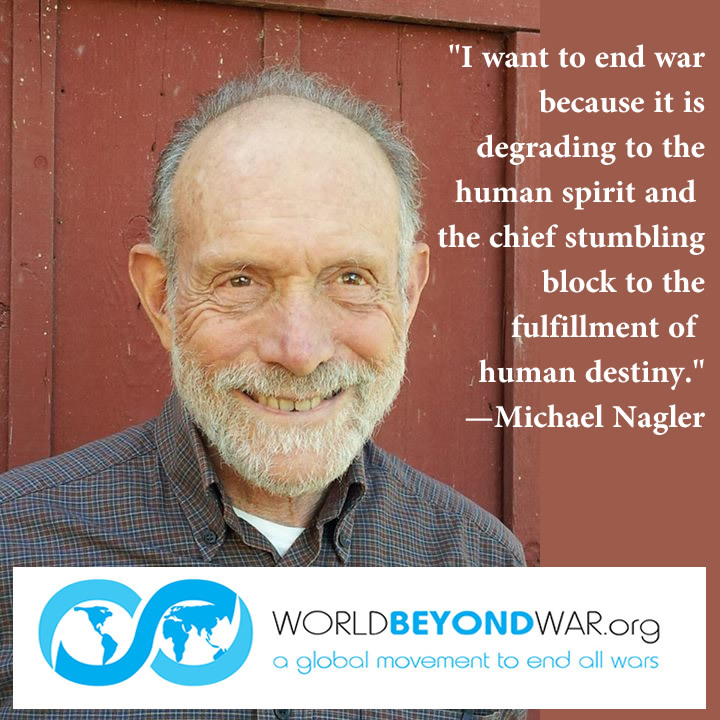 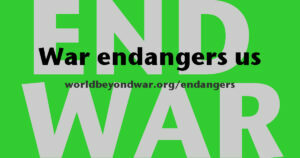 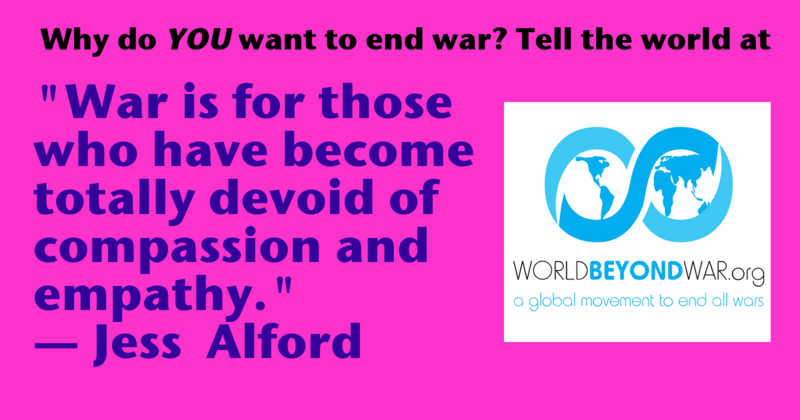 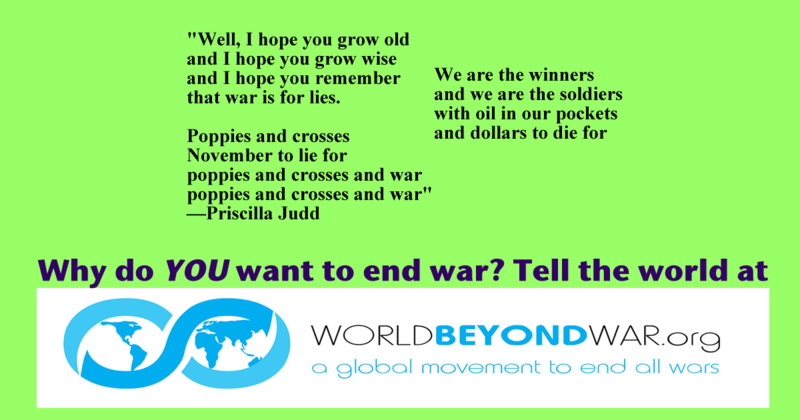 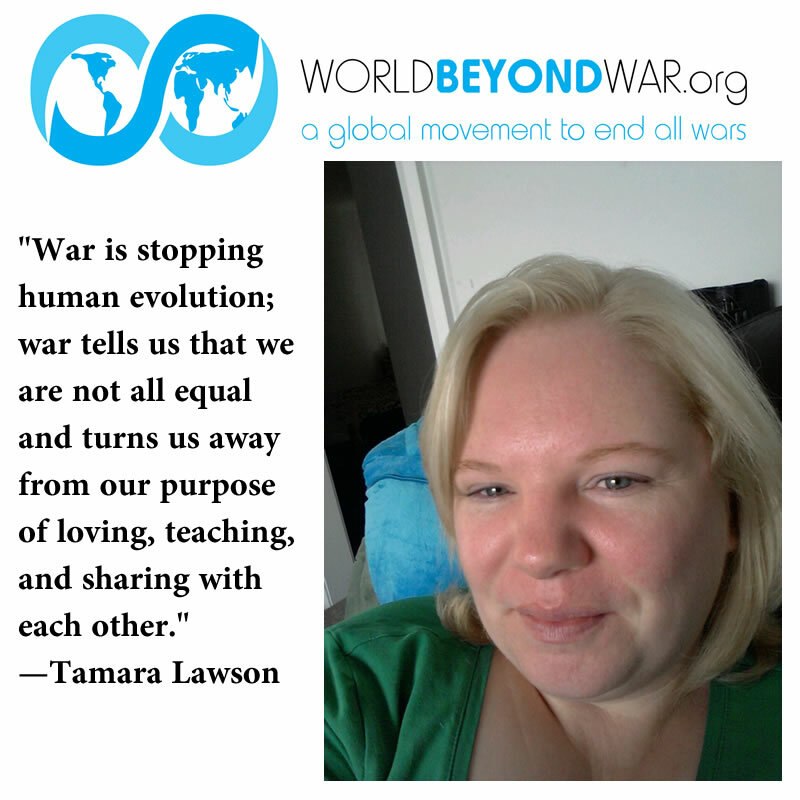 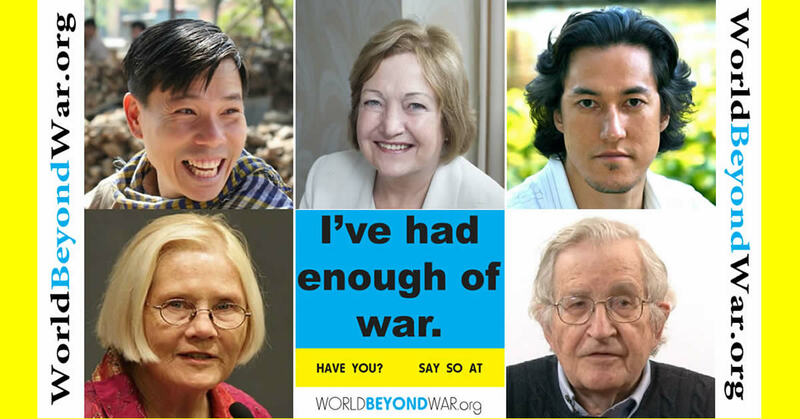 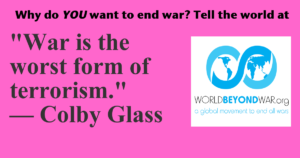 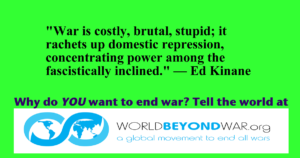 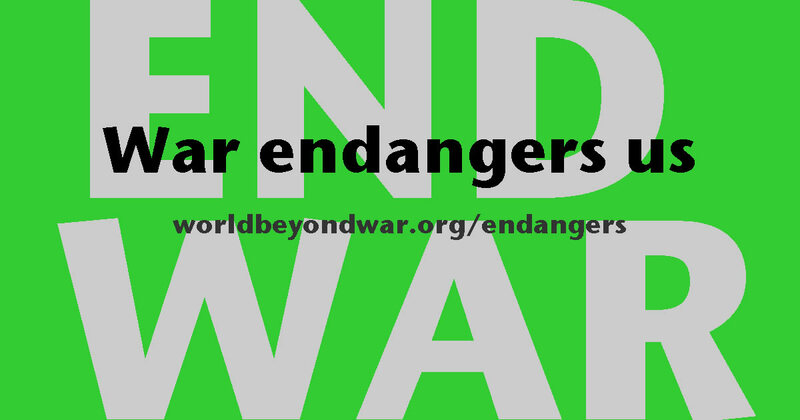 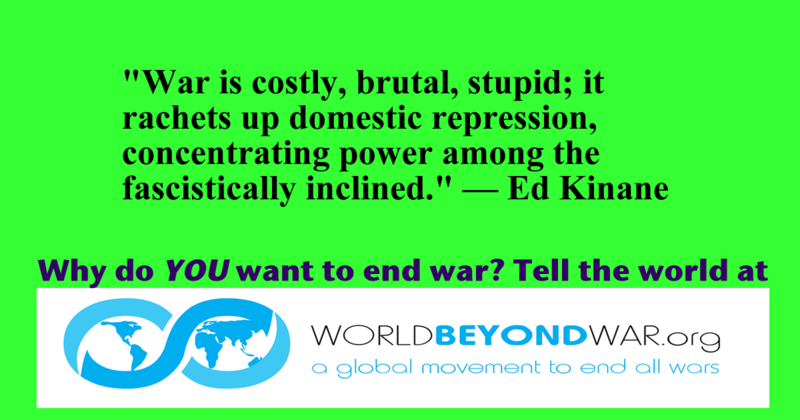 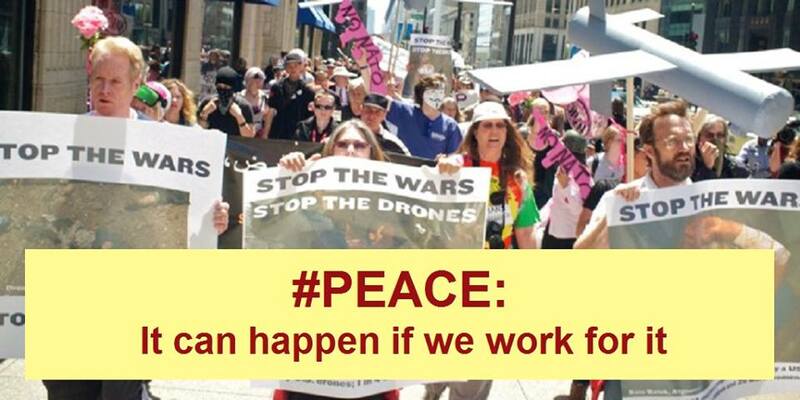 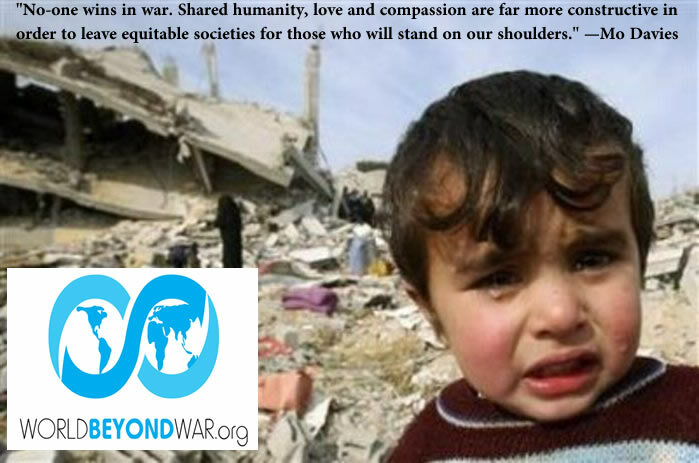 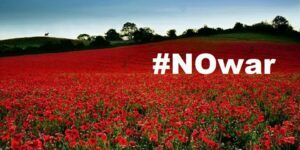 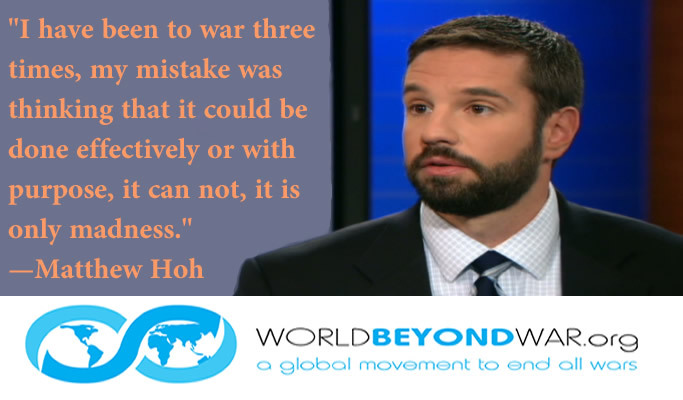 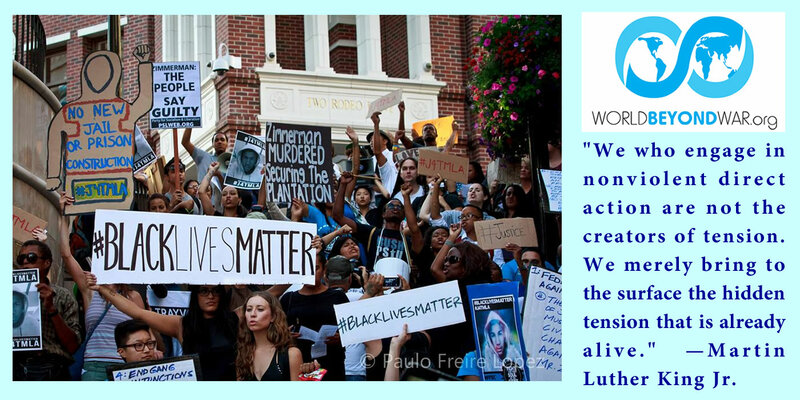 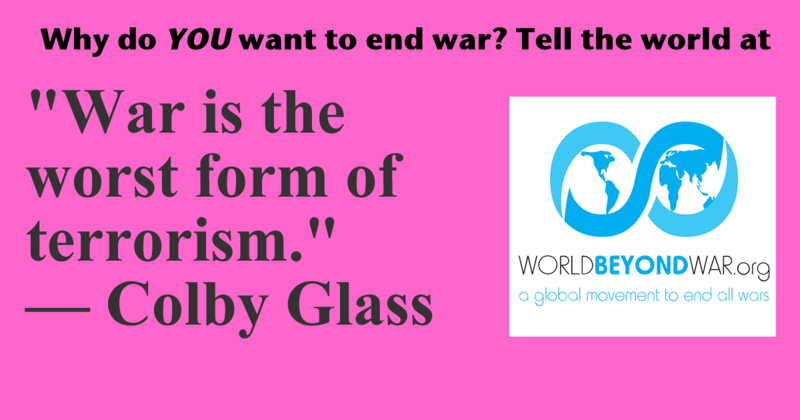 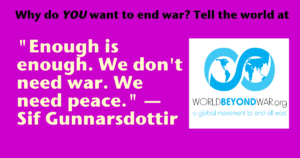 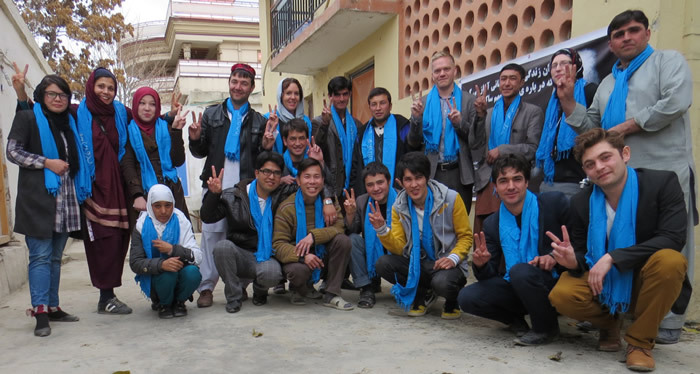 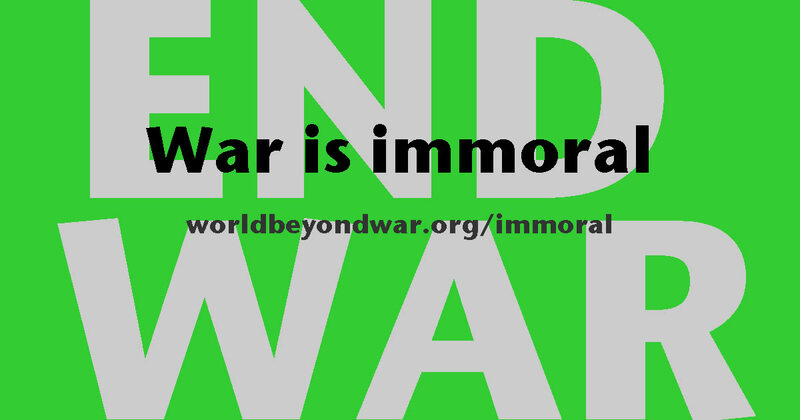 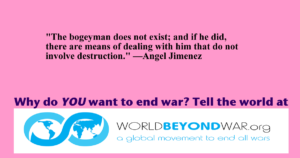 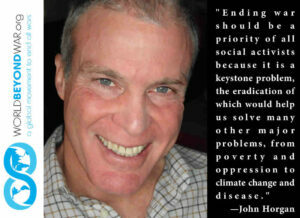 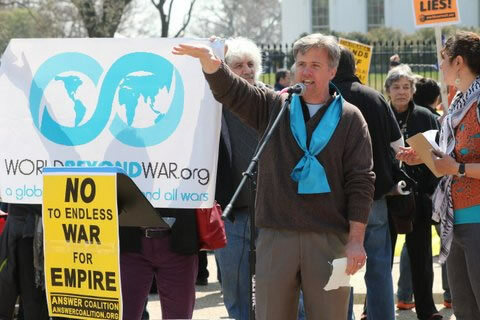 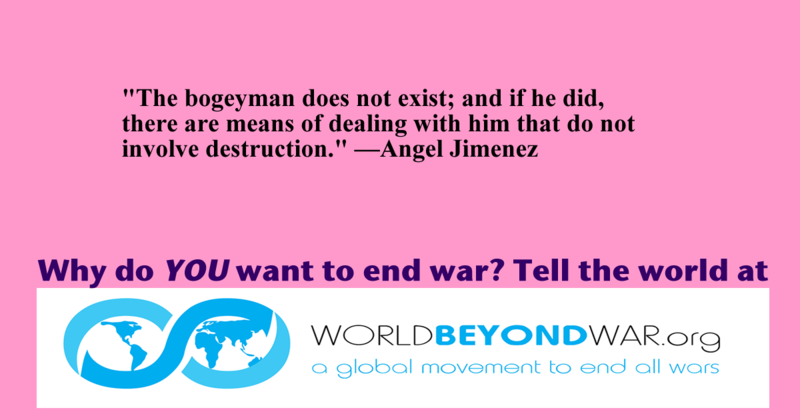 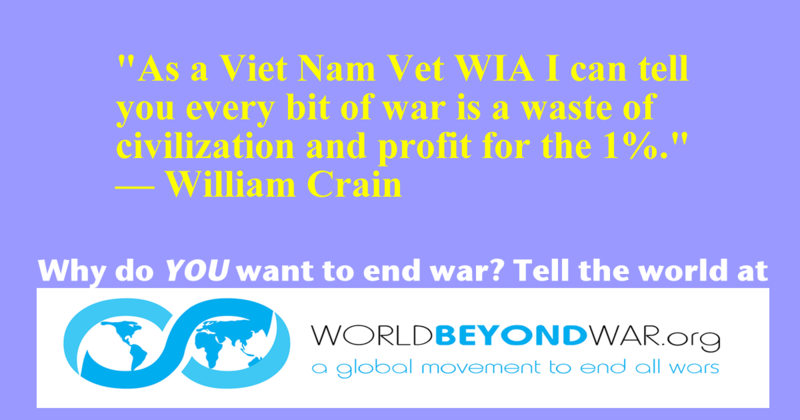 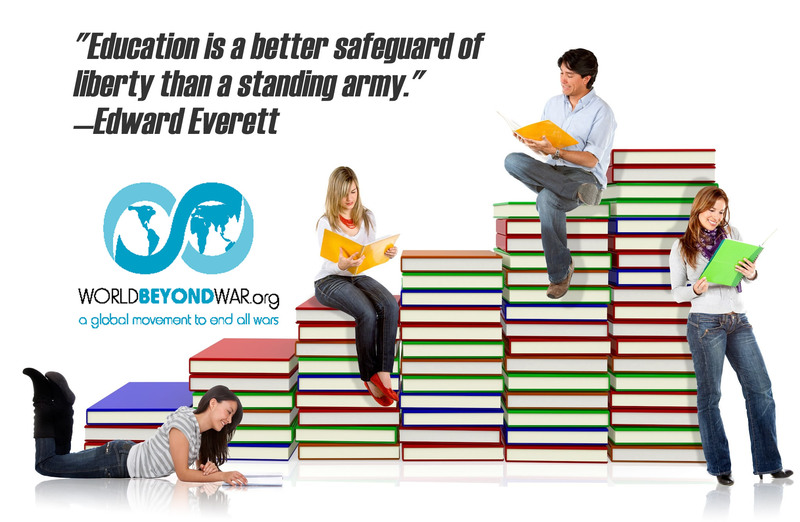 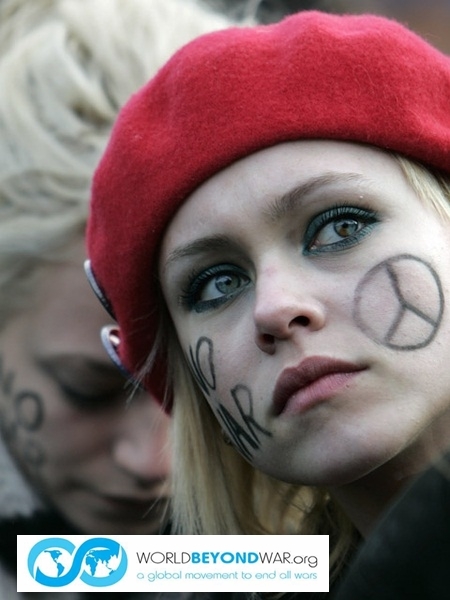 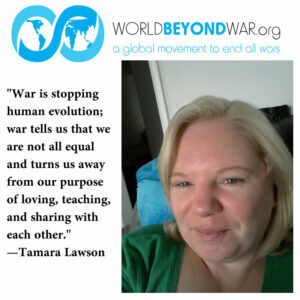 You can submit a photo of yourself with 1 sentence on why you want to end war, and we’ll add it here. 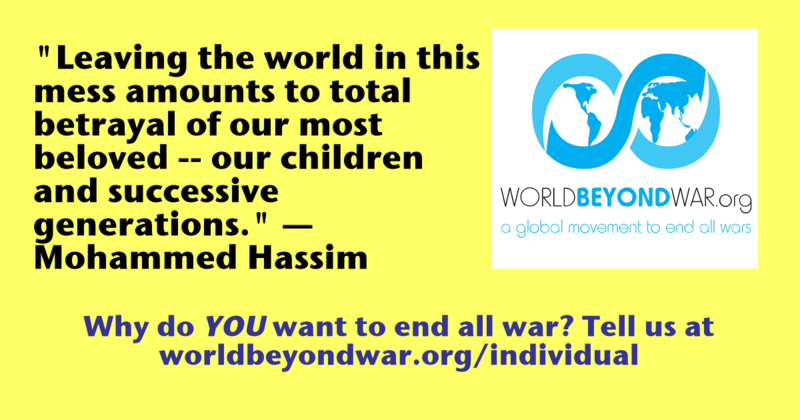 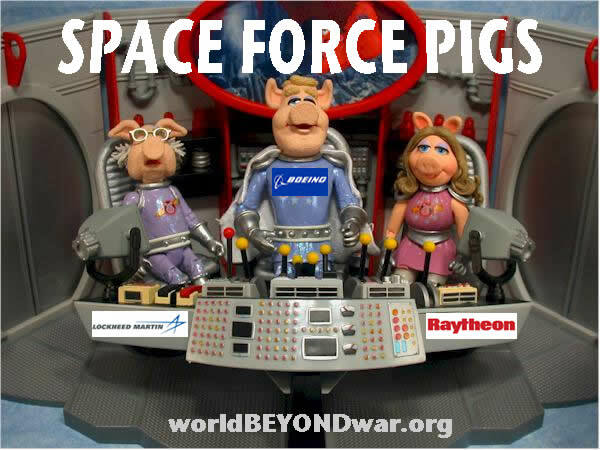 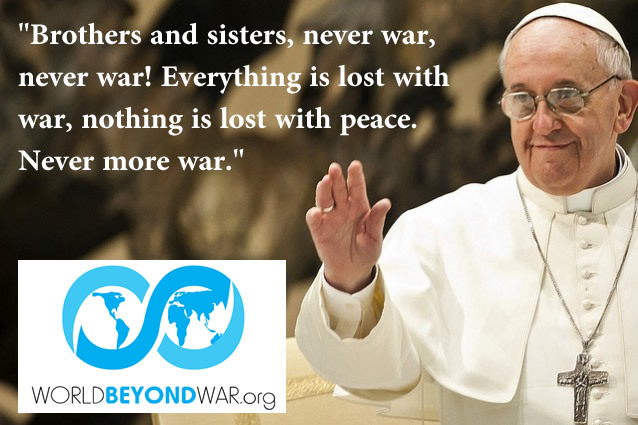 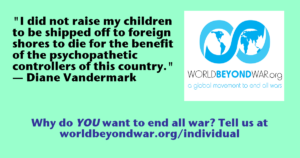 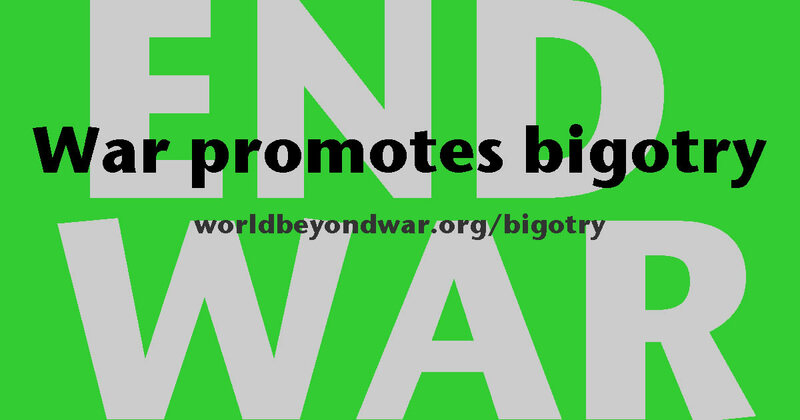 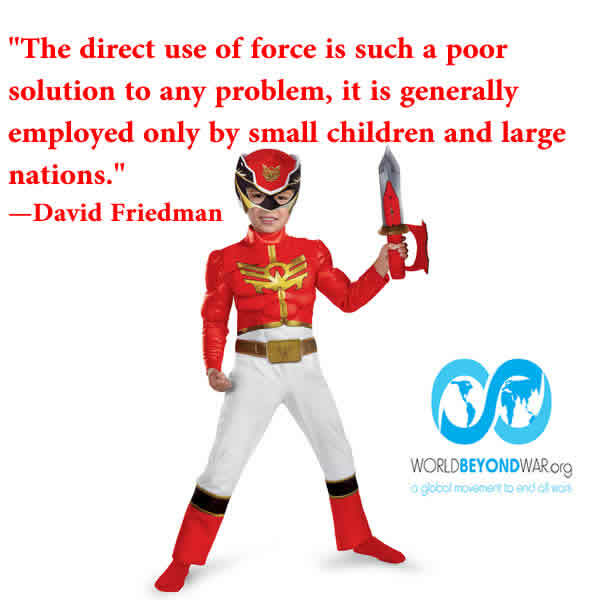 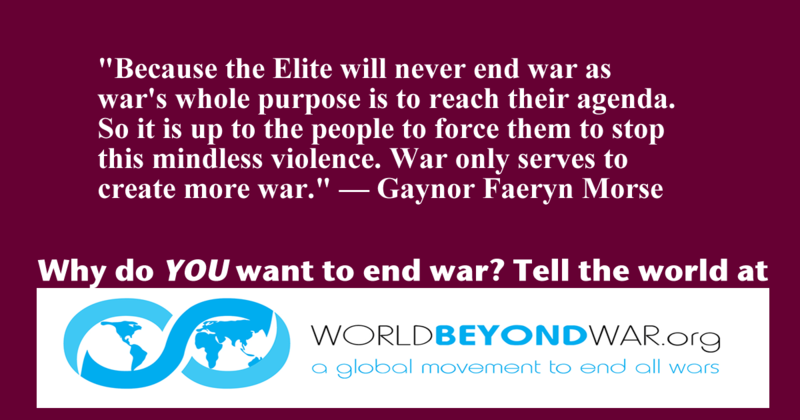 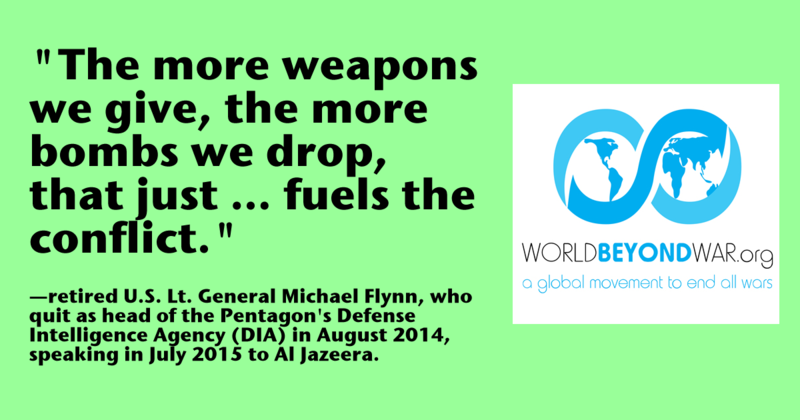 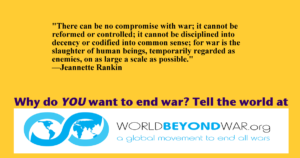 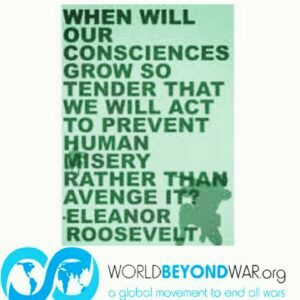 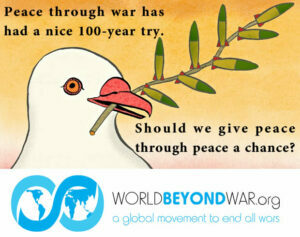 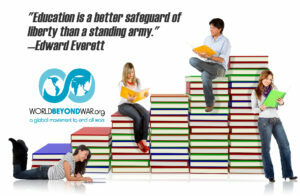 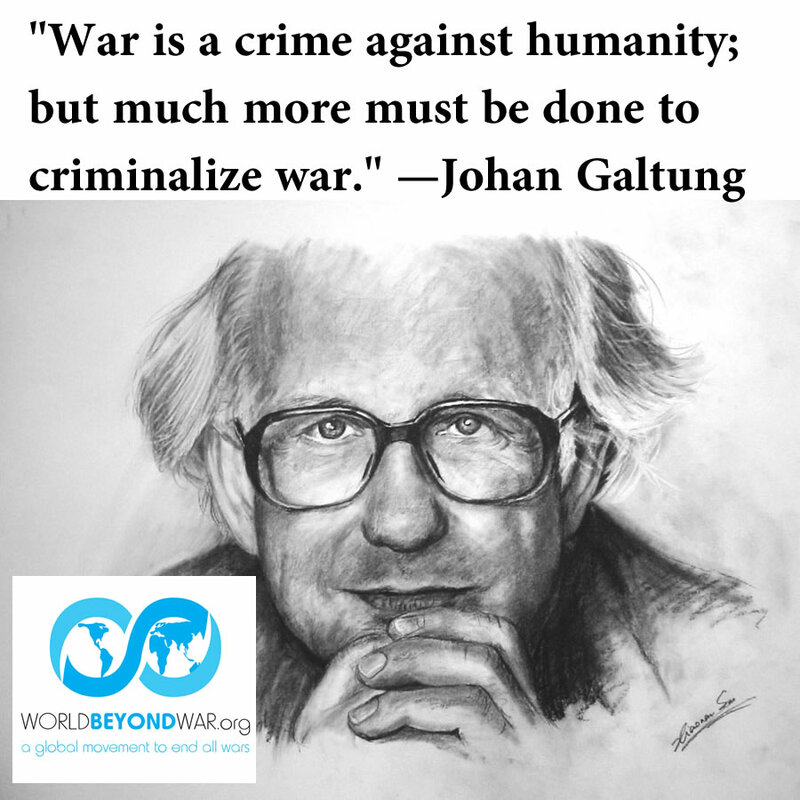 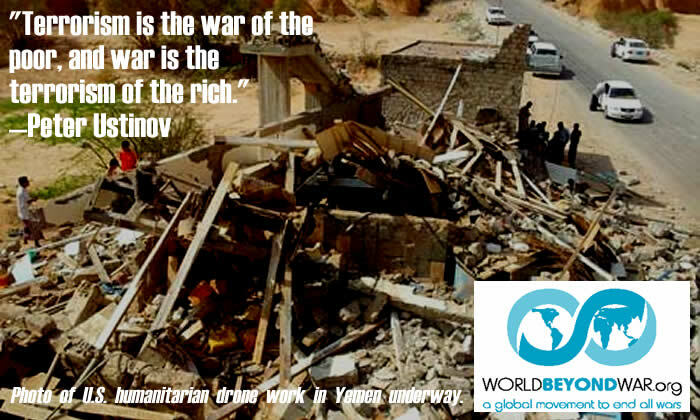 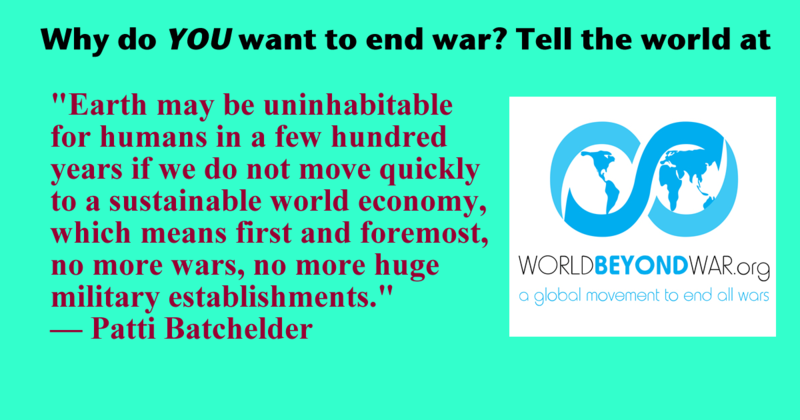 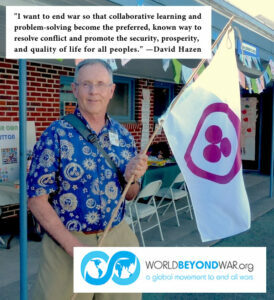 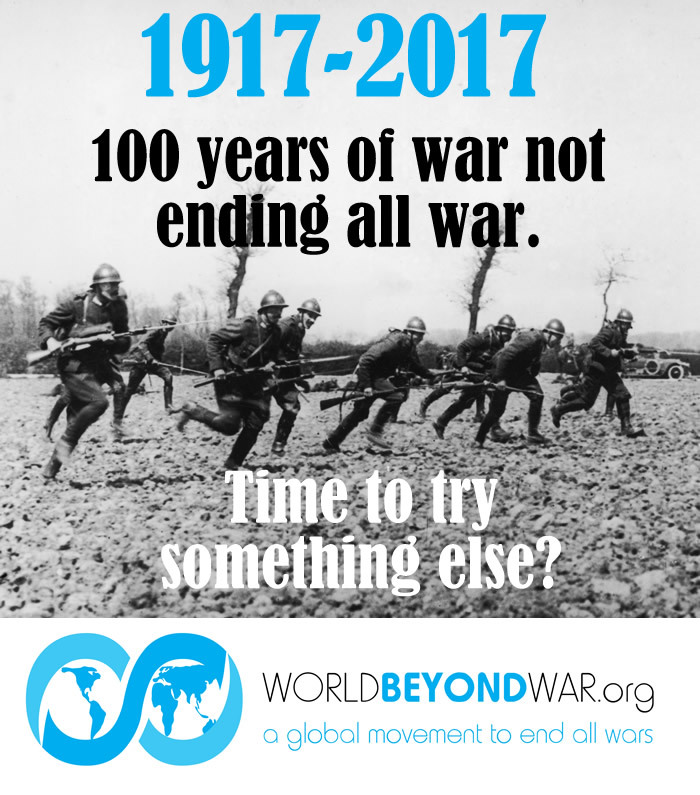 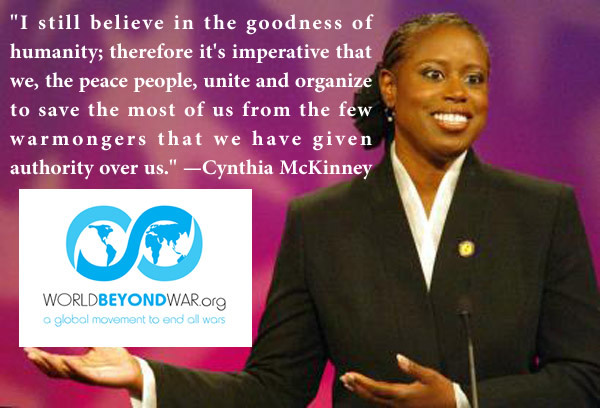 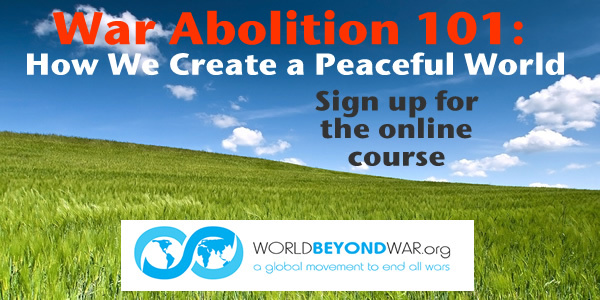 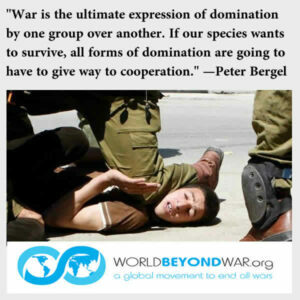 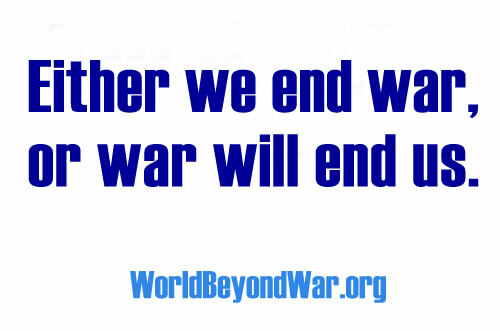 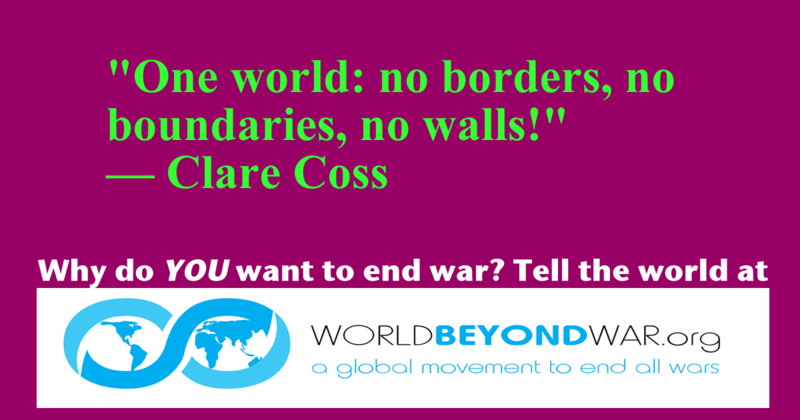 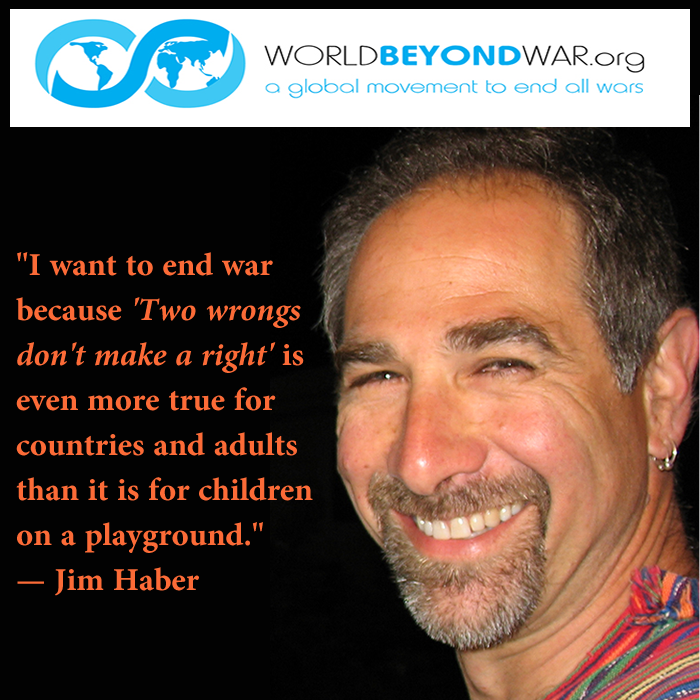 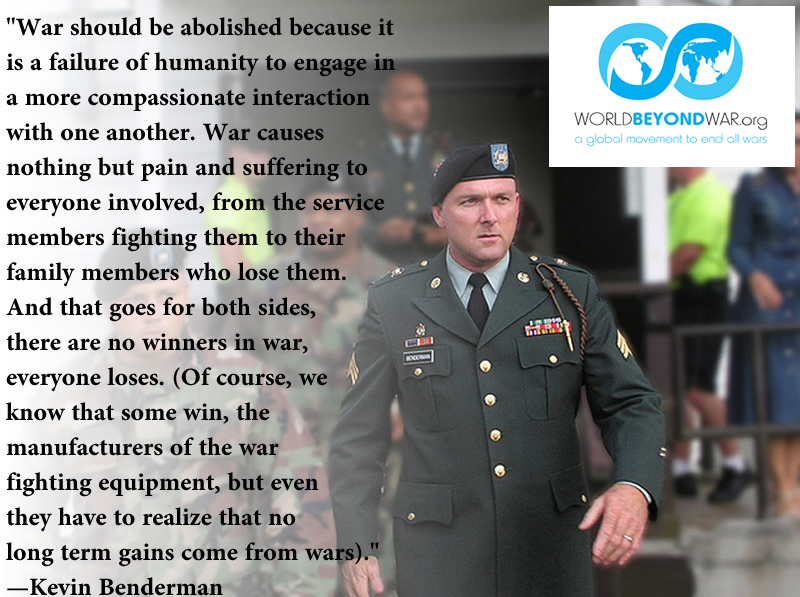 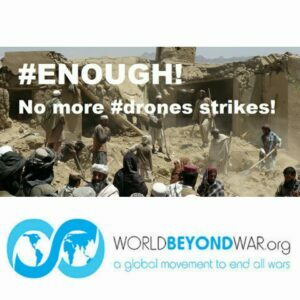 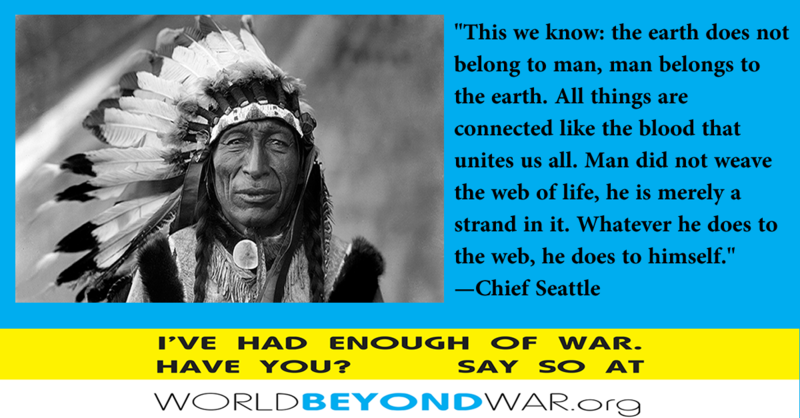 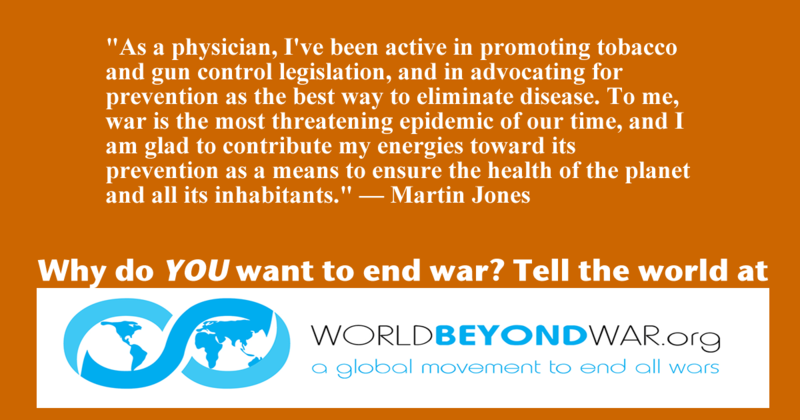 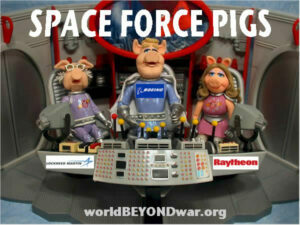 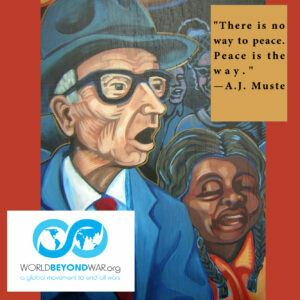 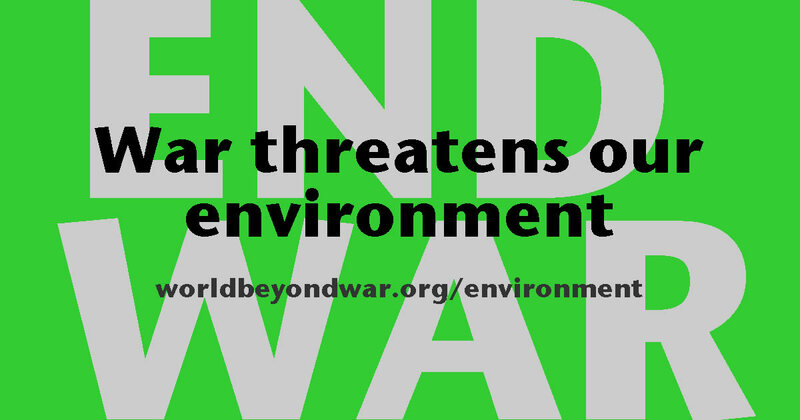 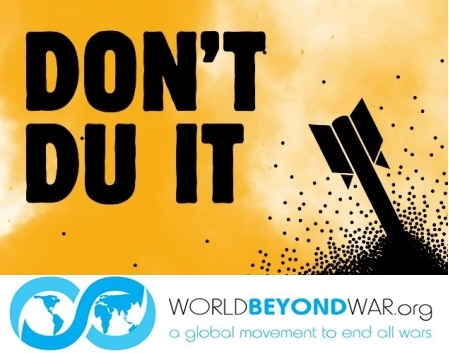 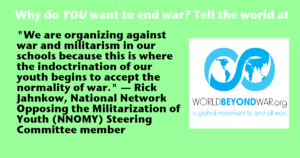 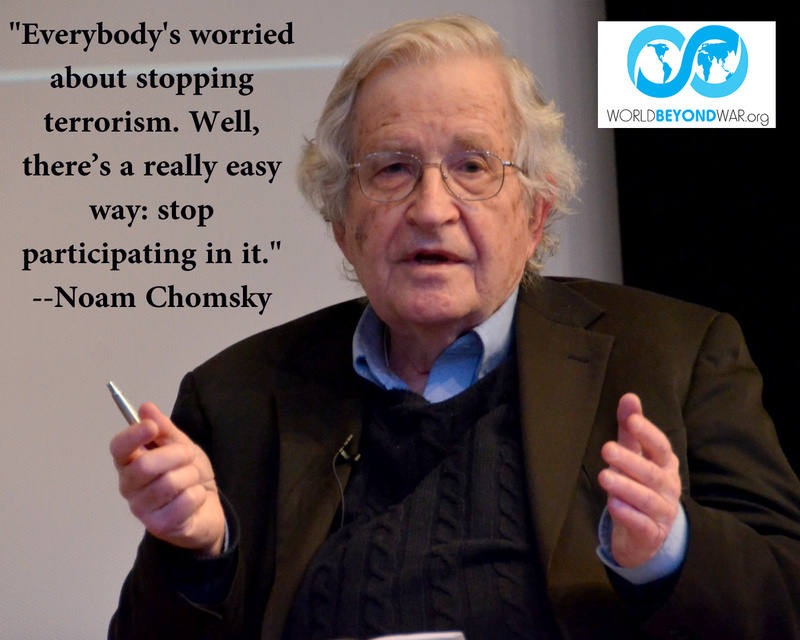 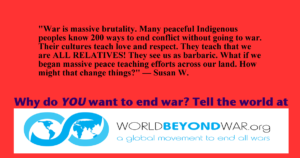 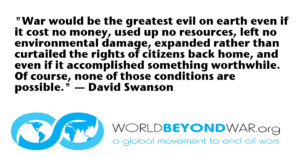 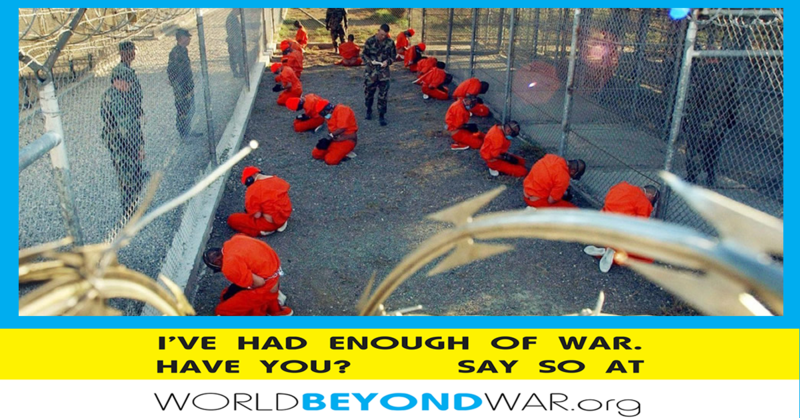 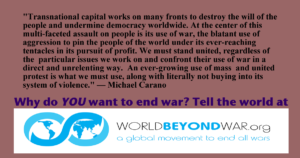 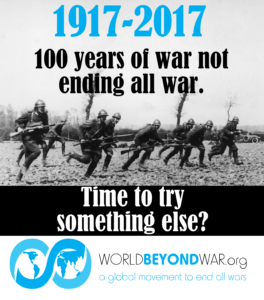 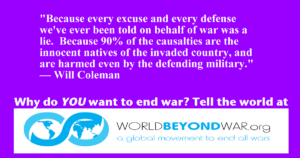 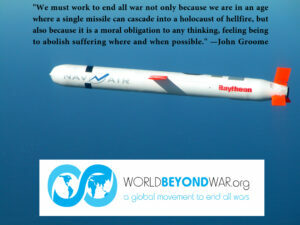 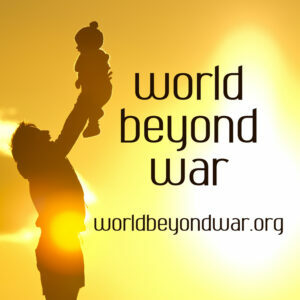 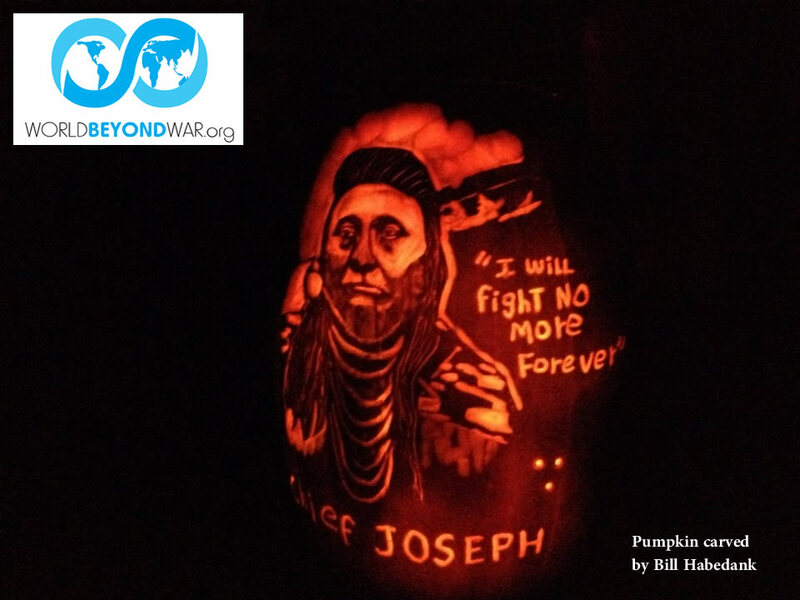 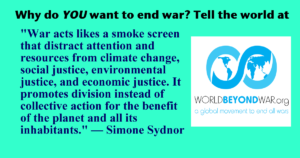 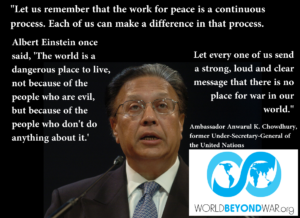 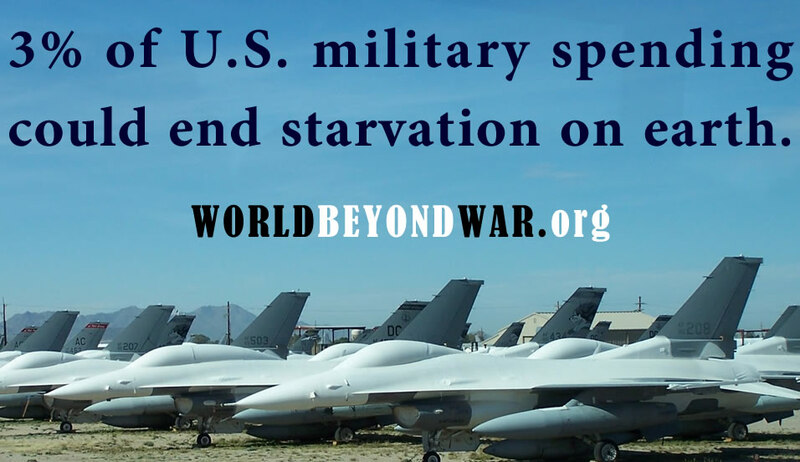 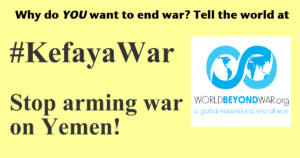 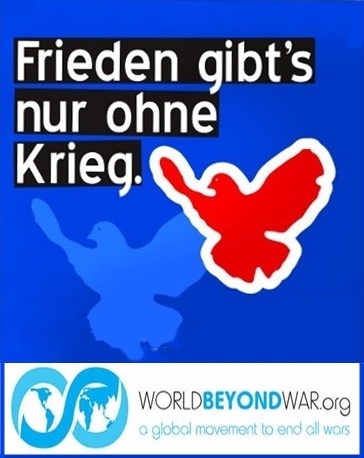 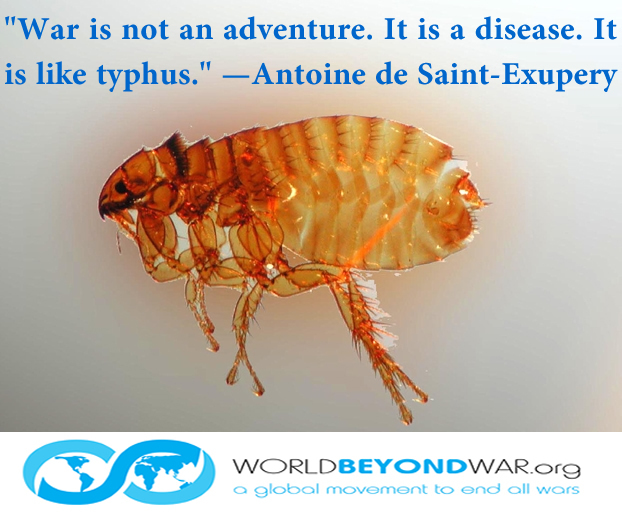 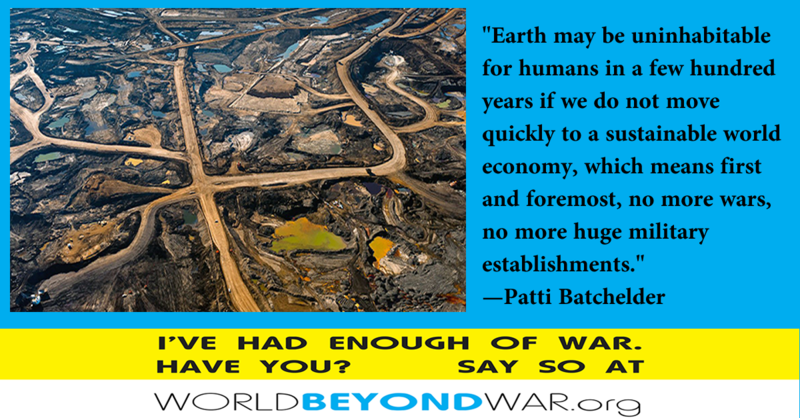 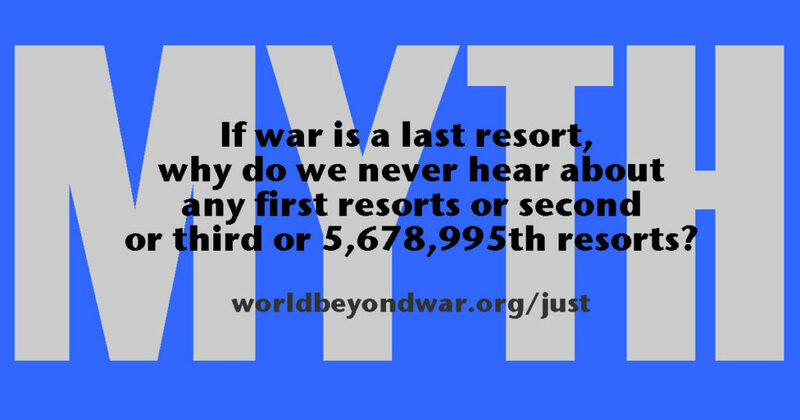 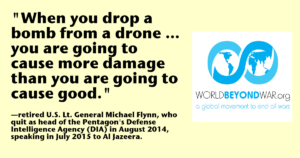 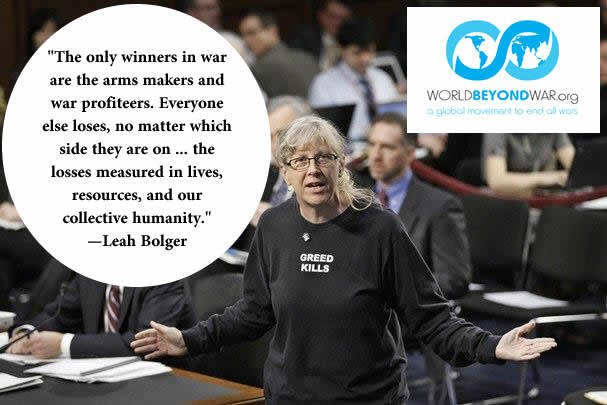 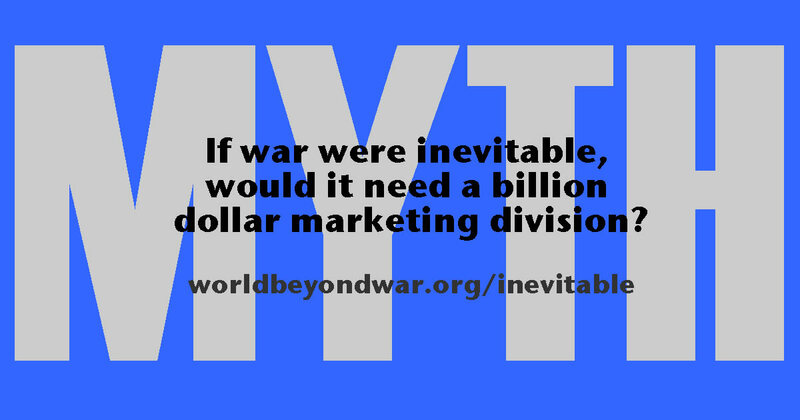 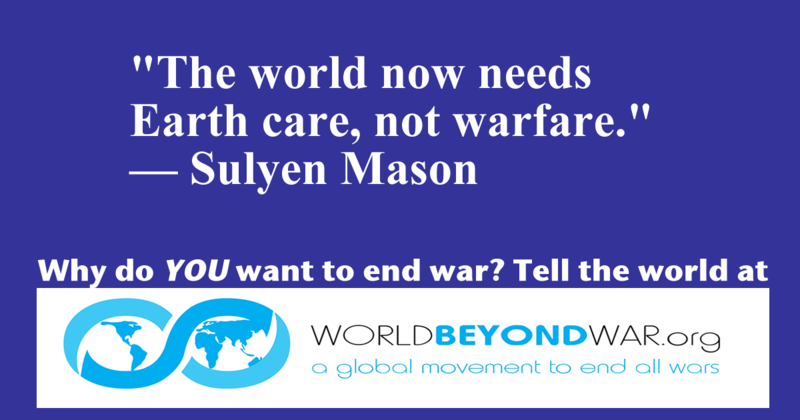 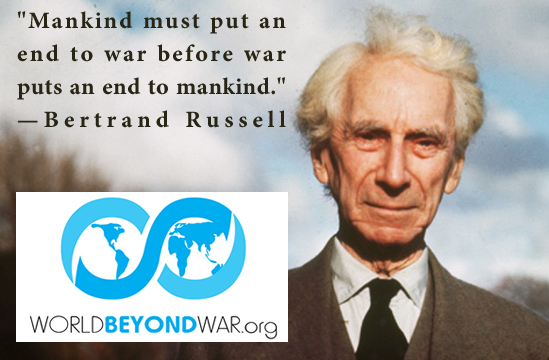 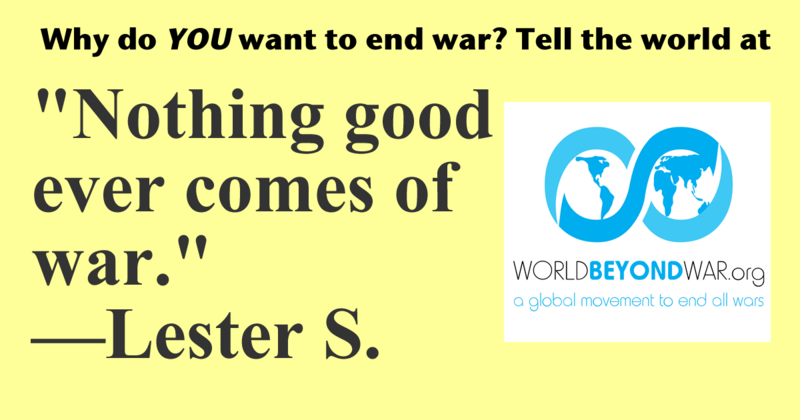 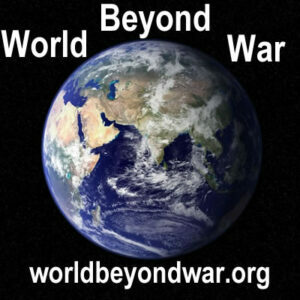 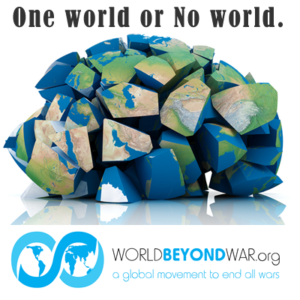 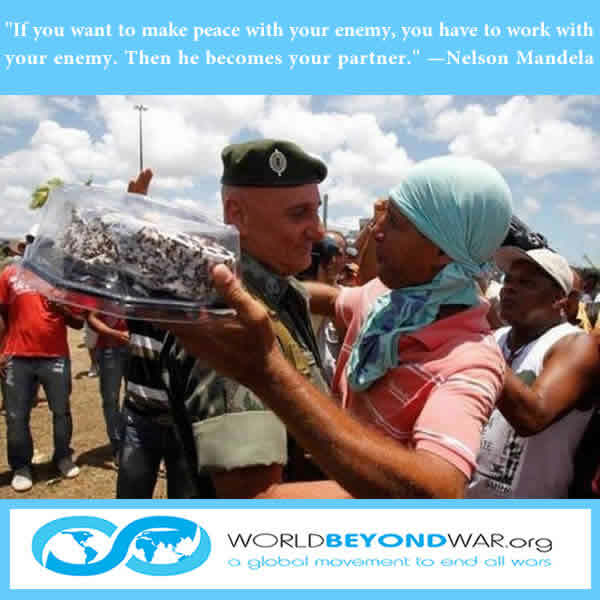 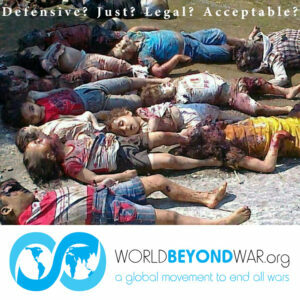 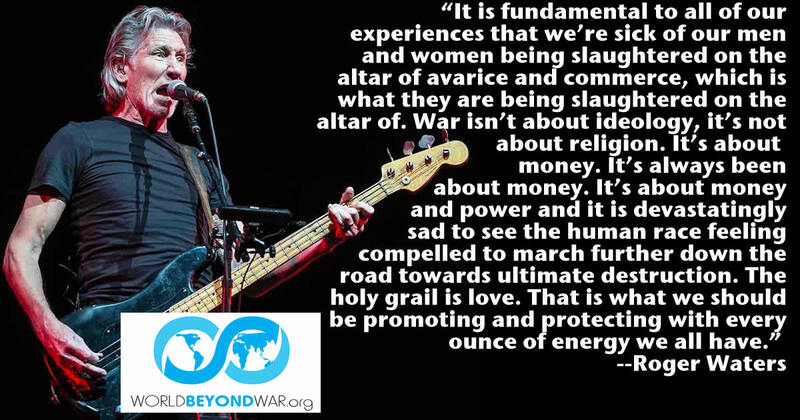 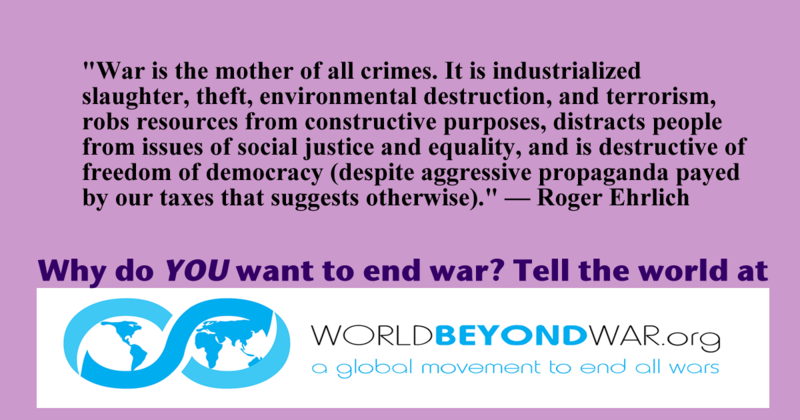 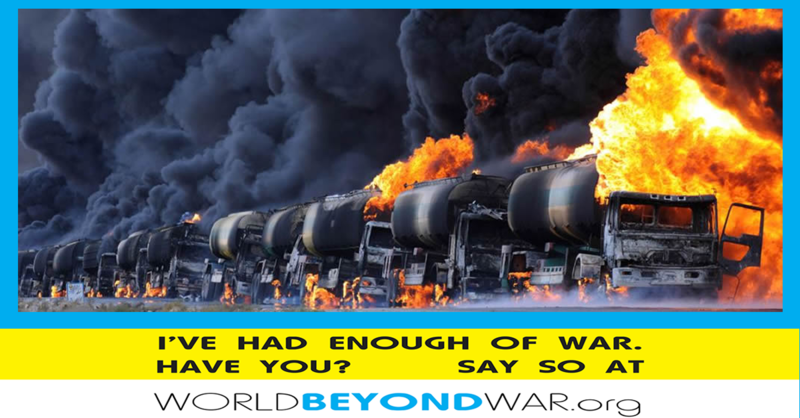 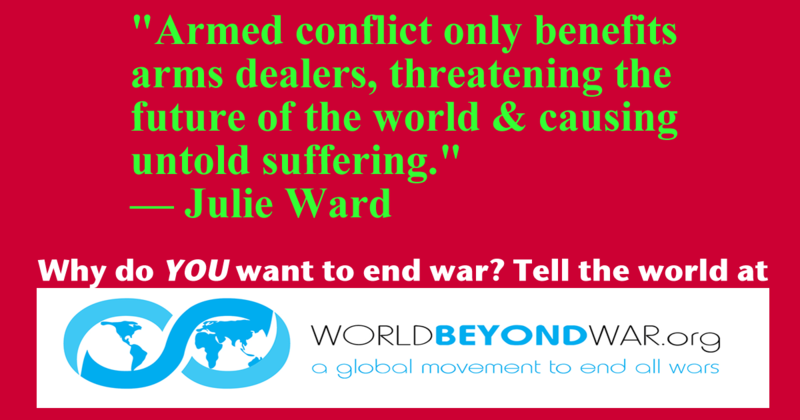 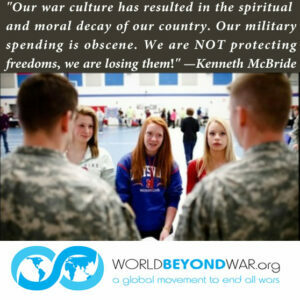 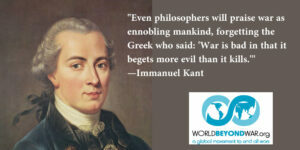 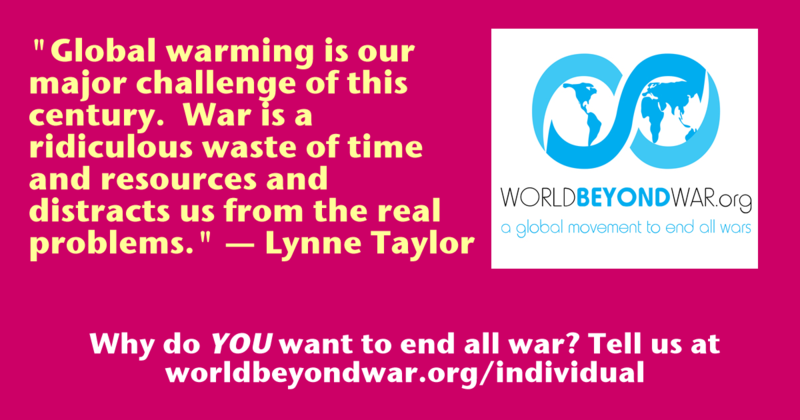 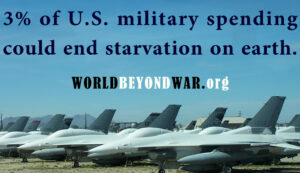 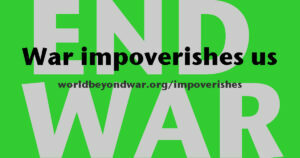 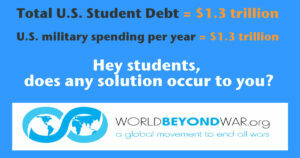 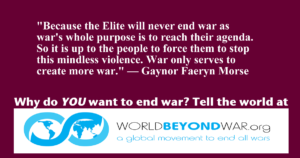 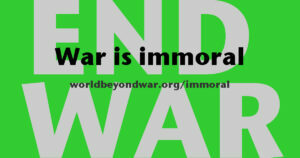 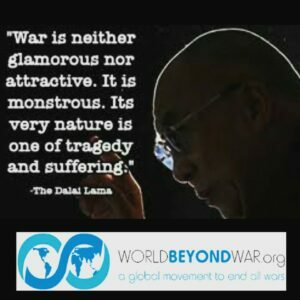 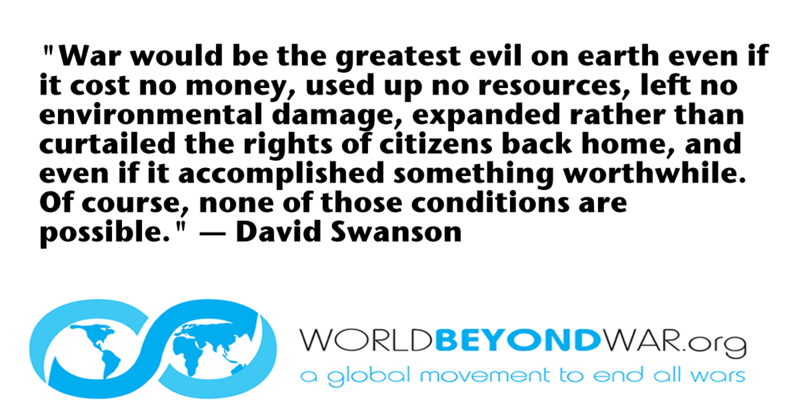 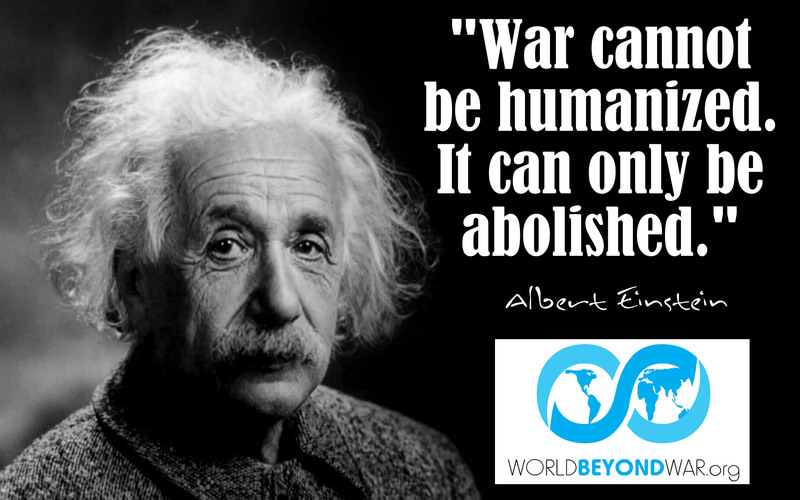 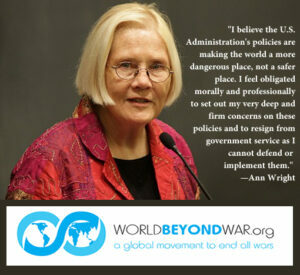 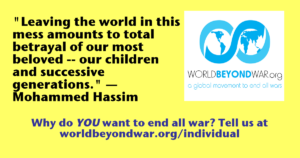 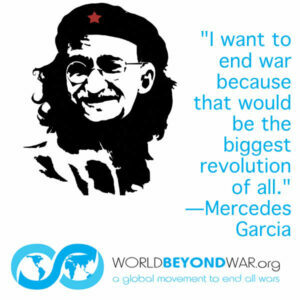 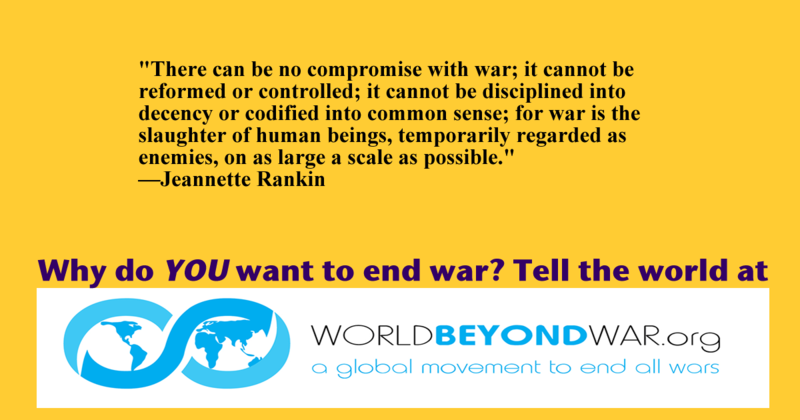 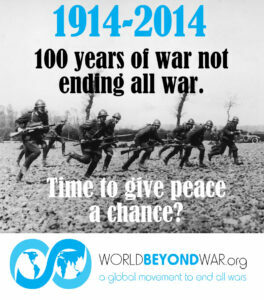 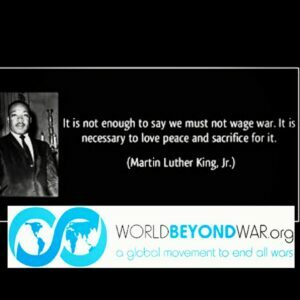 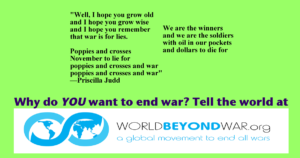 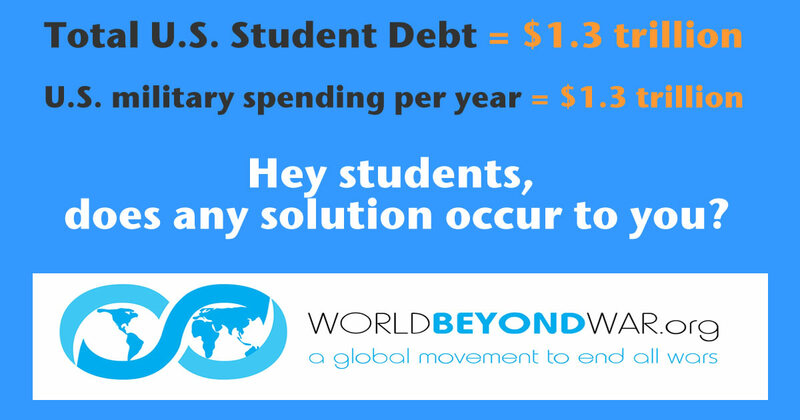 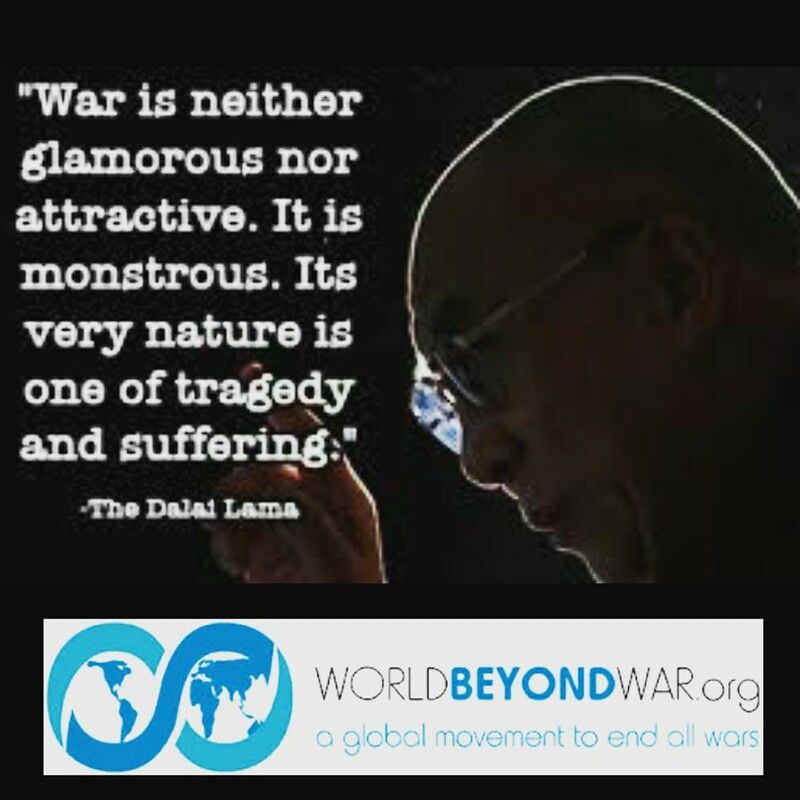 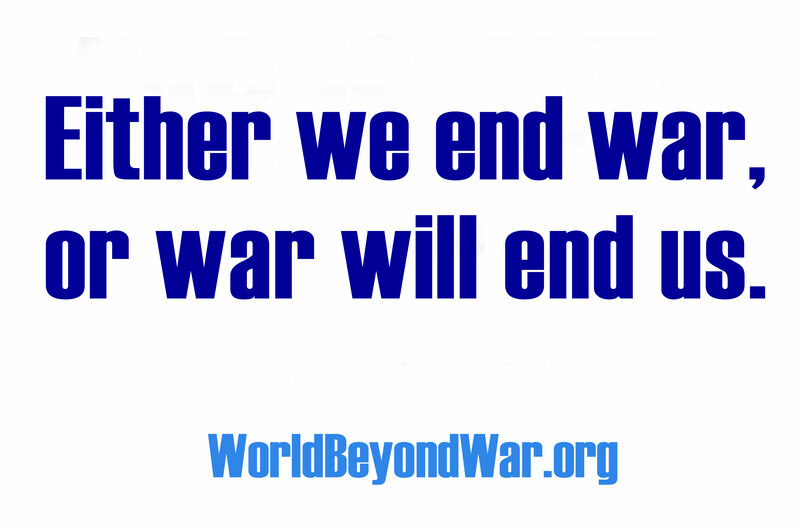 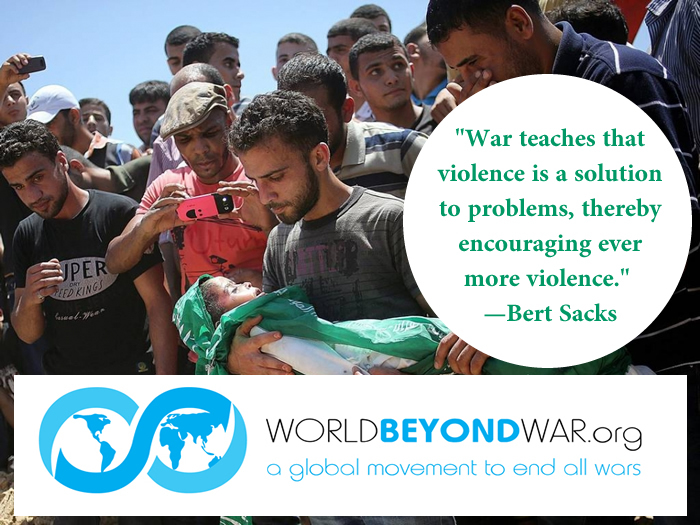 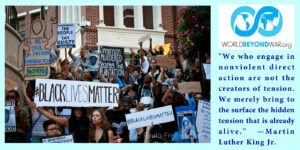 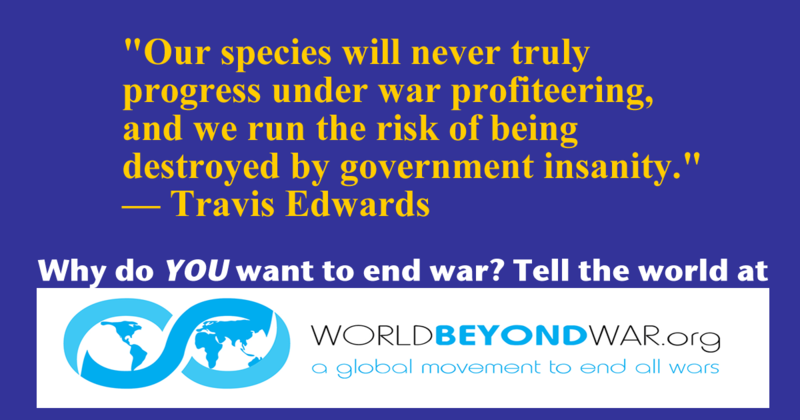 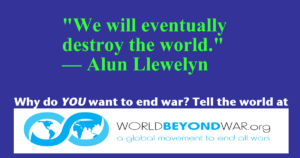 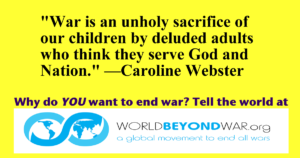 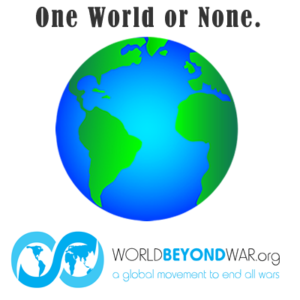 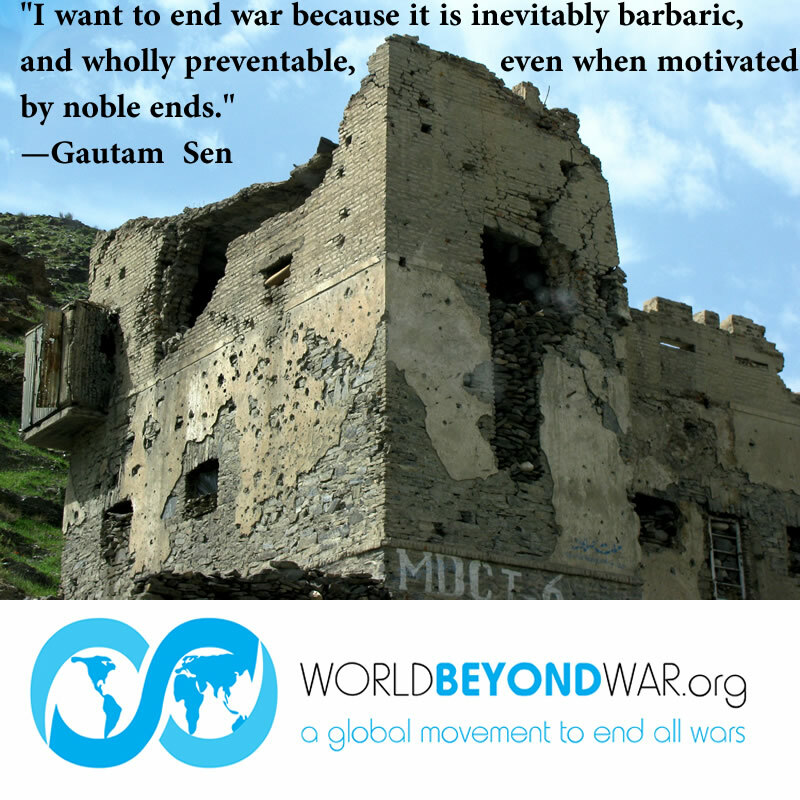 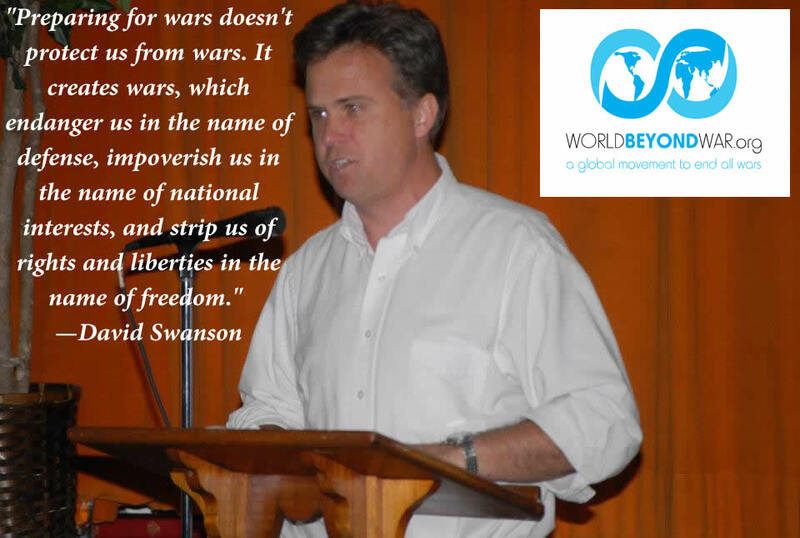 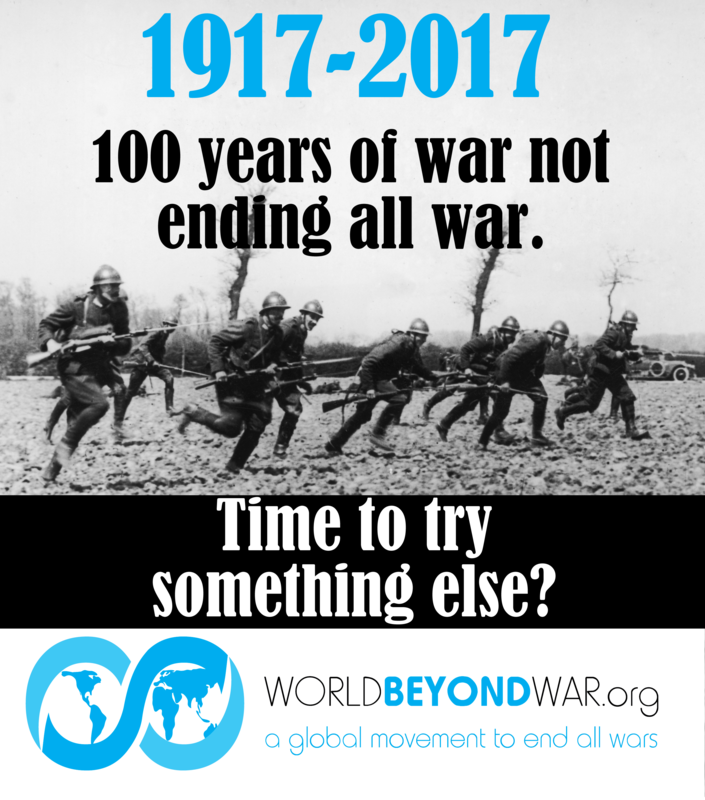 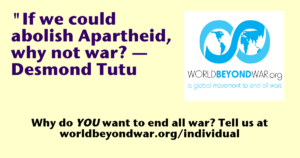 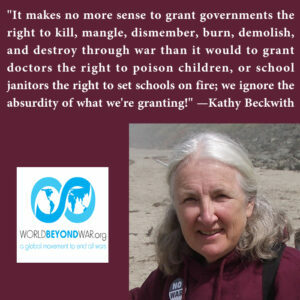 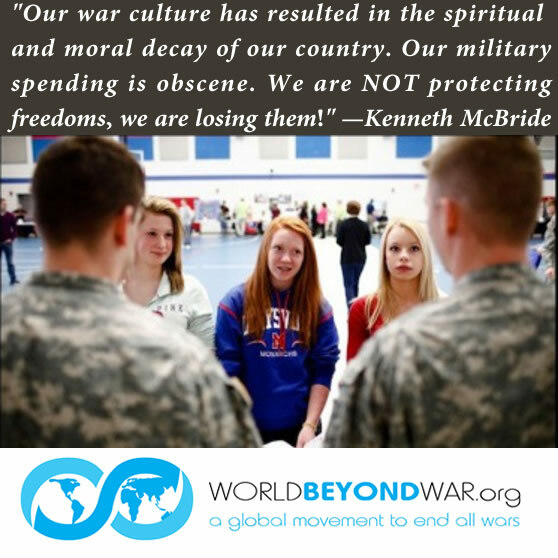 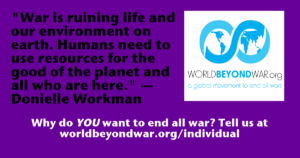 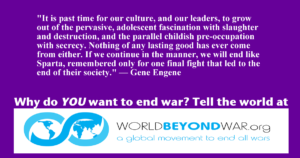 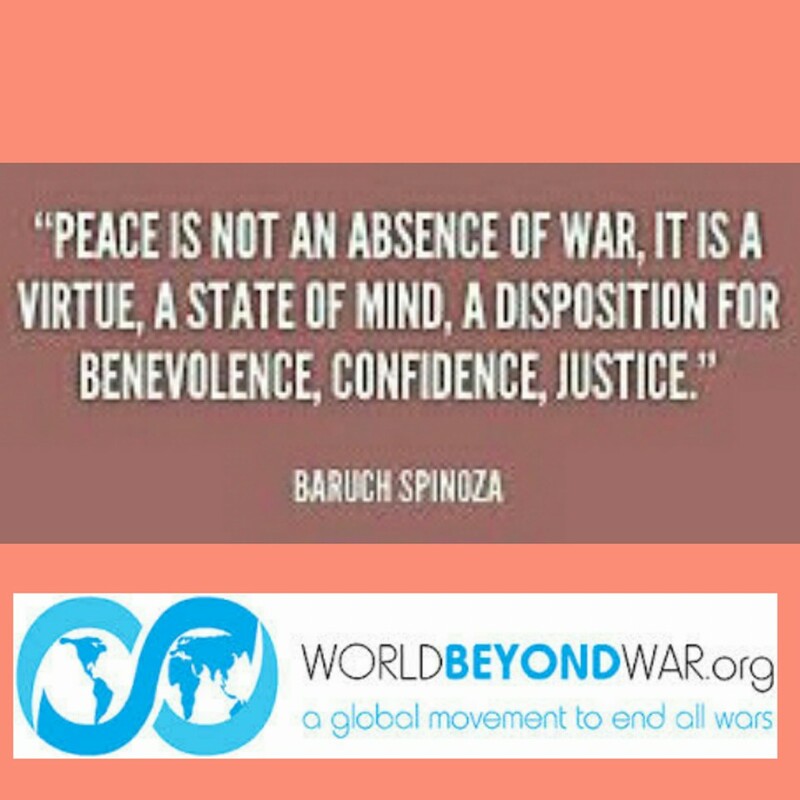 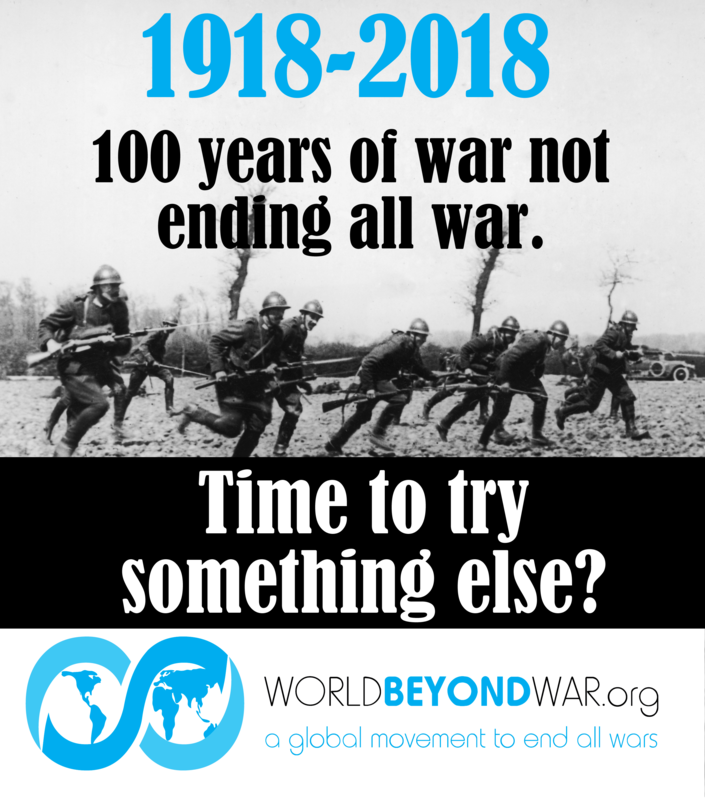 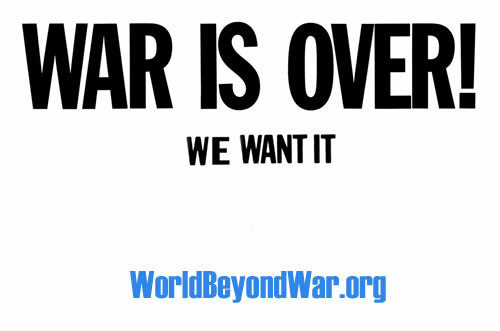 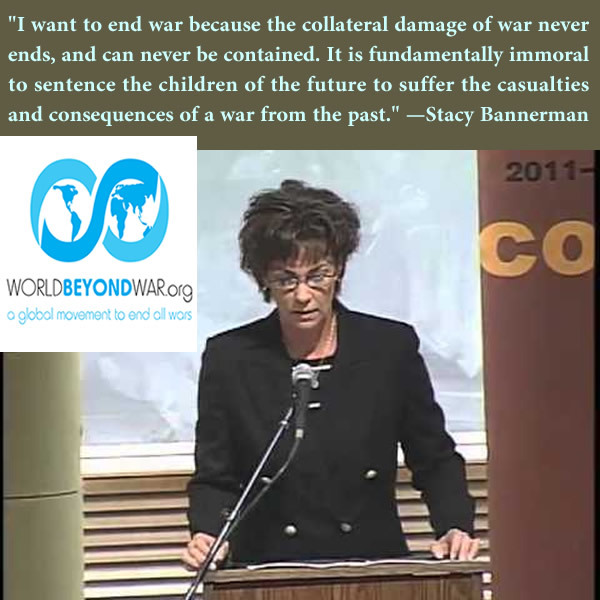 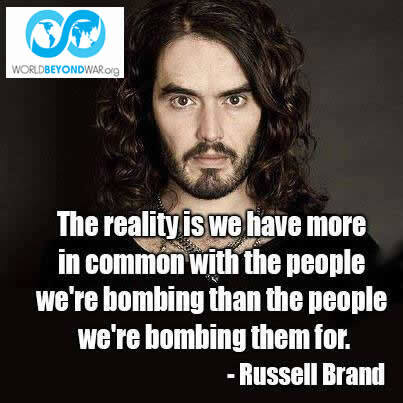 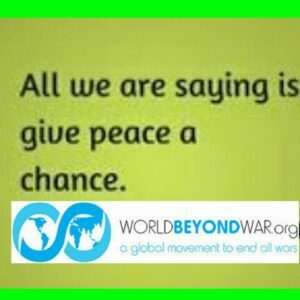 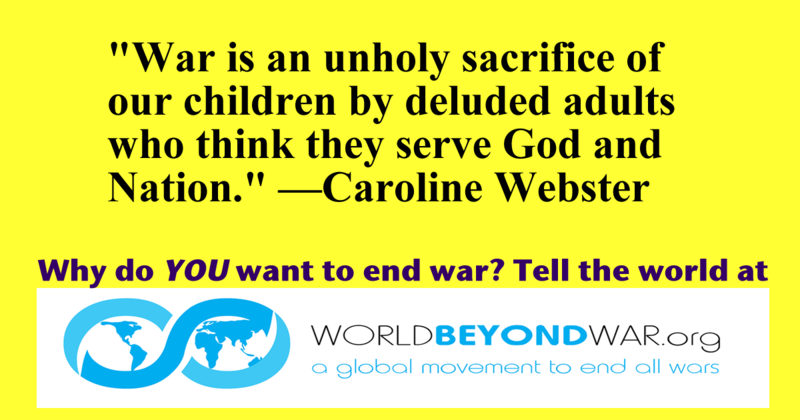 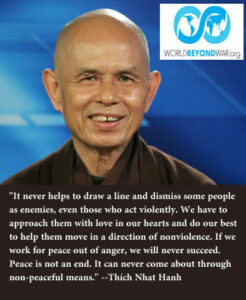 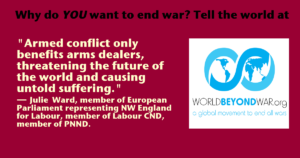 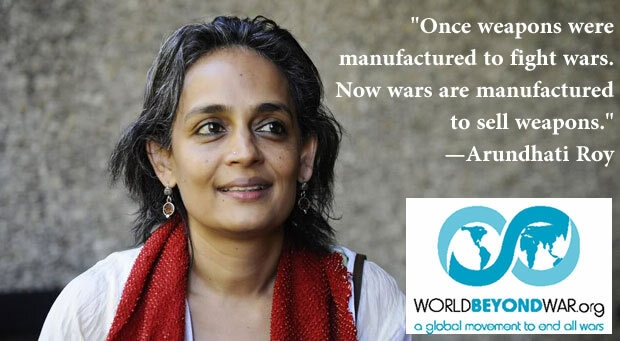 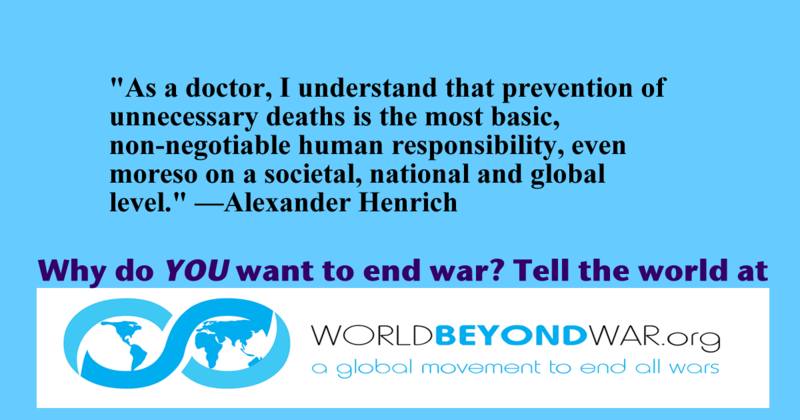 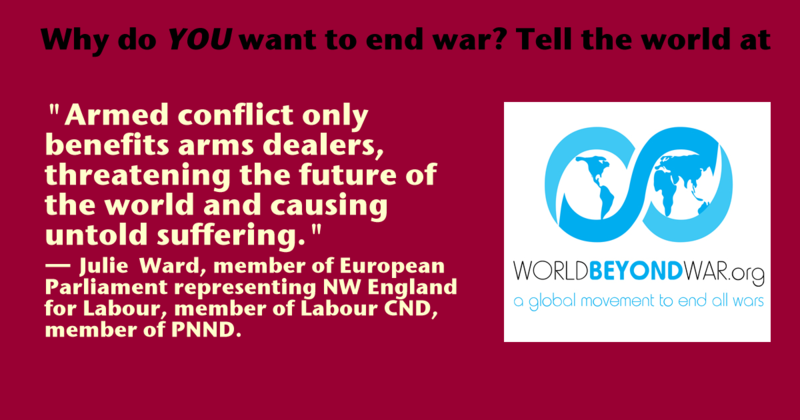 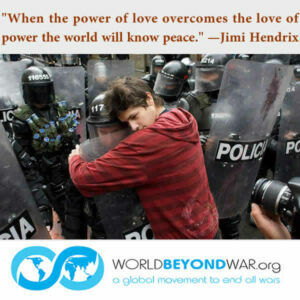 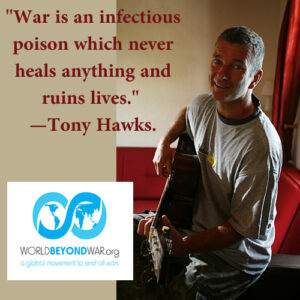 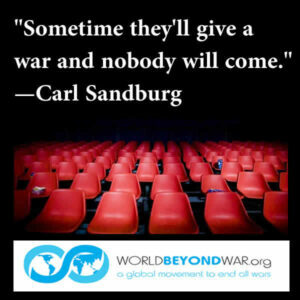 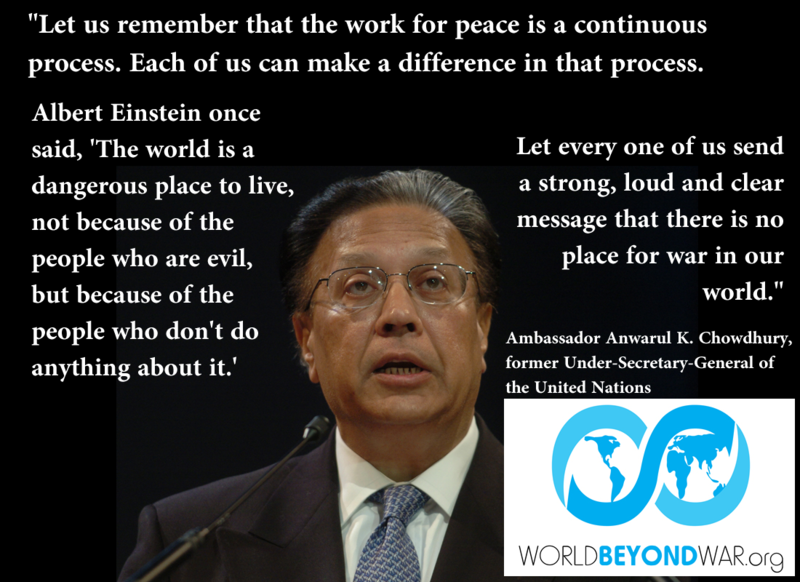 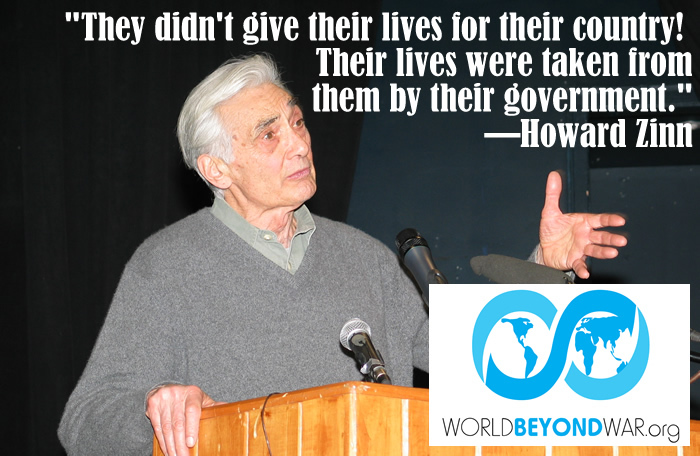 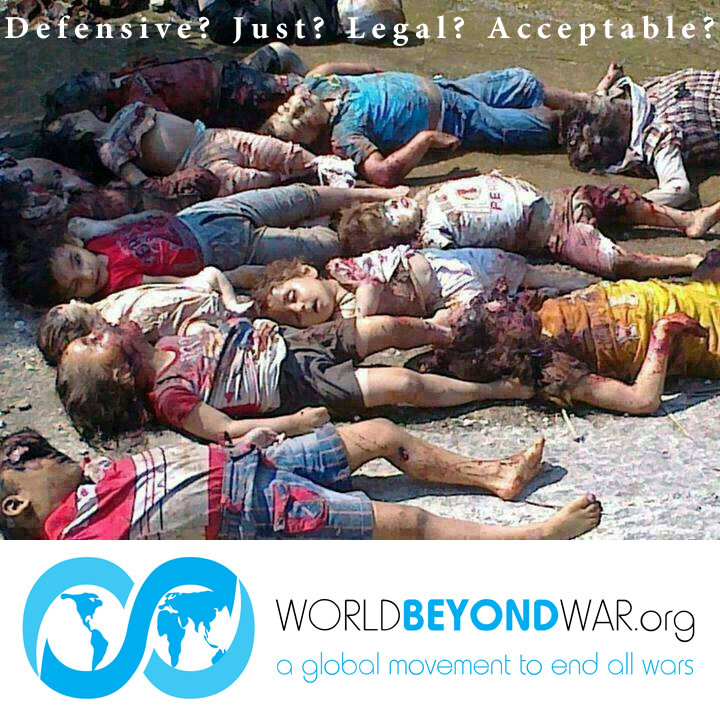 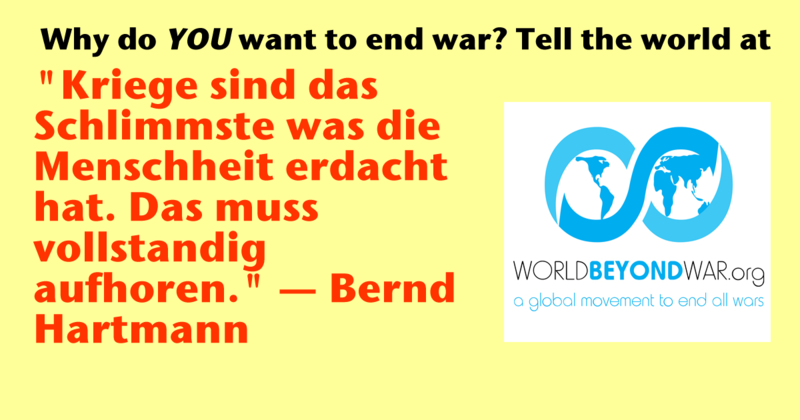 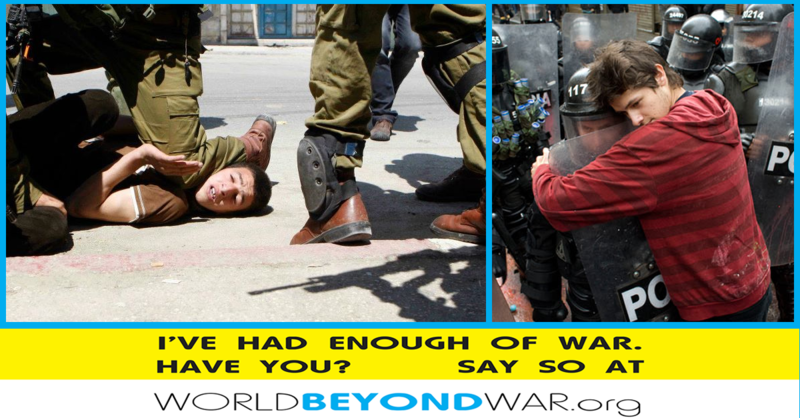 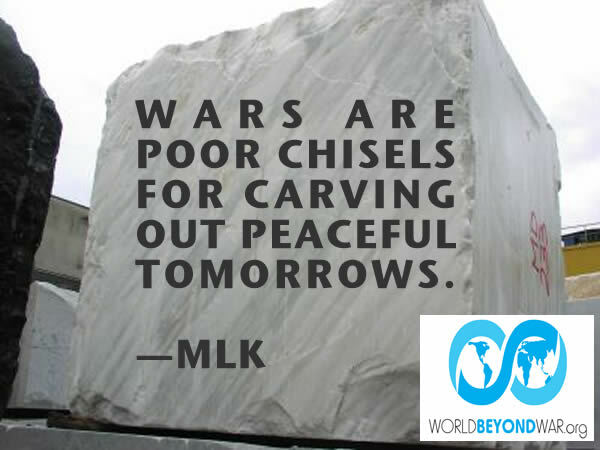 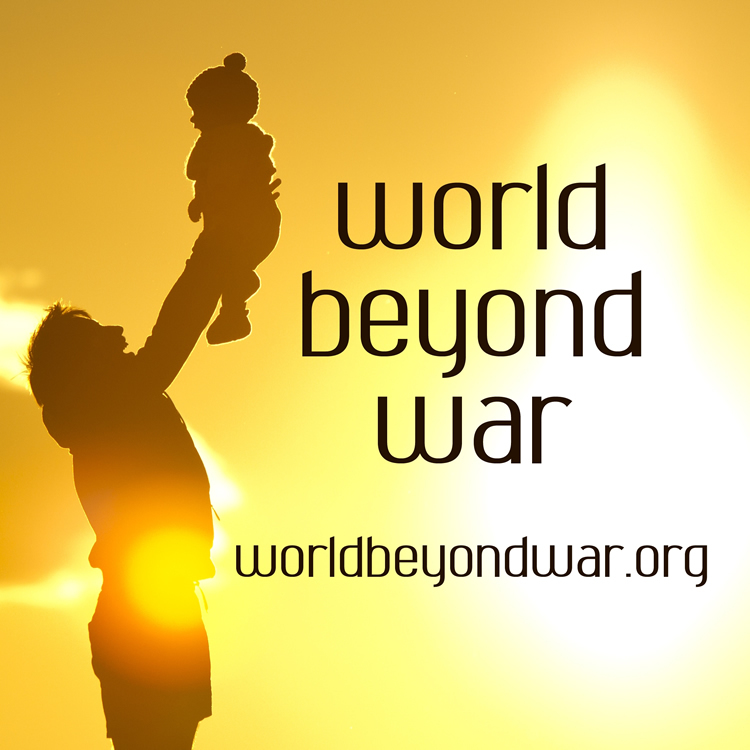 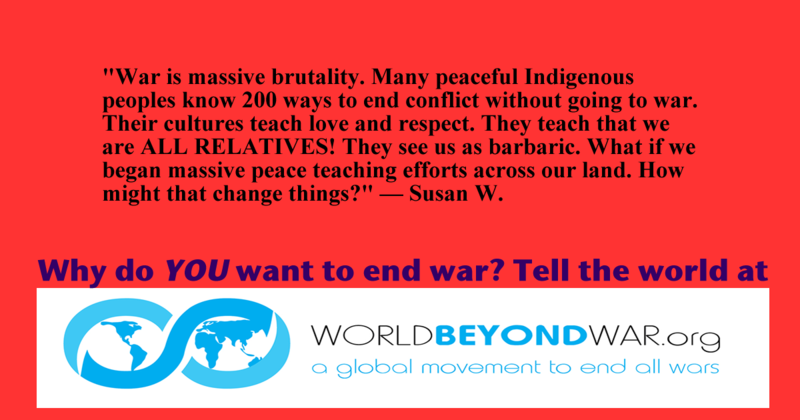 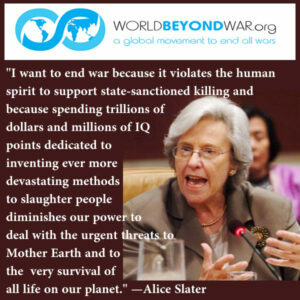 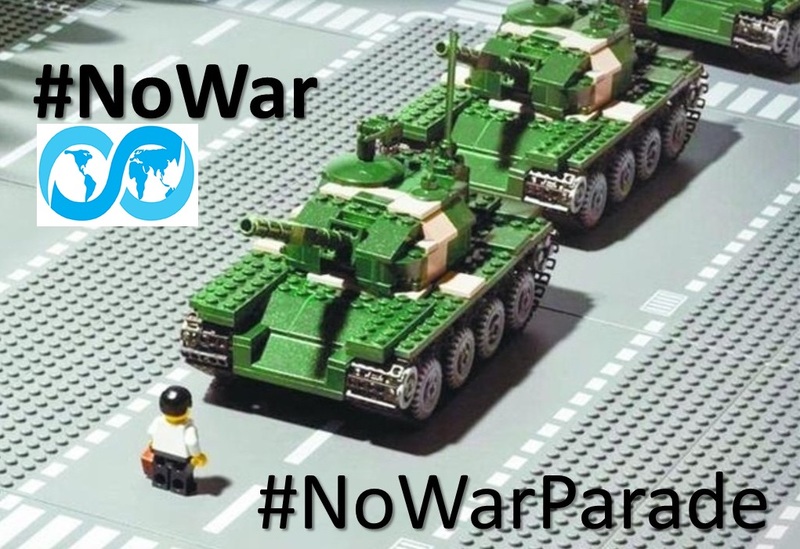 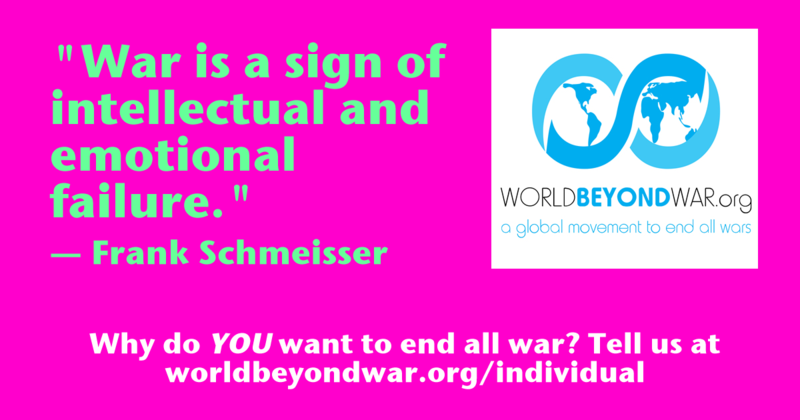 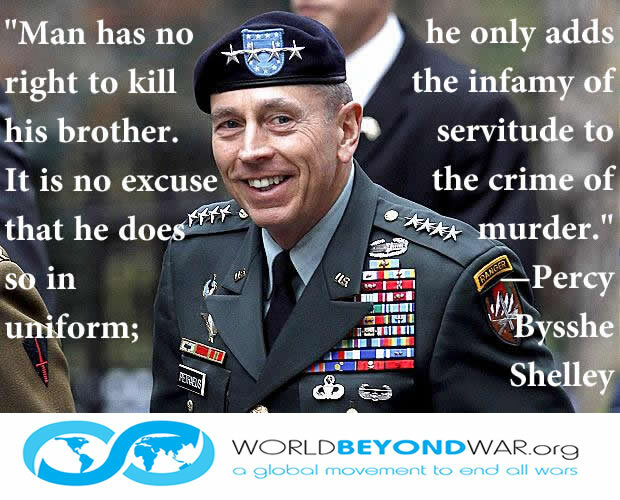 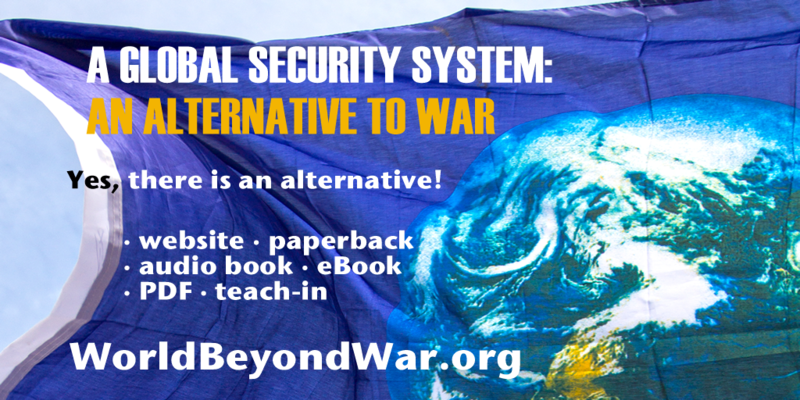 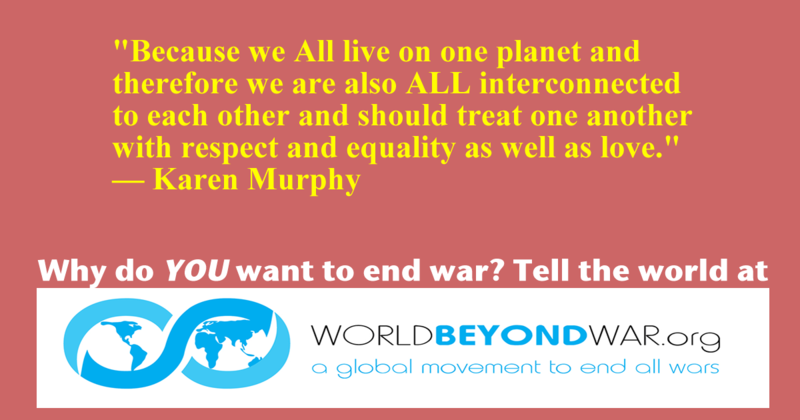 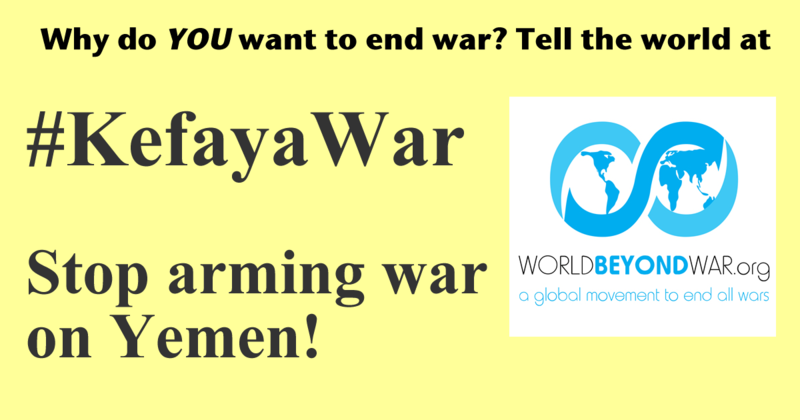 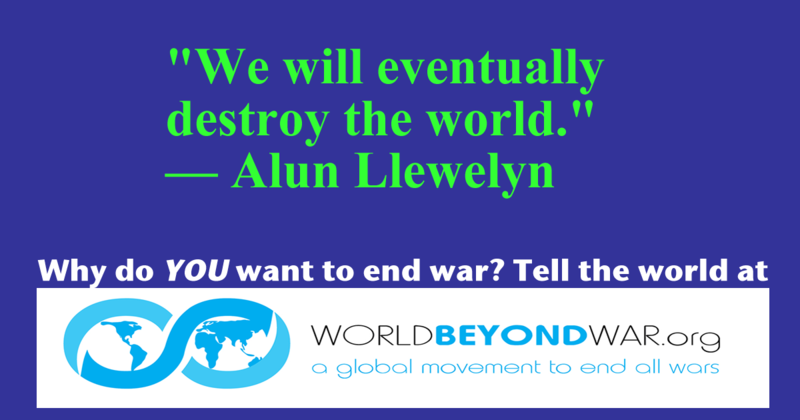 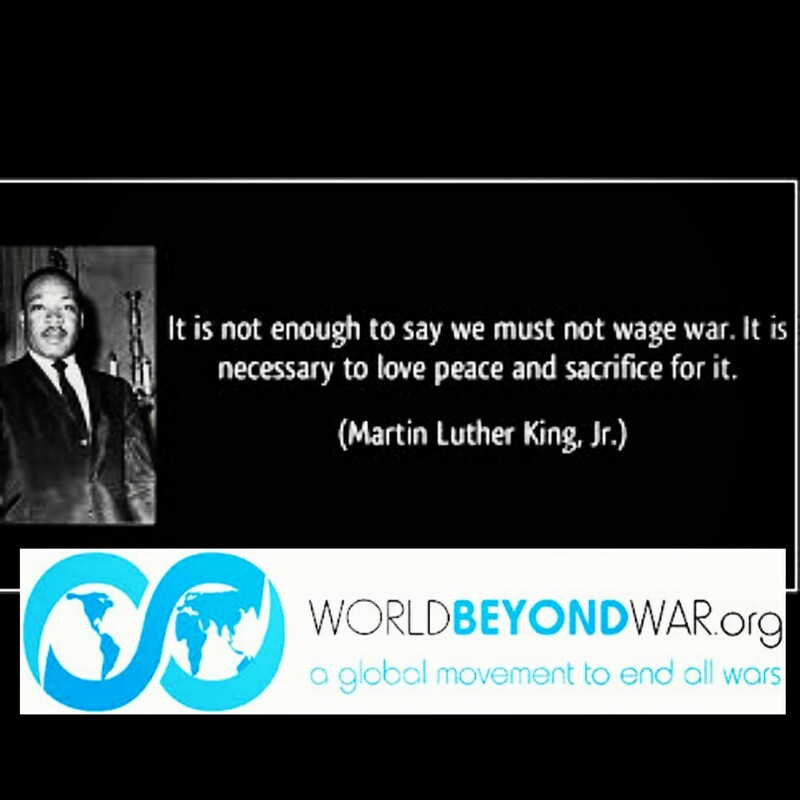 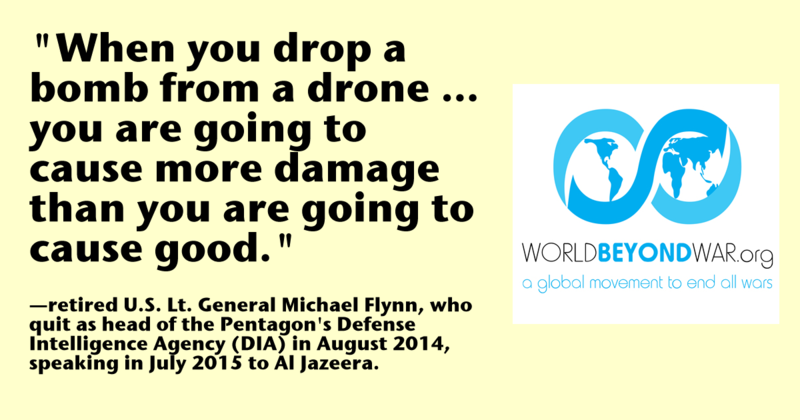 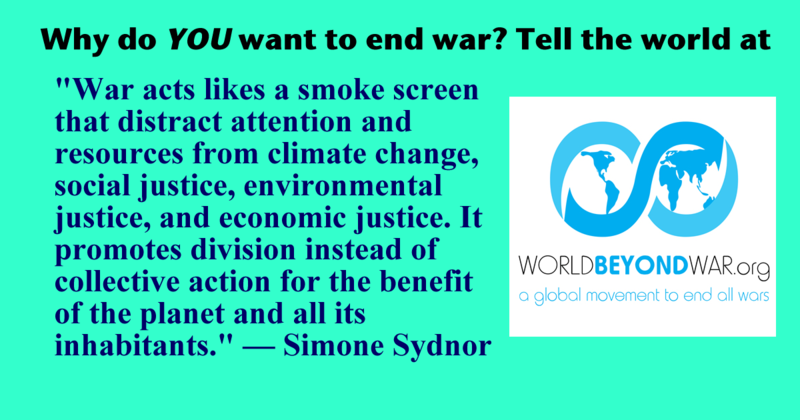 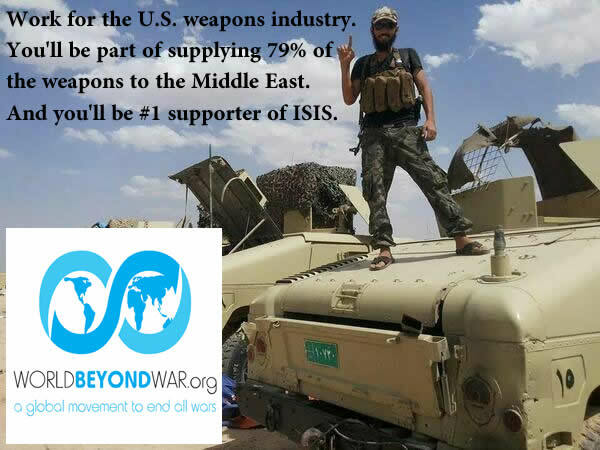 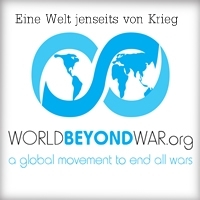 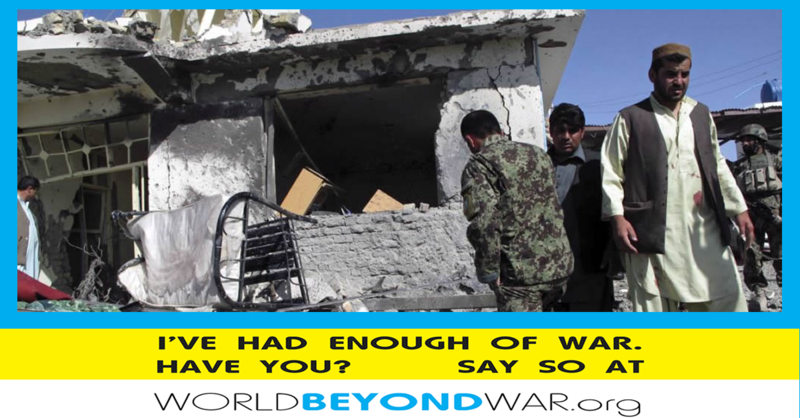 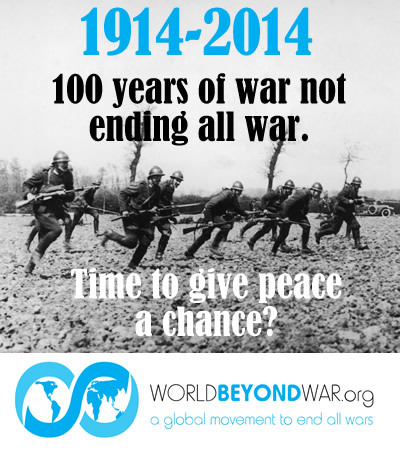 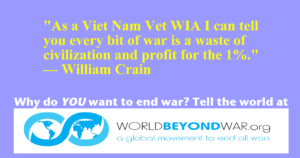 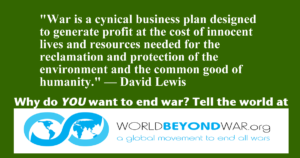 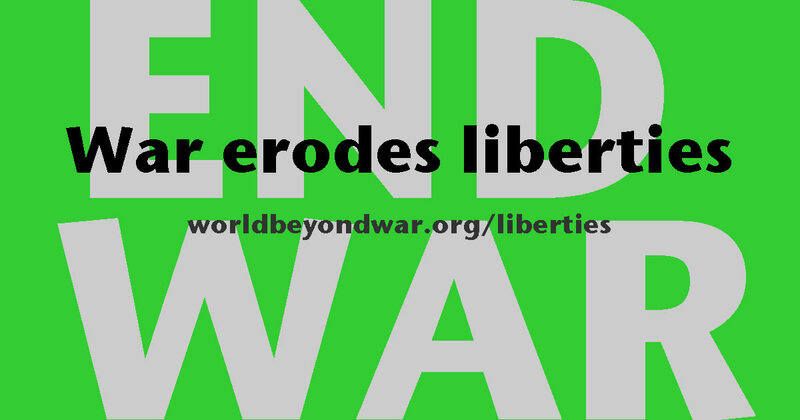 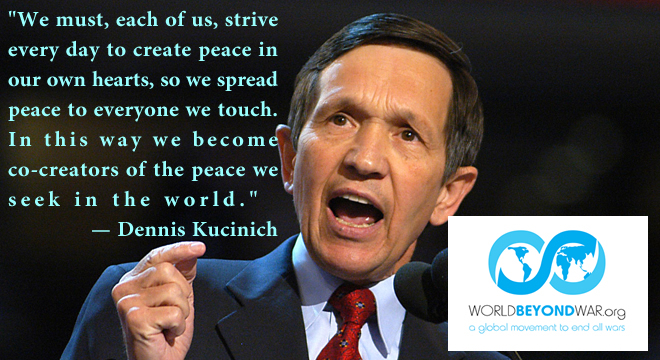 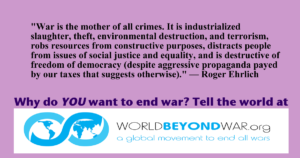 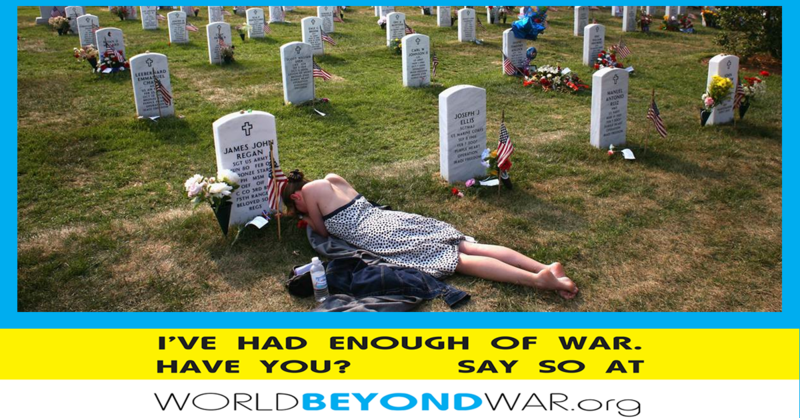 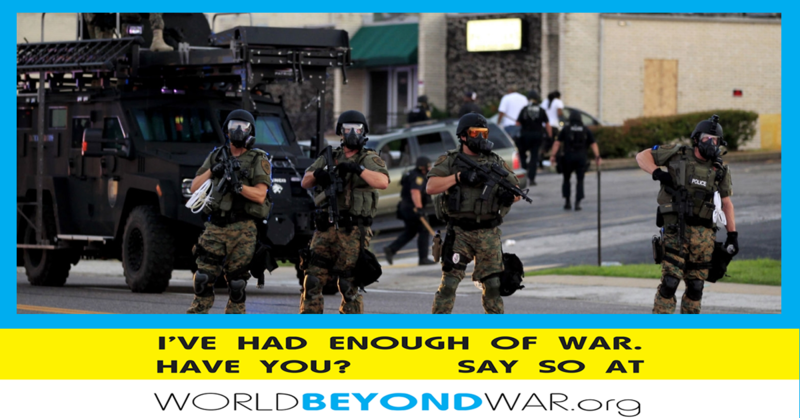 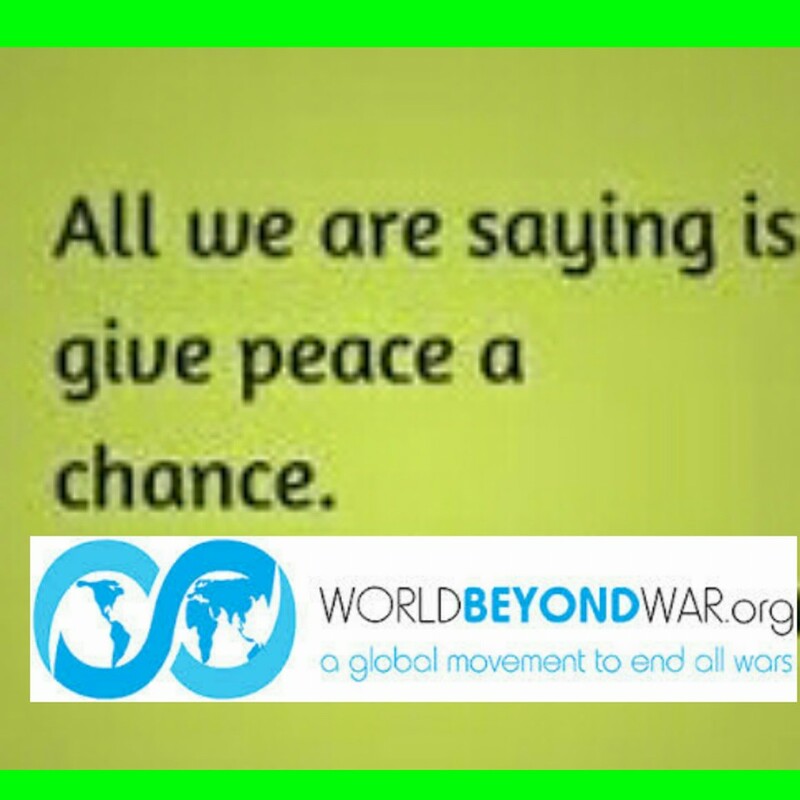 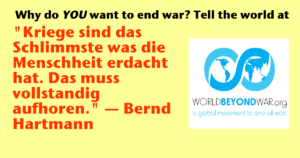 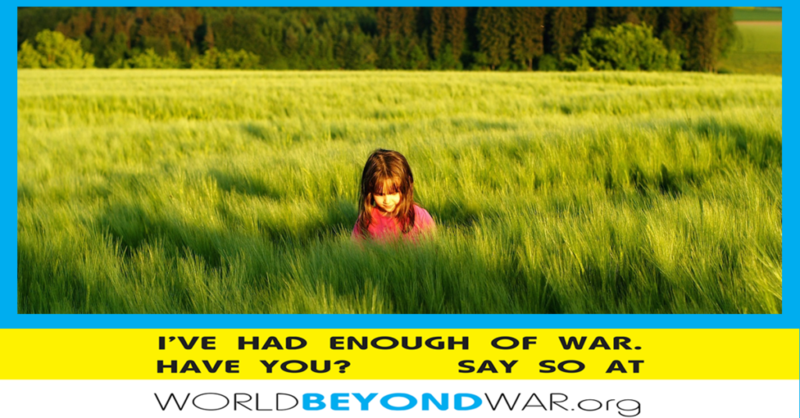 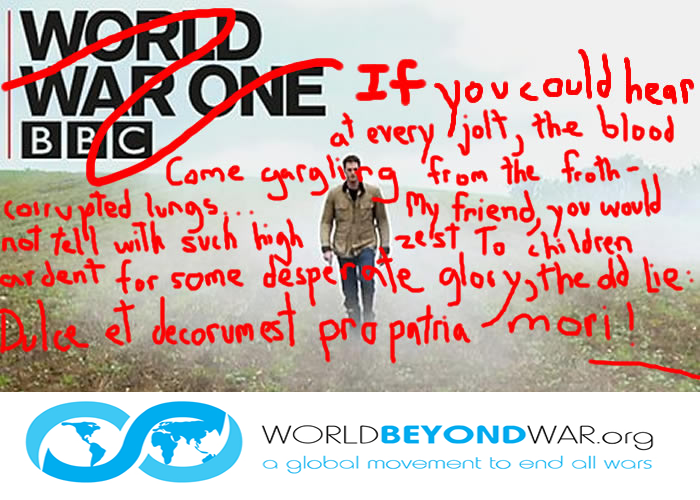 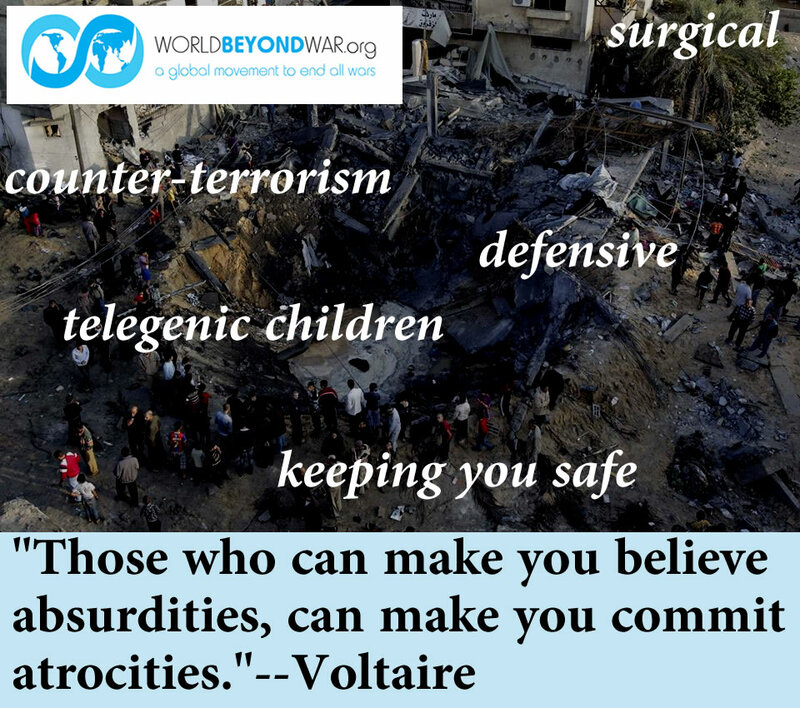 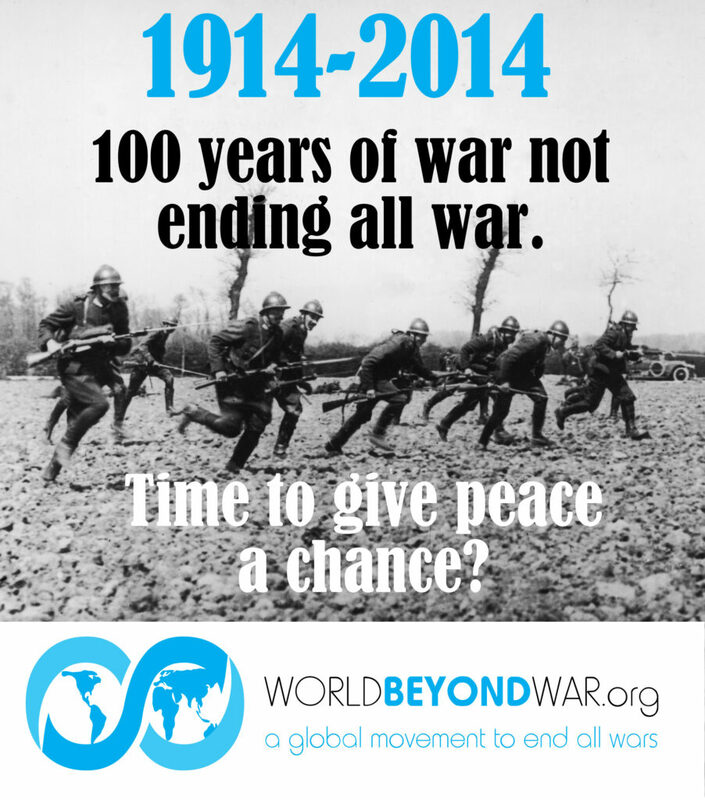 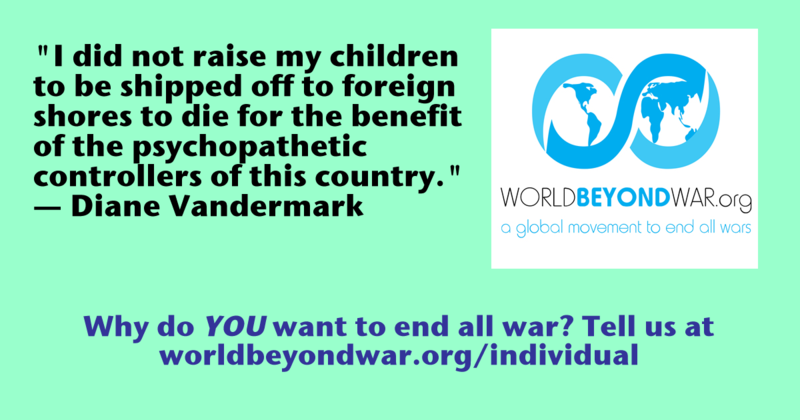 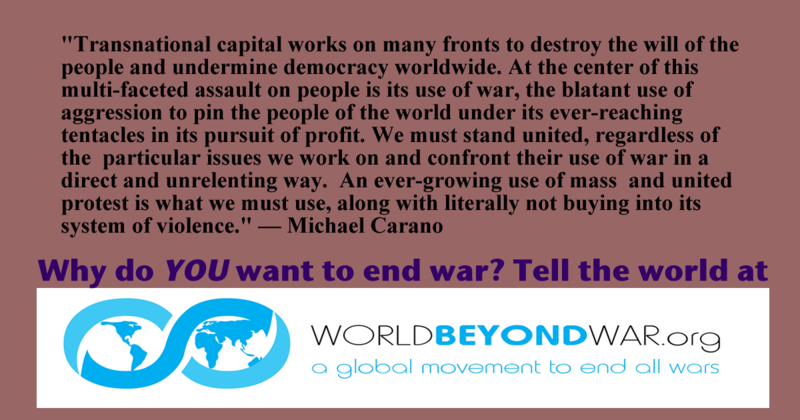 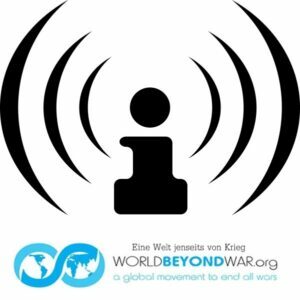 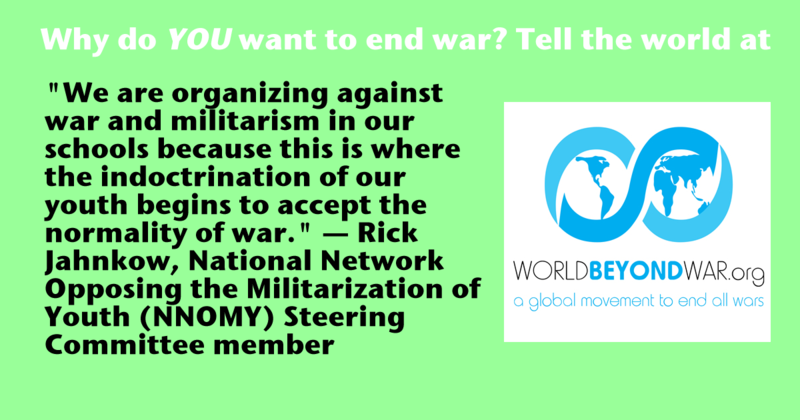 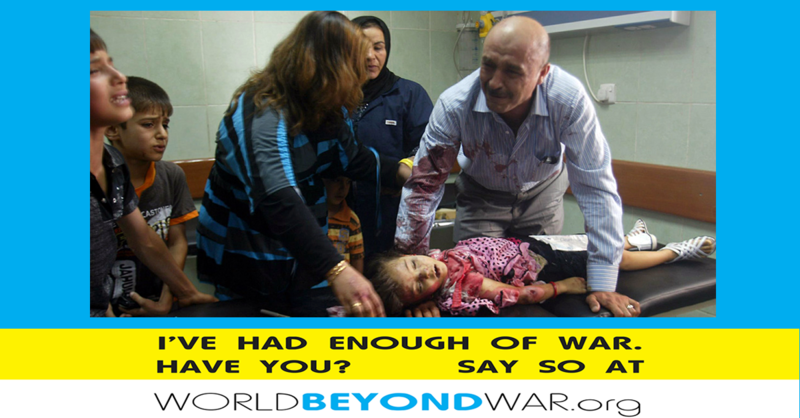 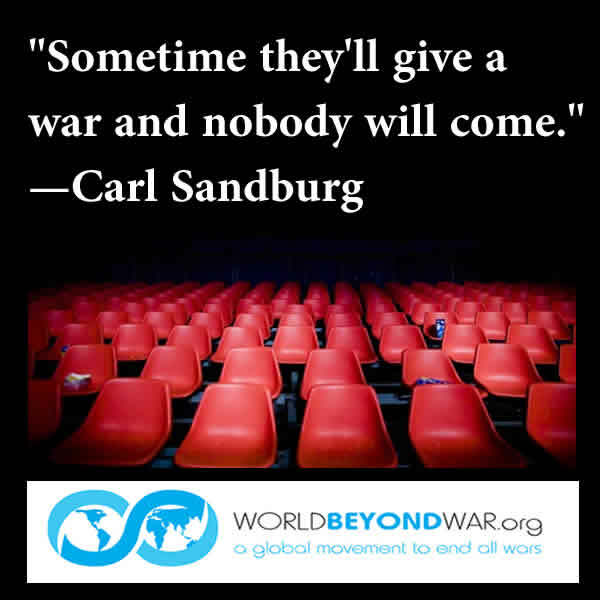 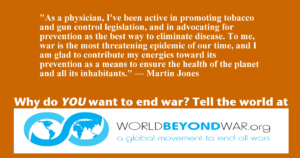 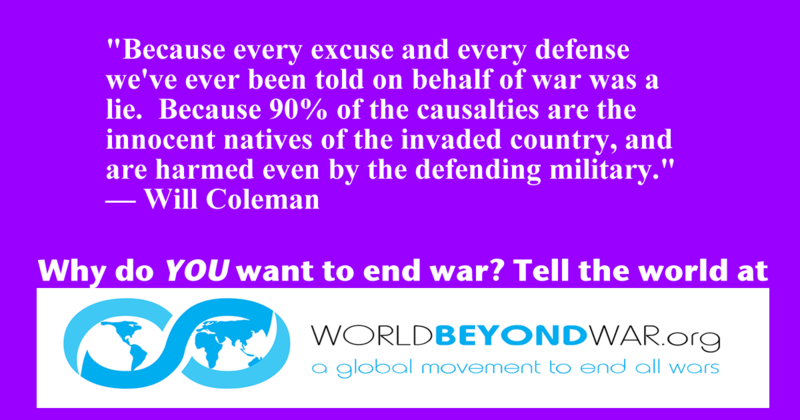 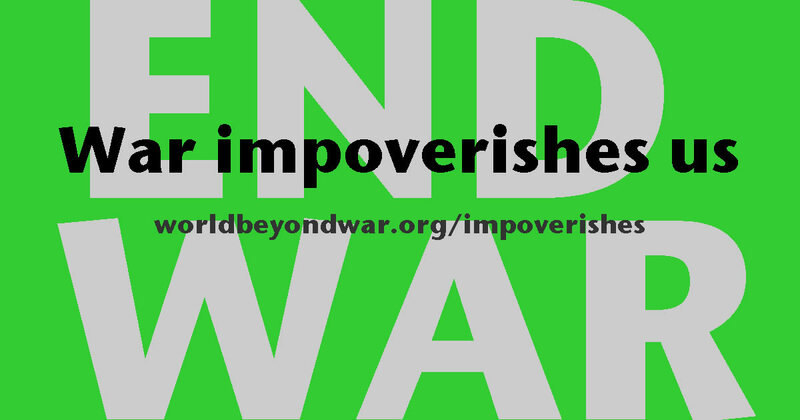 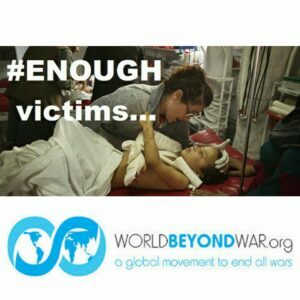 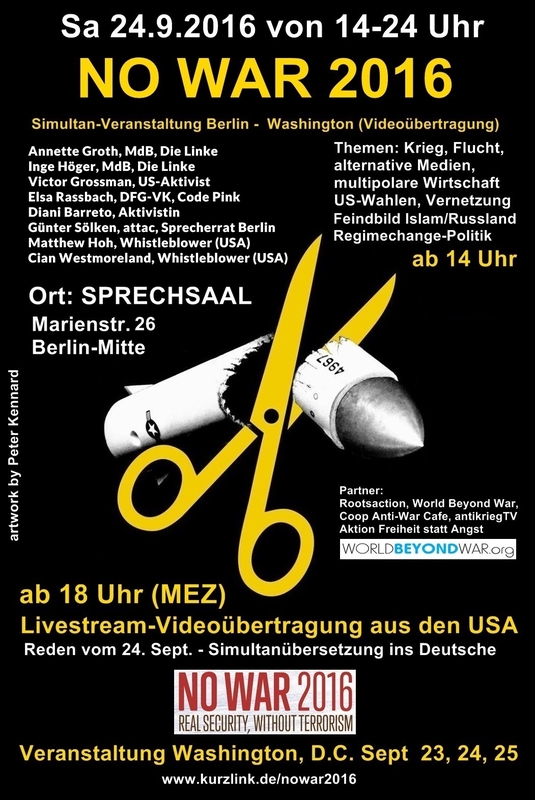 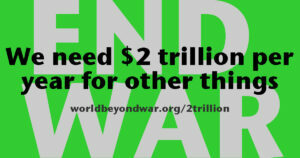 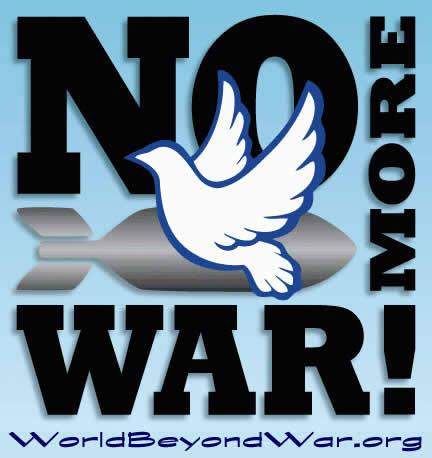 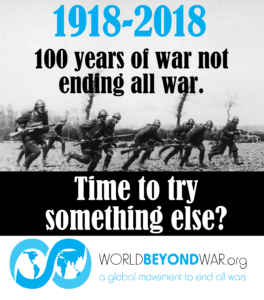 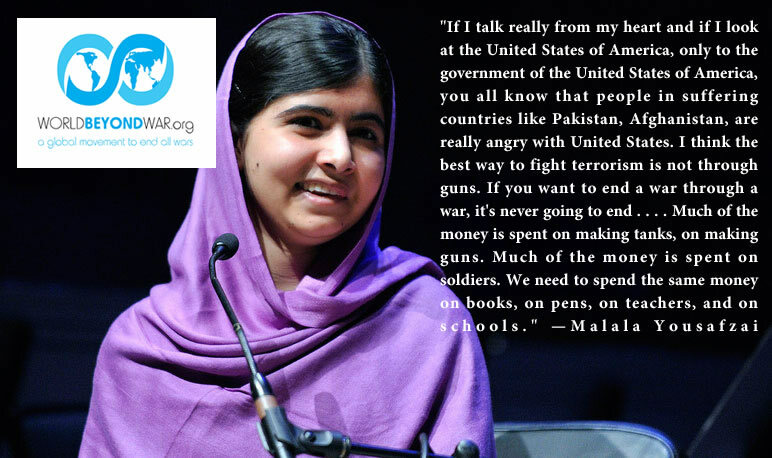 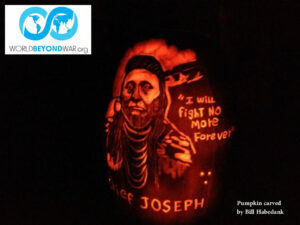 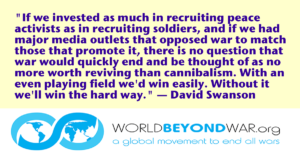 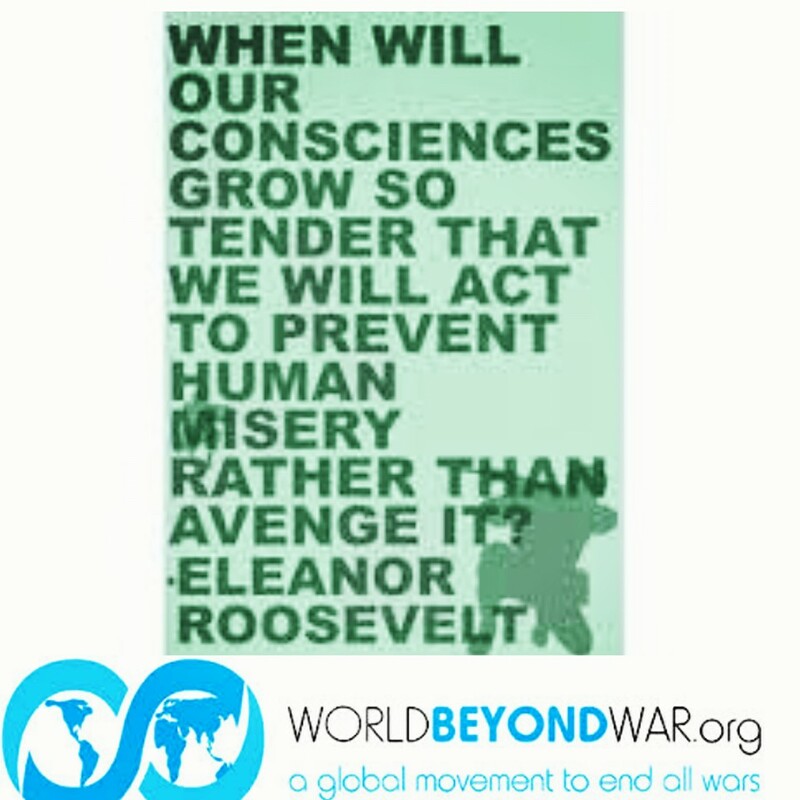 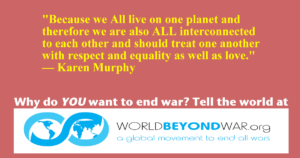 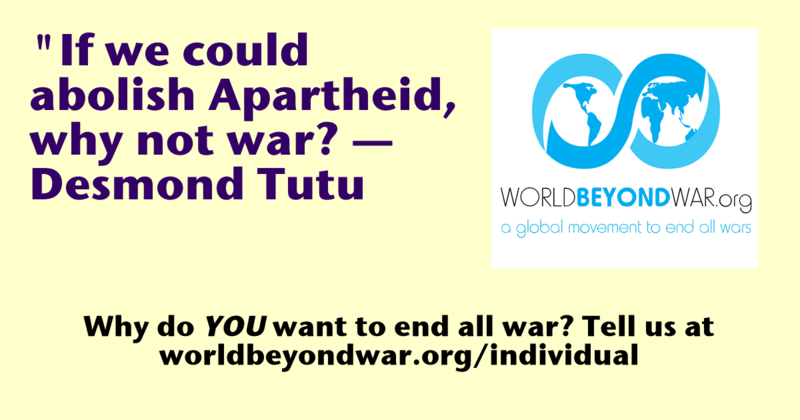 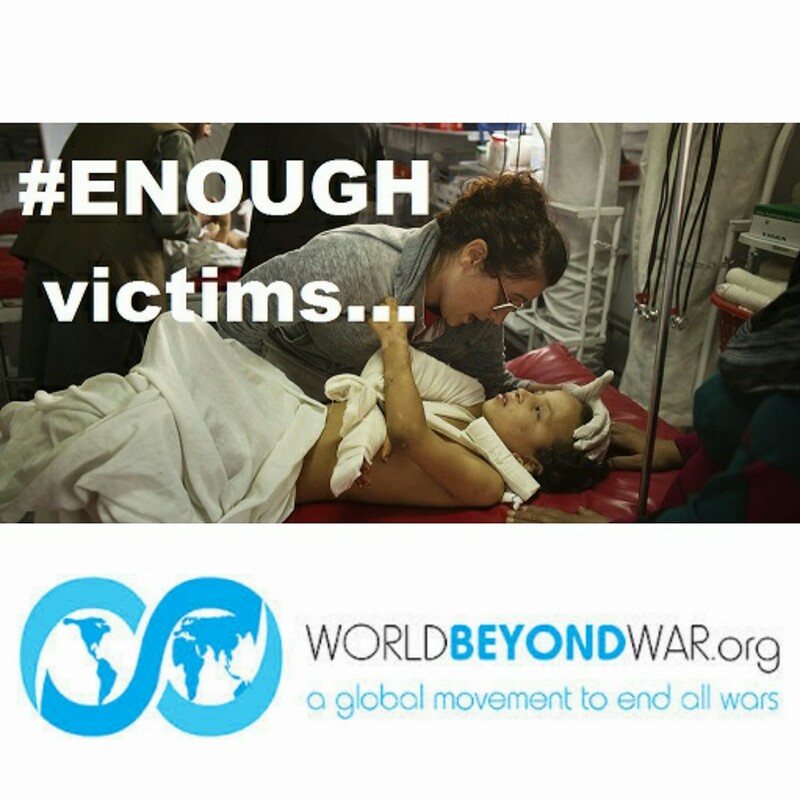 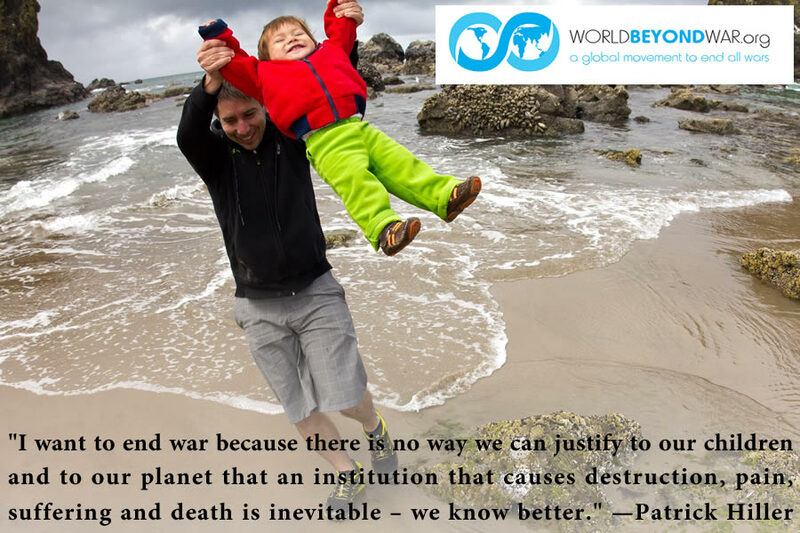 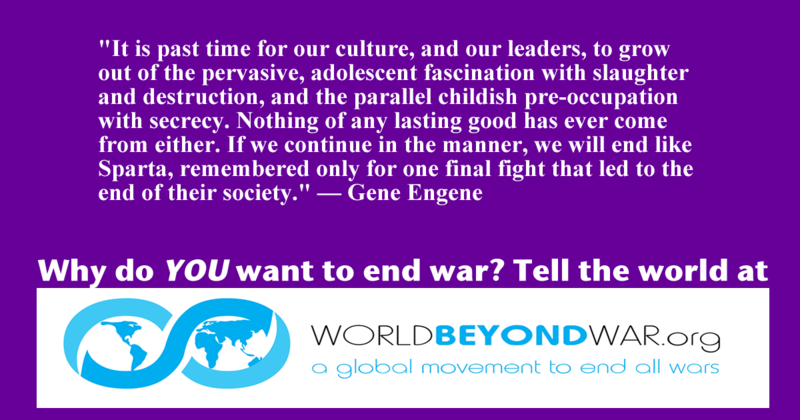 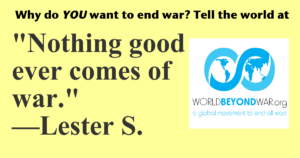 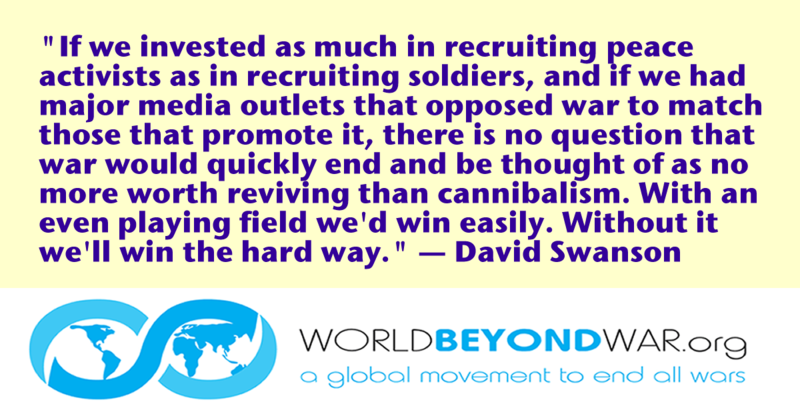 Send to info [at] worldbeyondwar [dot] org. 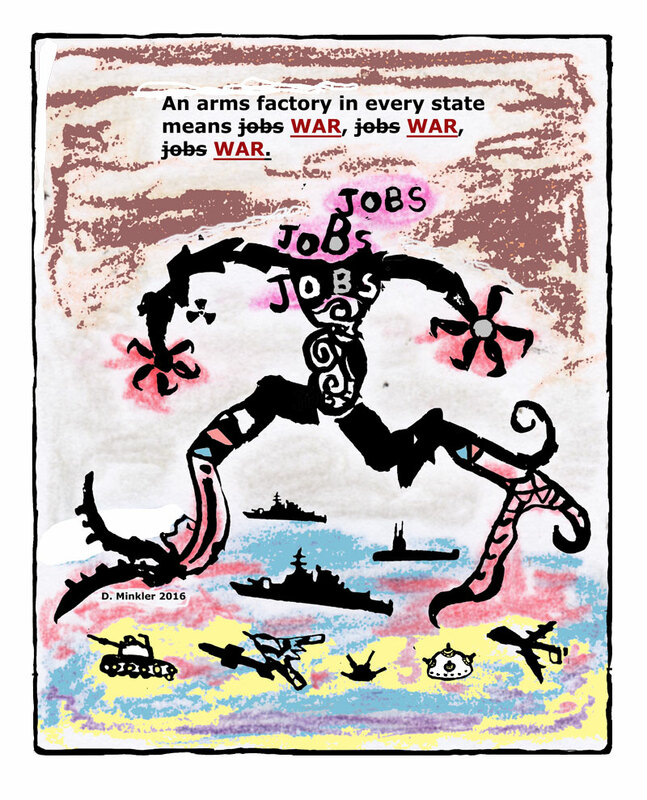 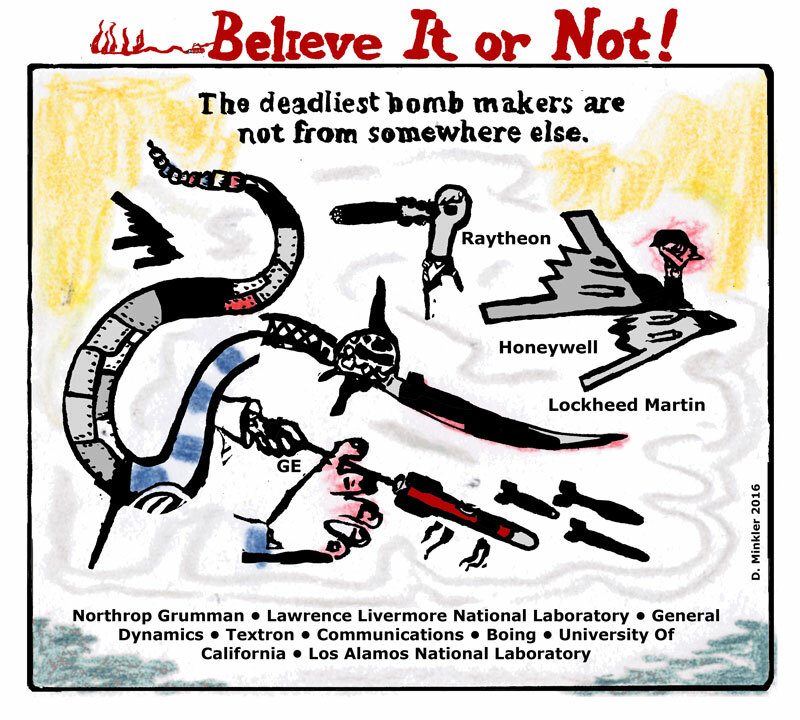 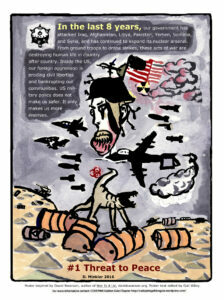 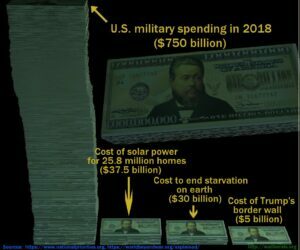 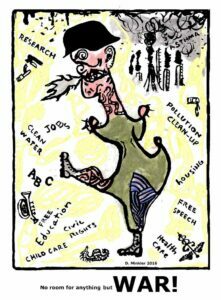 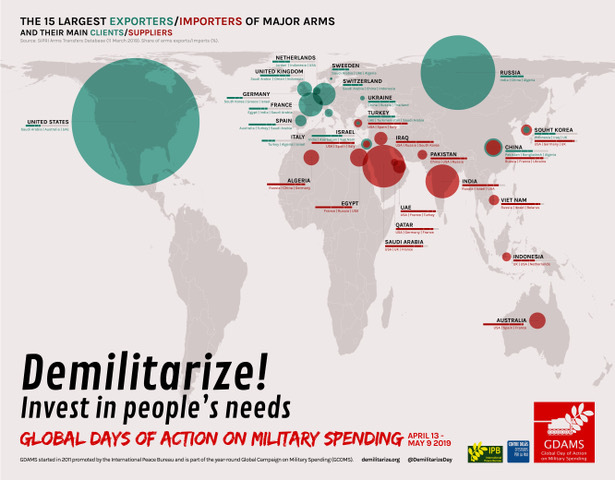 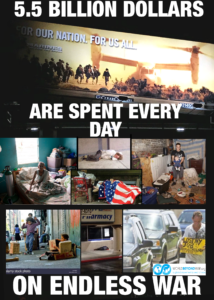 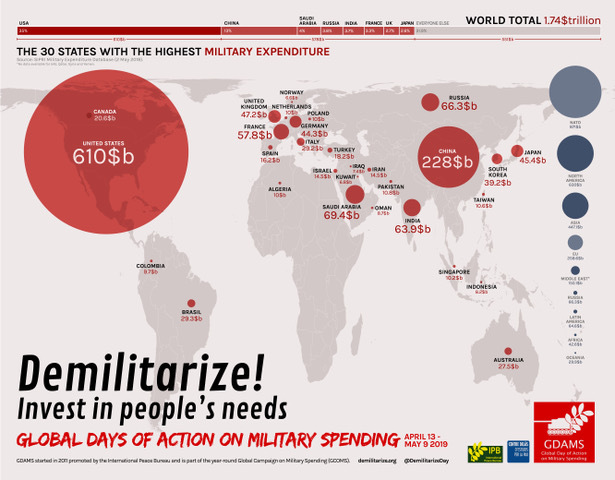 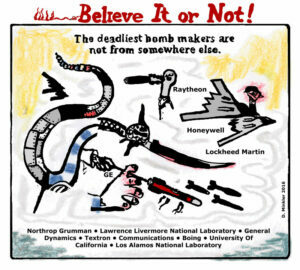 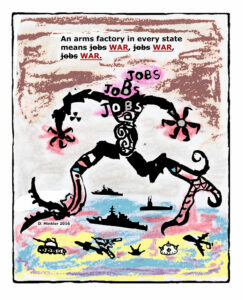 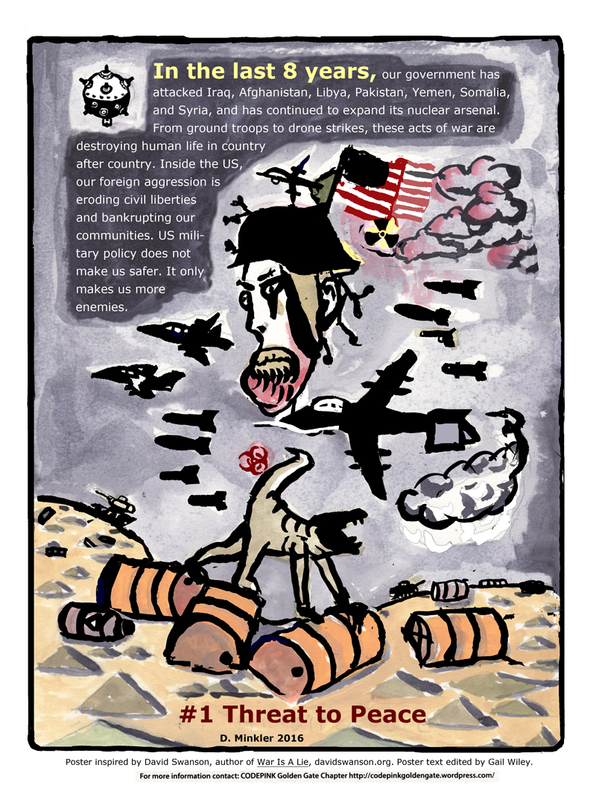 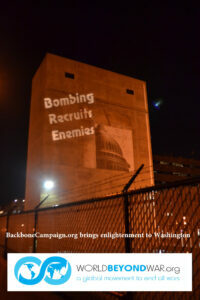 PDF graphic on U.S. militarism designed by Tony Sahara: PDF. 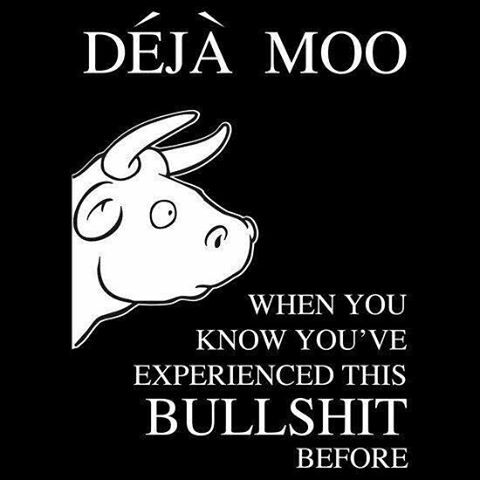 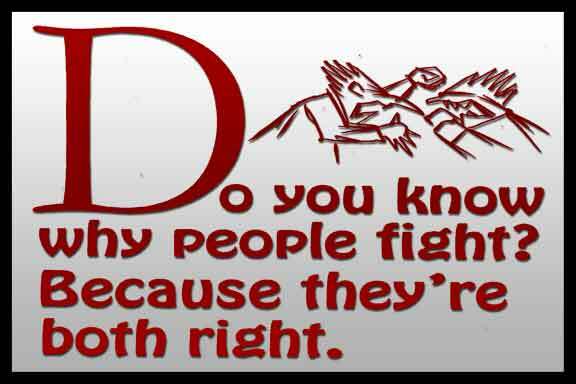 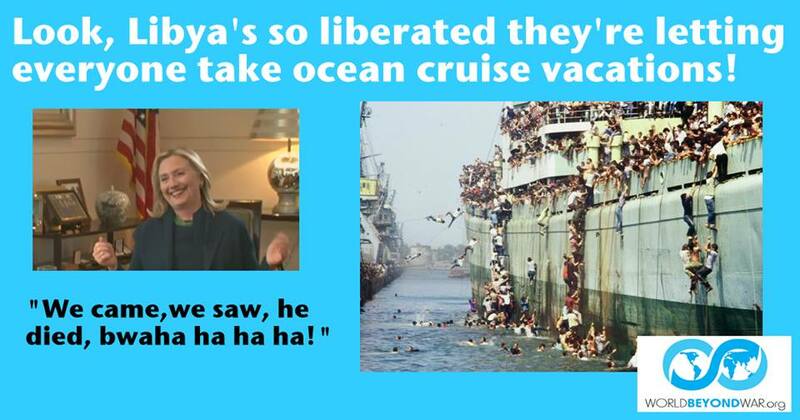 Graphic above sent in by Paul B Kemp. 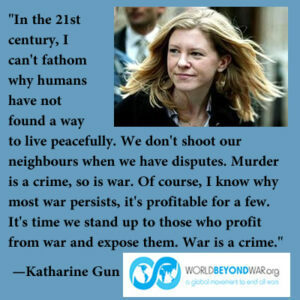 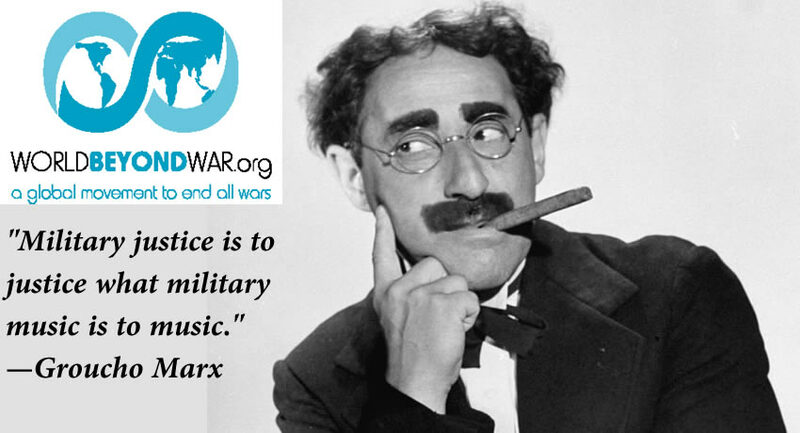 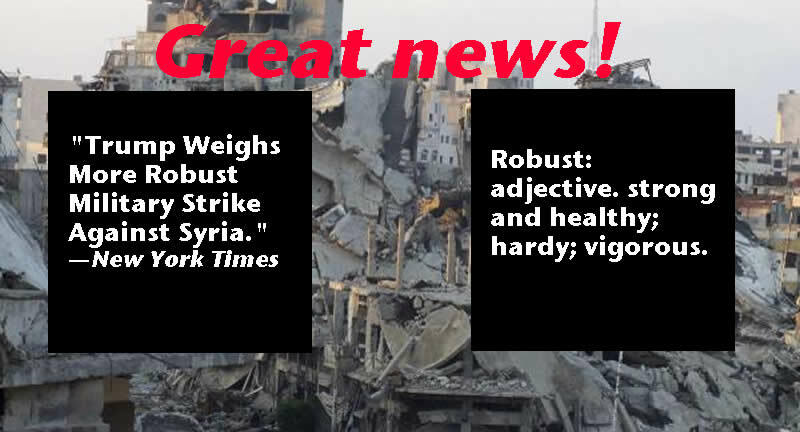 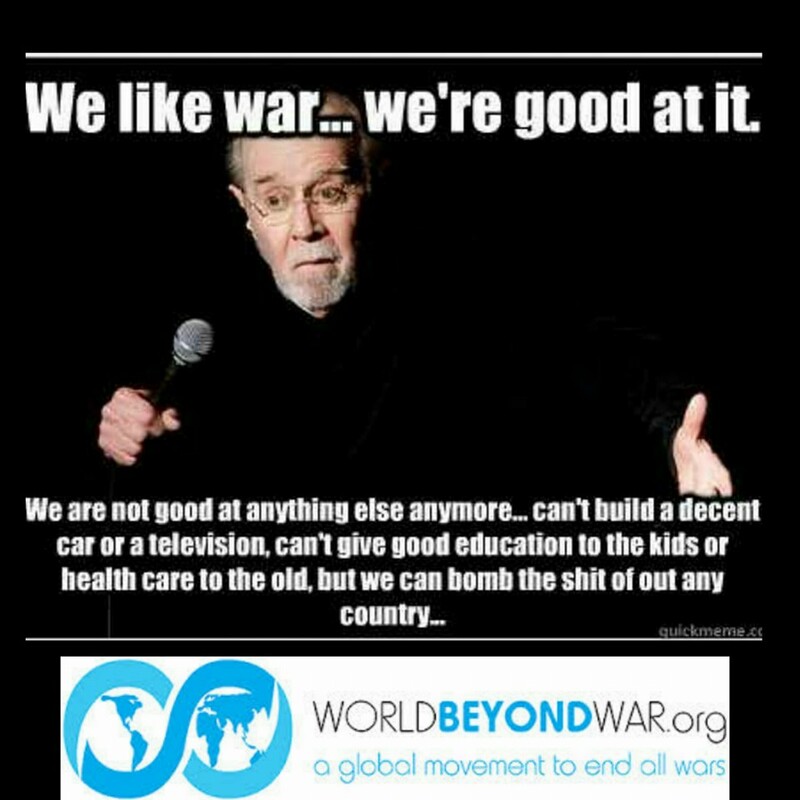 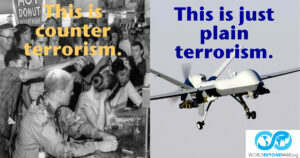 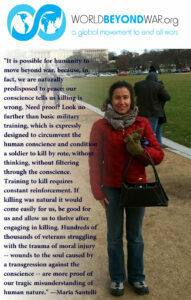 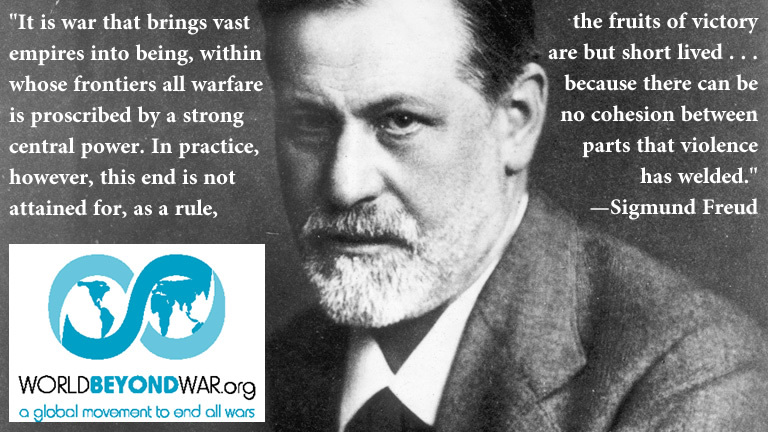 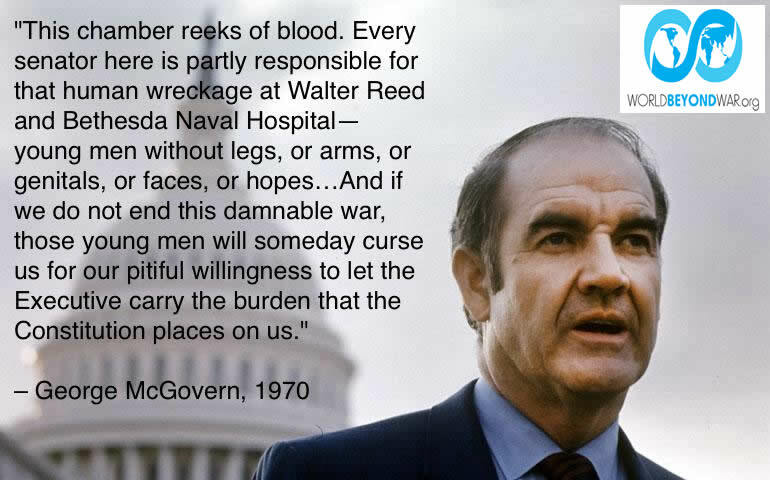 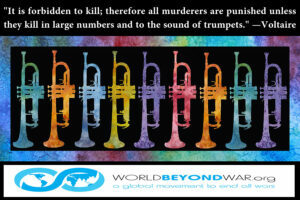 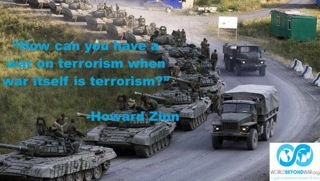 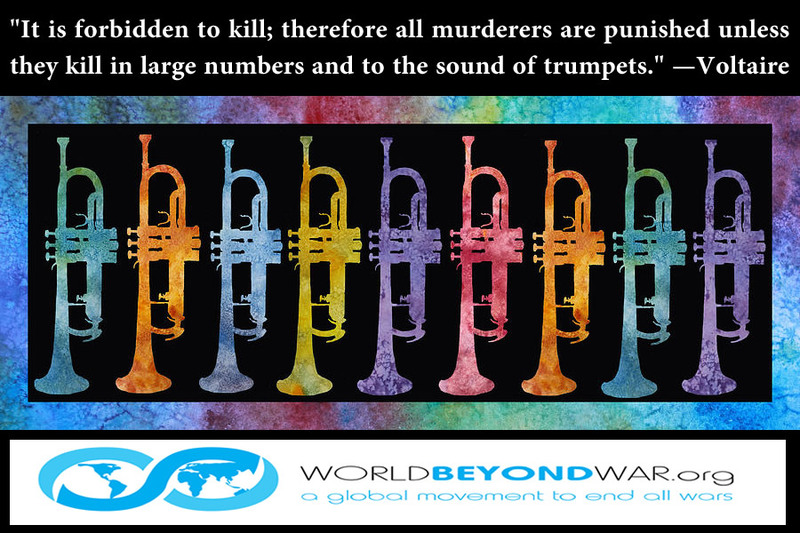 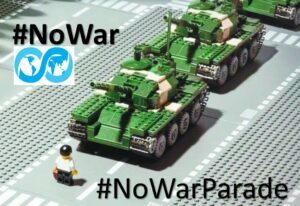 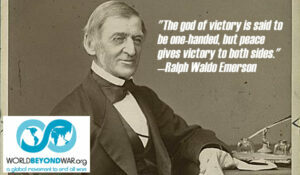 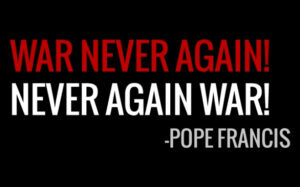 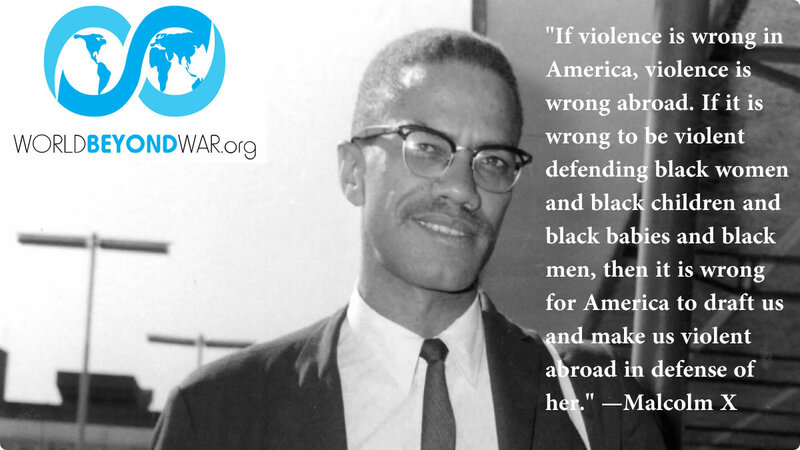 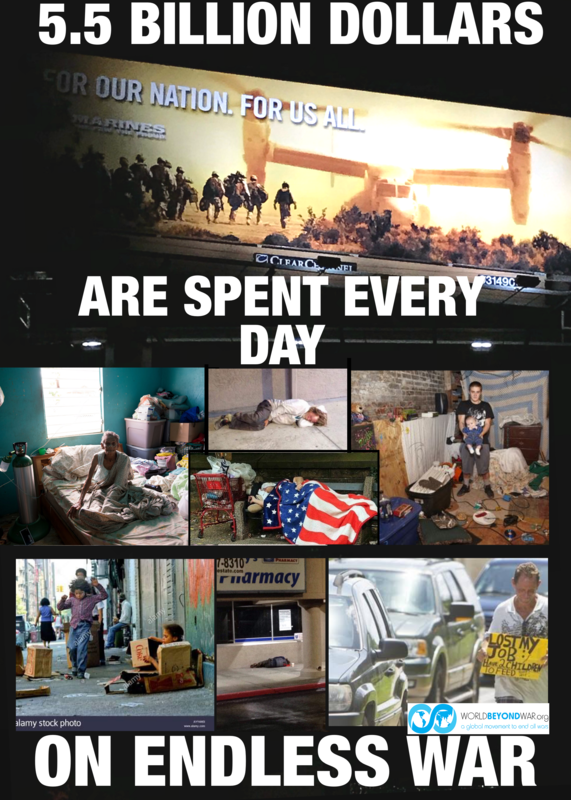 War is murder on a mass scale! 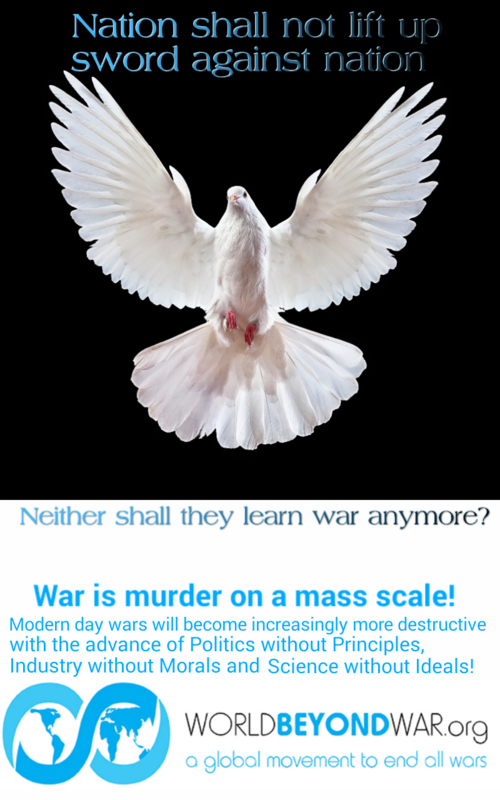 Modern day wars will become increasingly more destructive with the advance of science without ideals and industry without morals. 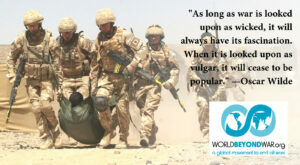 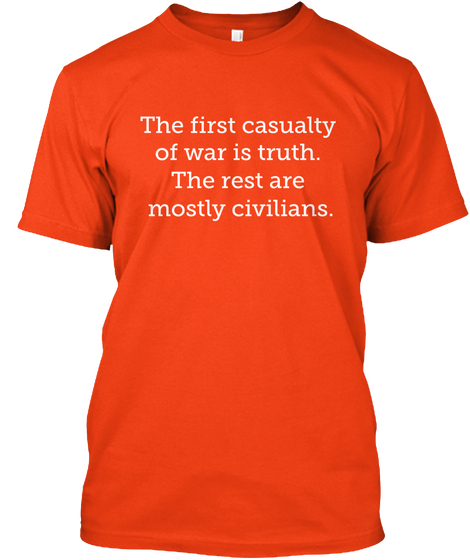 War is the greatest failing of humankind. 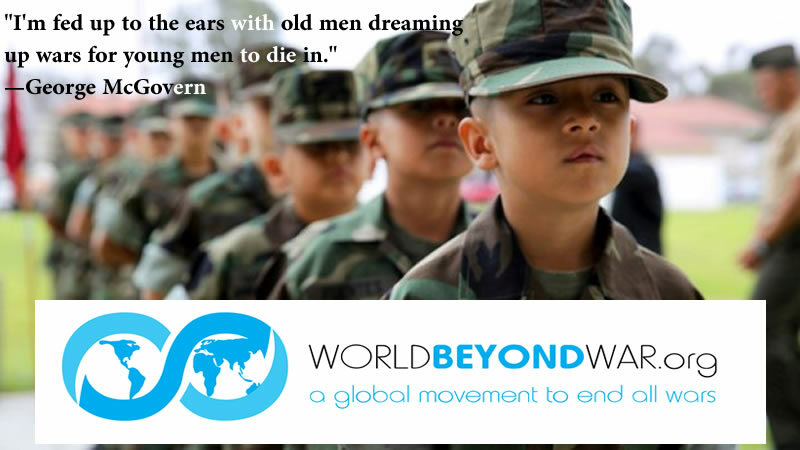 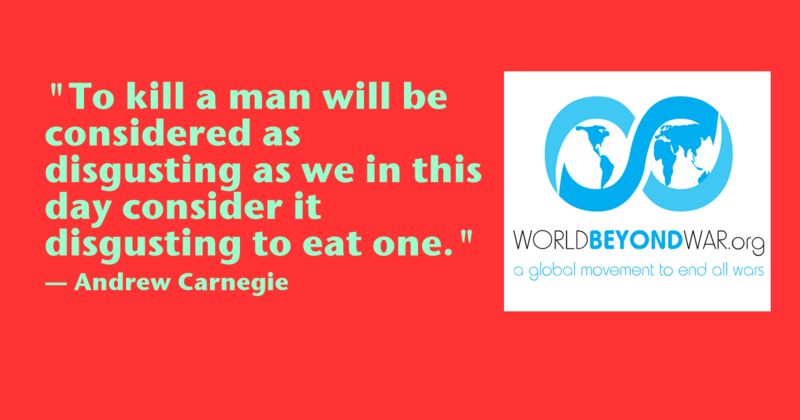 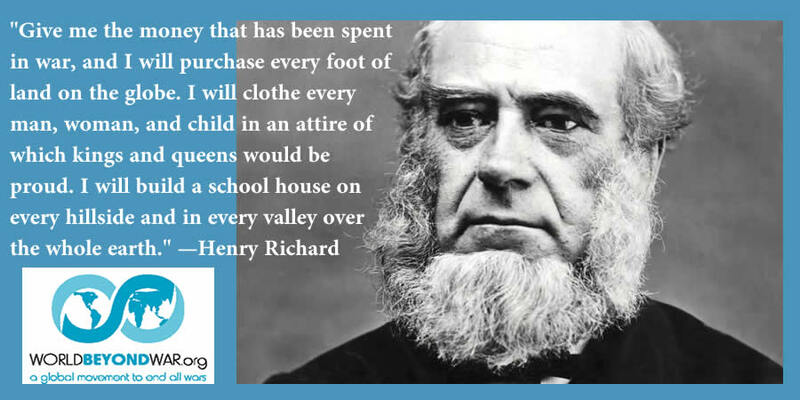 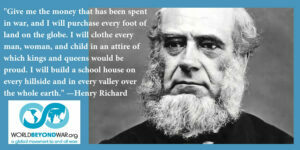 Crazy number of images and quotes with the WBW logo on them. 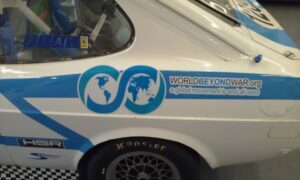 I just want the header/bumper sticker part though and can’t see them anywhere other than as part of other graphics. 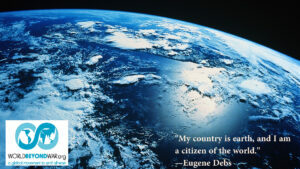 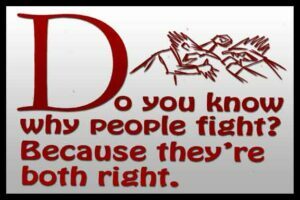 I pulled that part out of one, but I want a higher resolution version I can insert where I want, with other pictures and quotes. 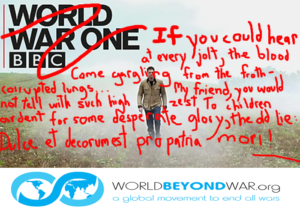 A png or jpg of a better quality version will help me make something more poster size.